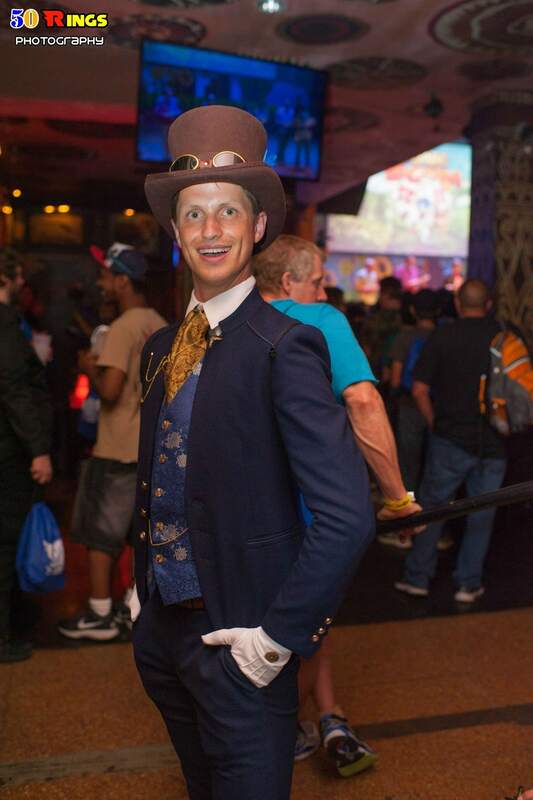 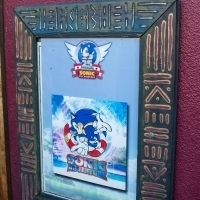 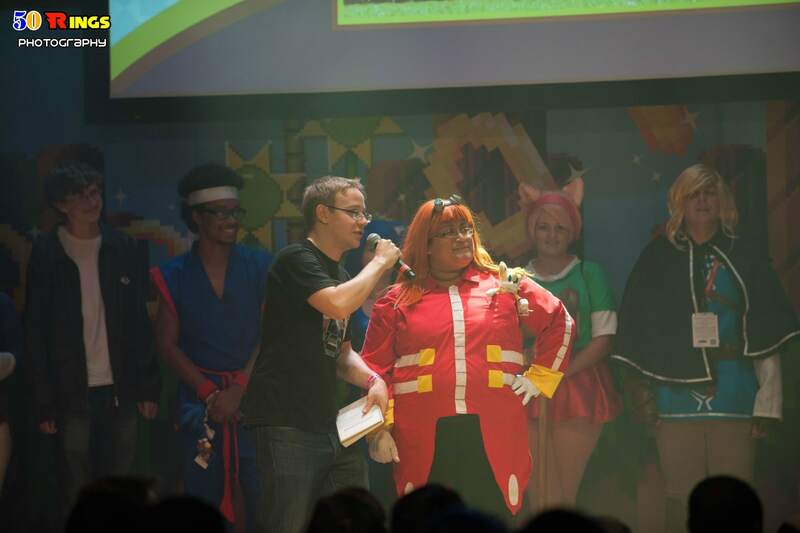 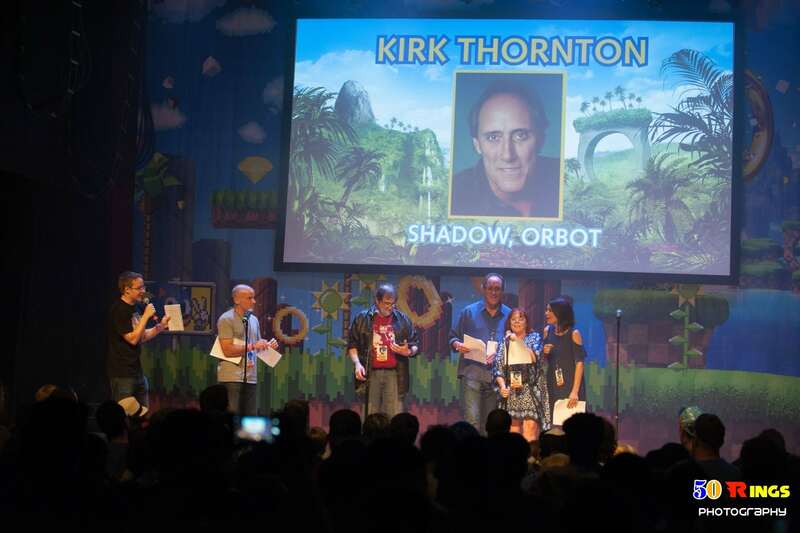 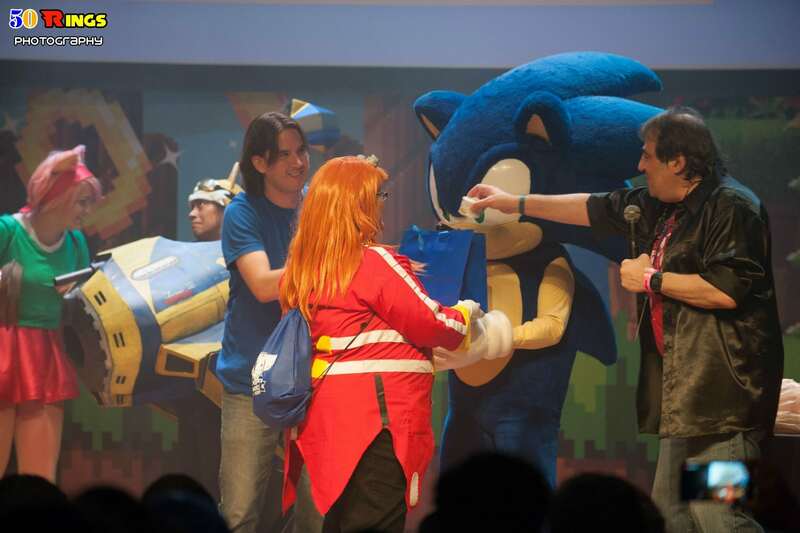 Thanks to some friends, I was able to make it in to Sonic Boom for Sonic’s 25th Anniversary Birthday Bash. 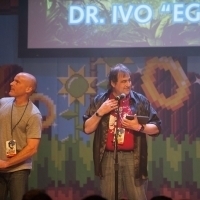 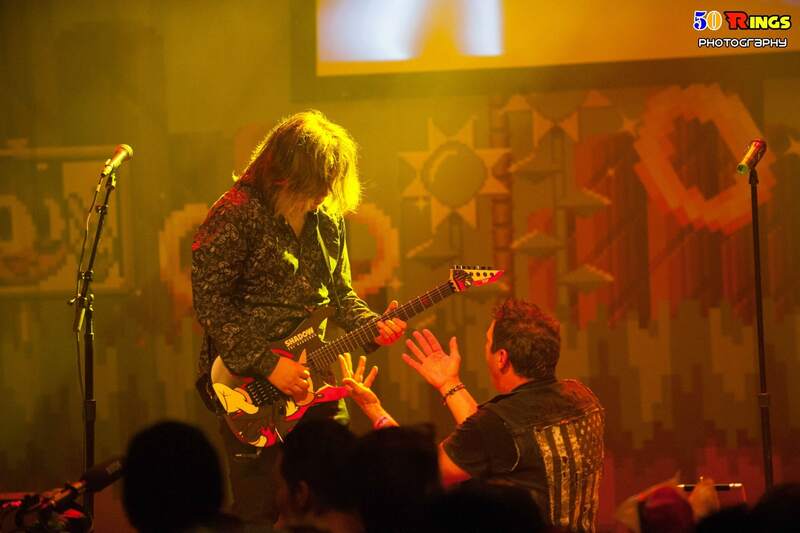 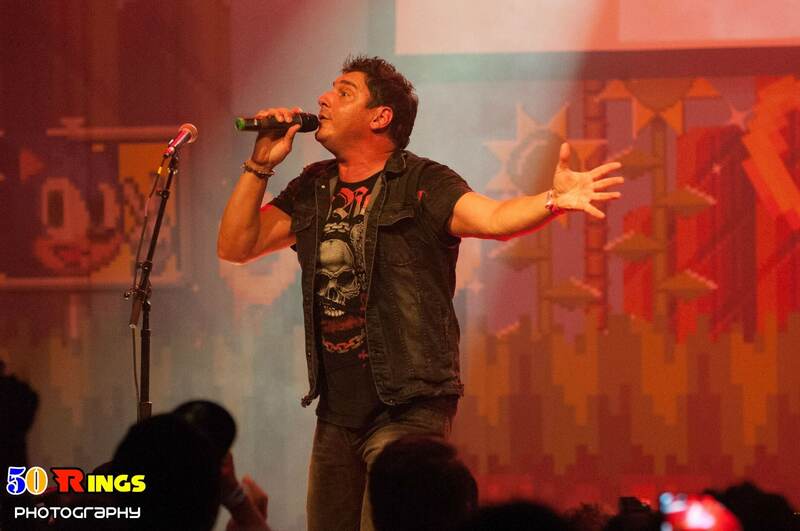 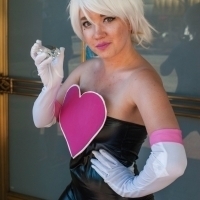 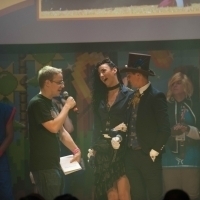 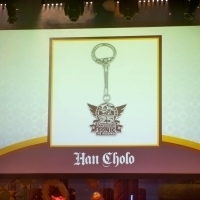 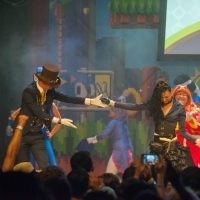 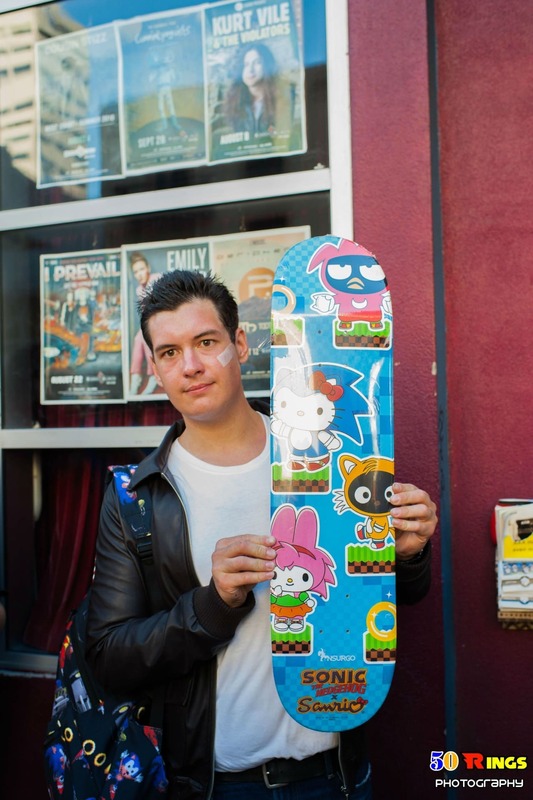 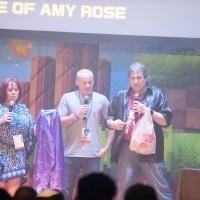 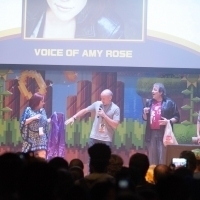 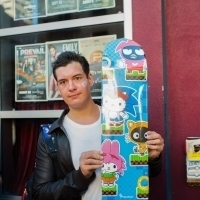 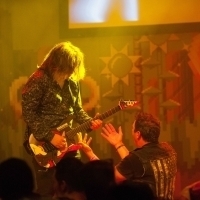 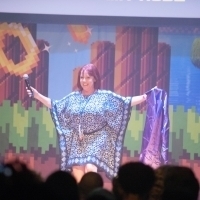 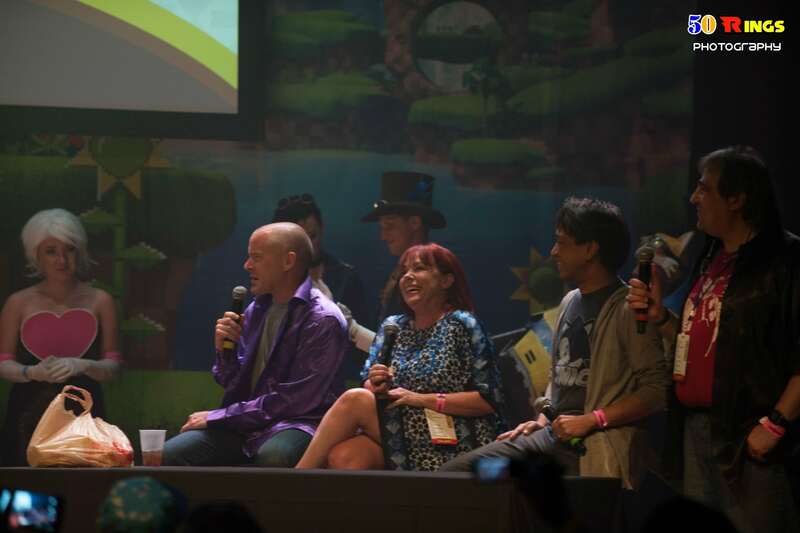 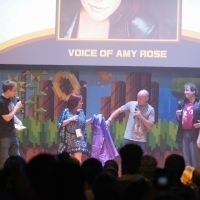 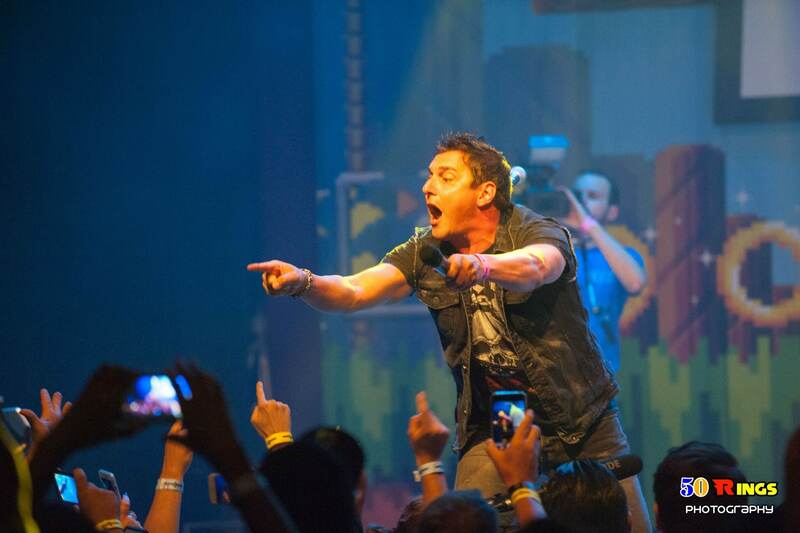 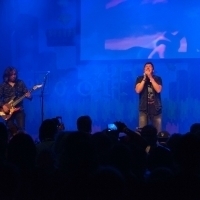 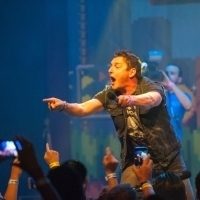 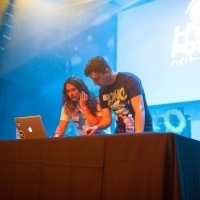 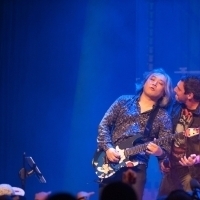 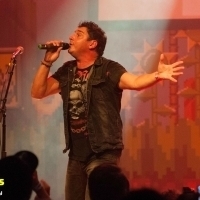 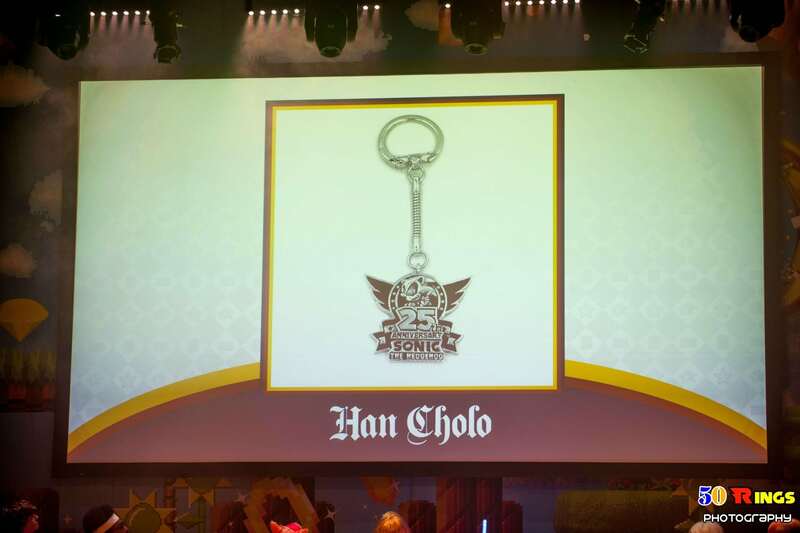 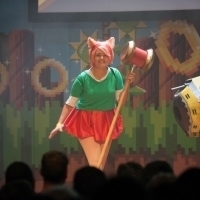 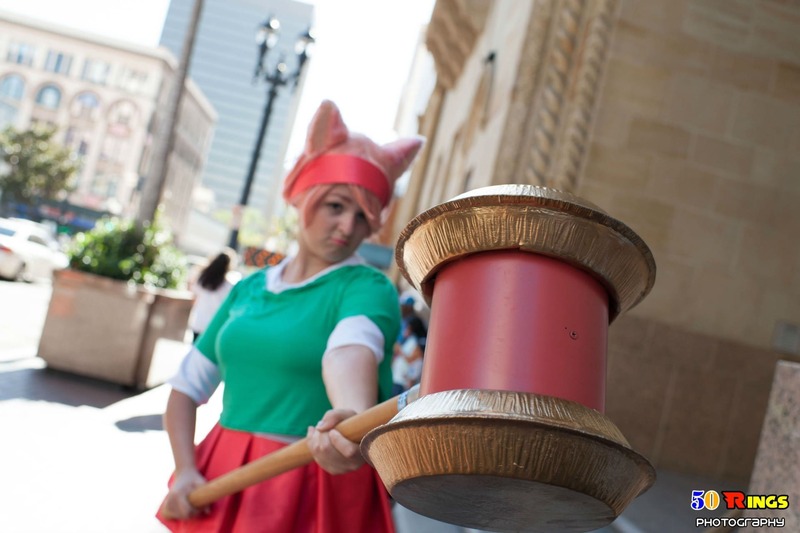 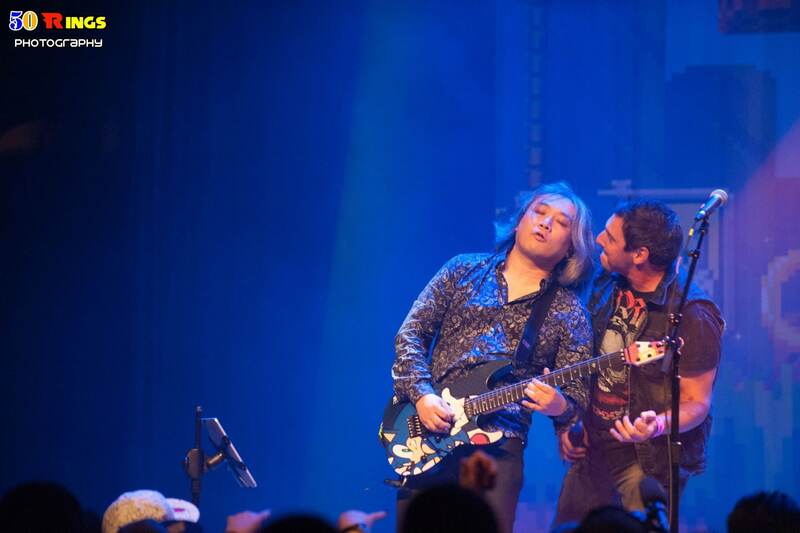 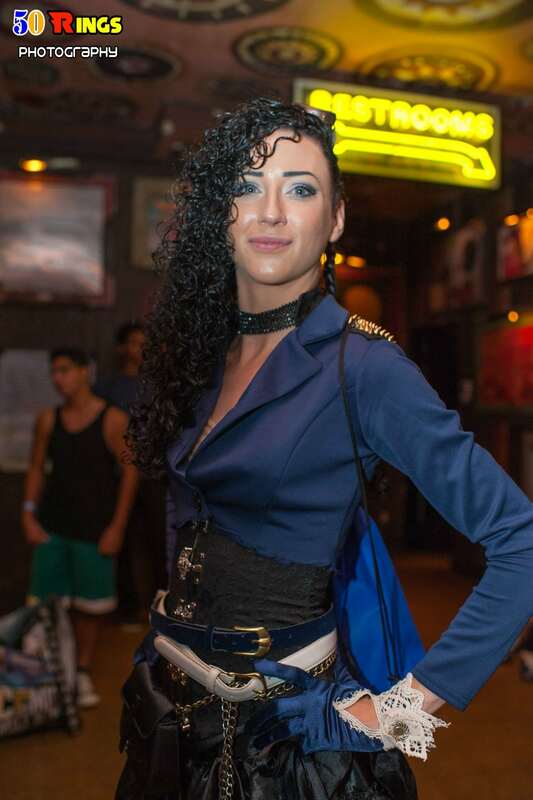 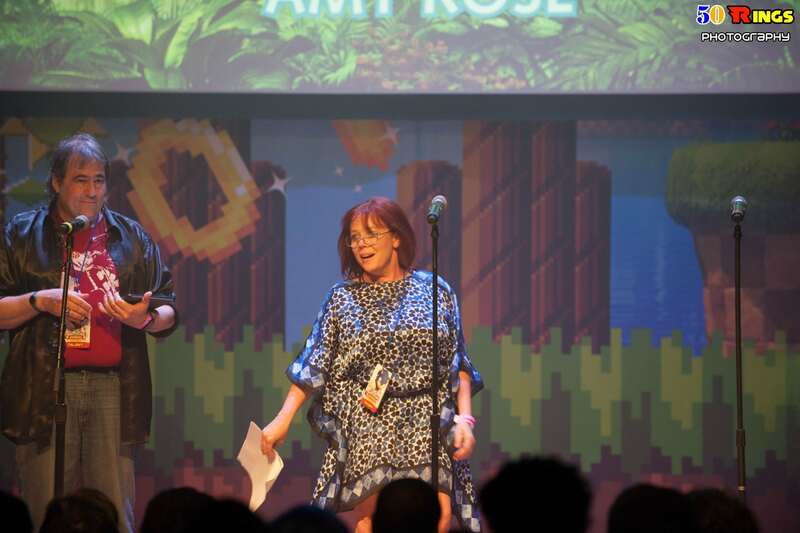 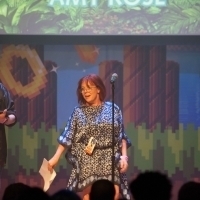 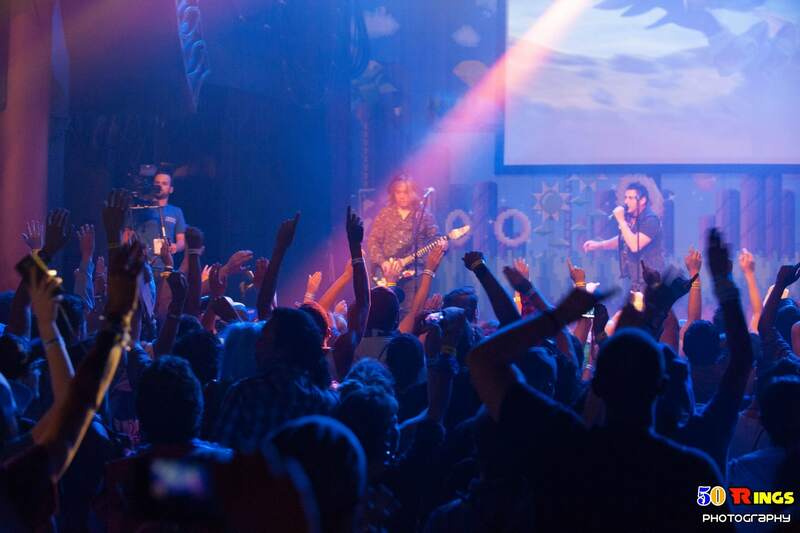 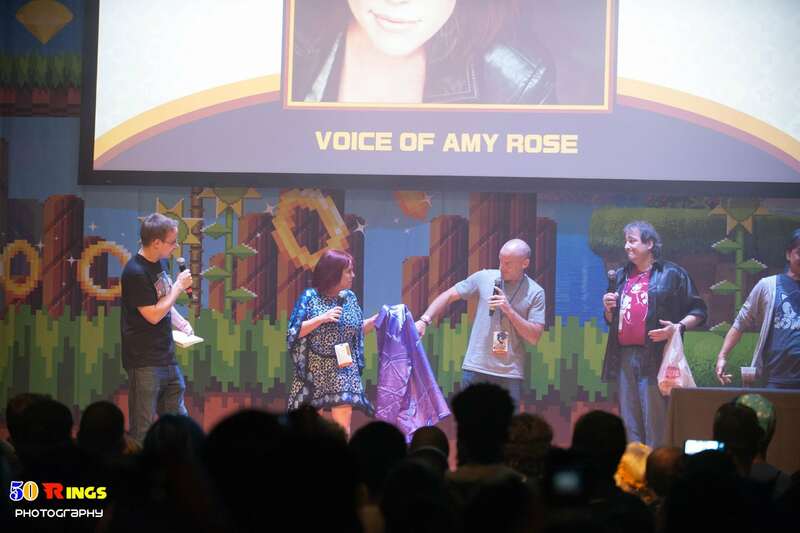 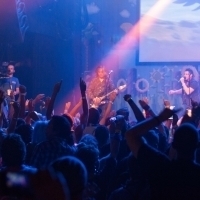 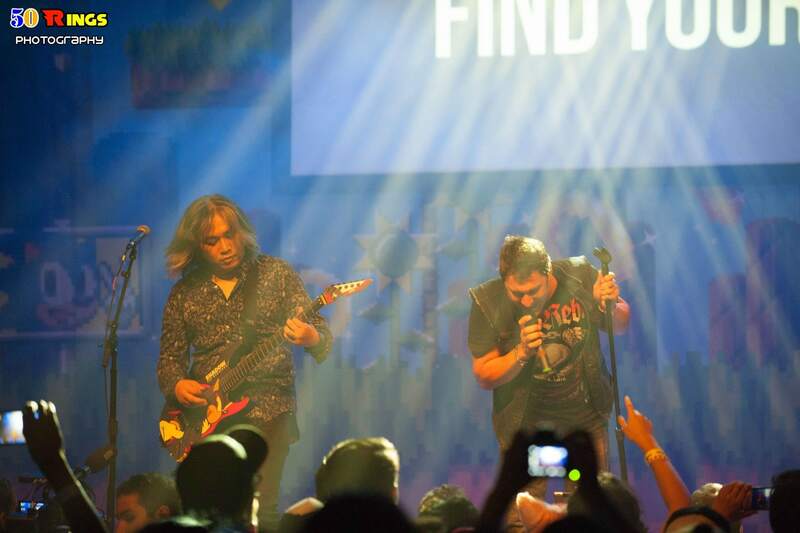 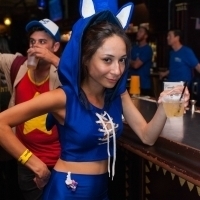 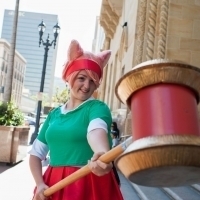 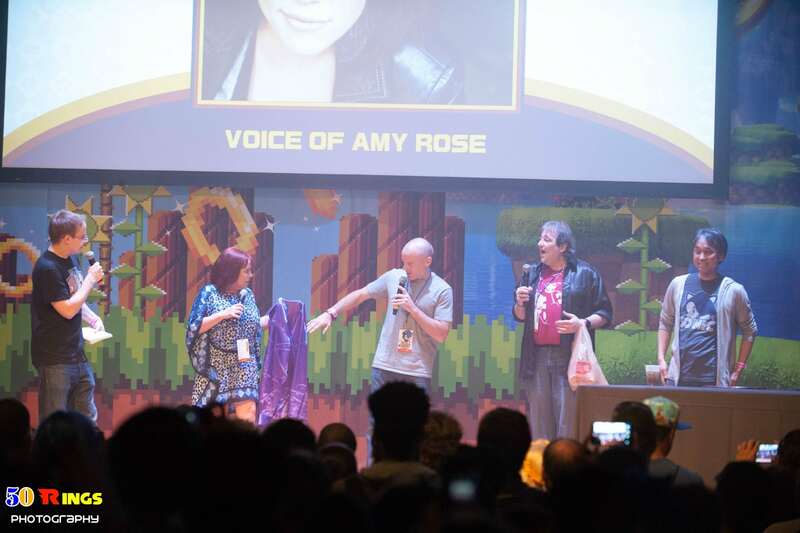 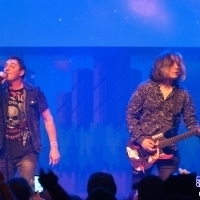 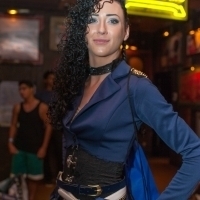 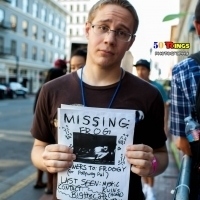 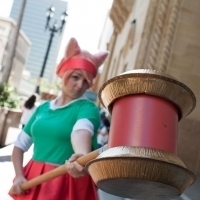 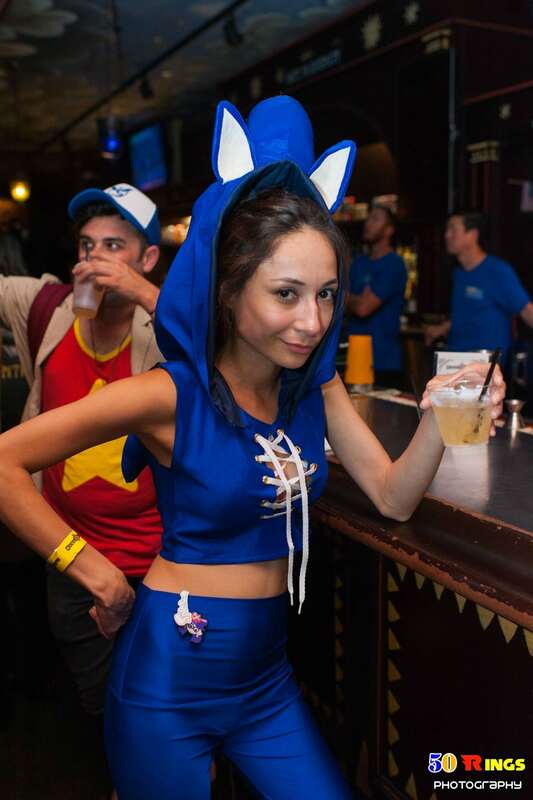 This year, it was located in the same place it was in 2012, House of Blues, San Diego – a fantastic venue, and right in the middle of Comic Season! 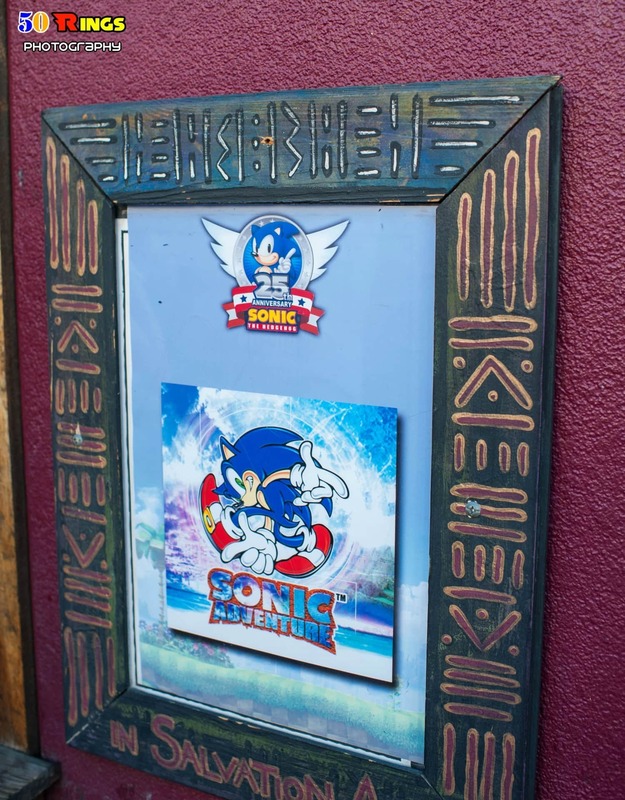 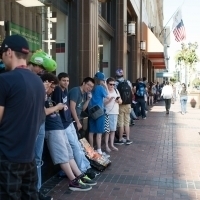 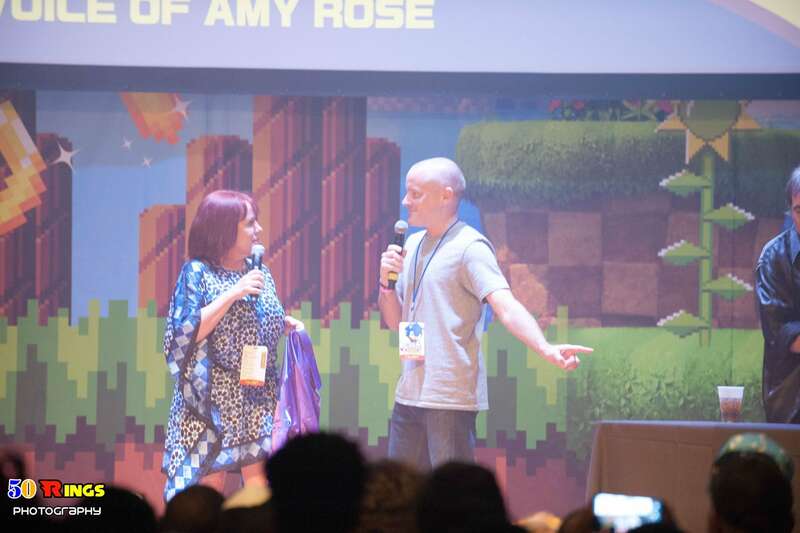 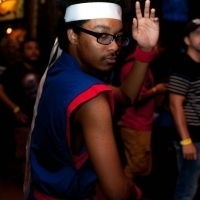 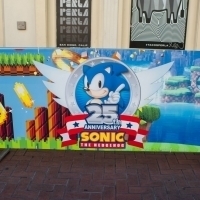 So on Friday July 22nd, I went to San Diego to meet my friends behind Sonic Revolution. 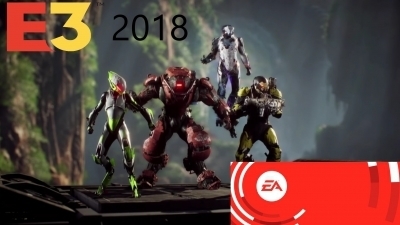 So how did it go? 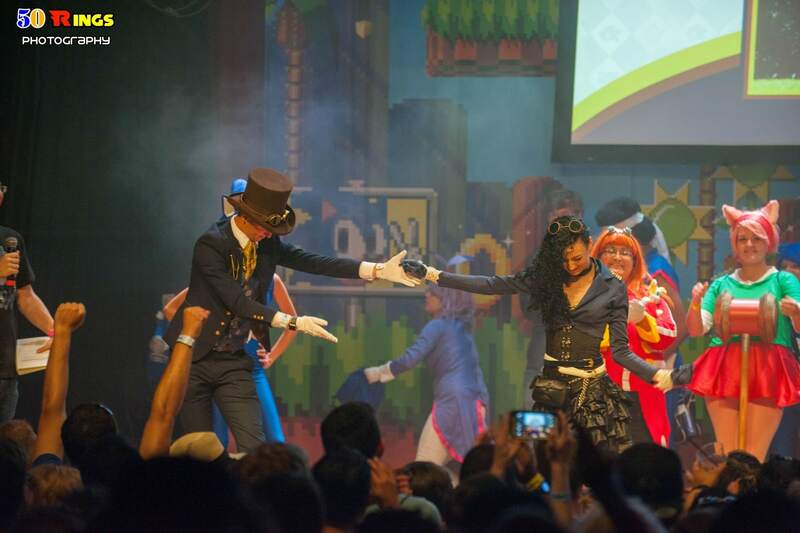 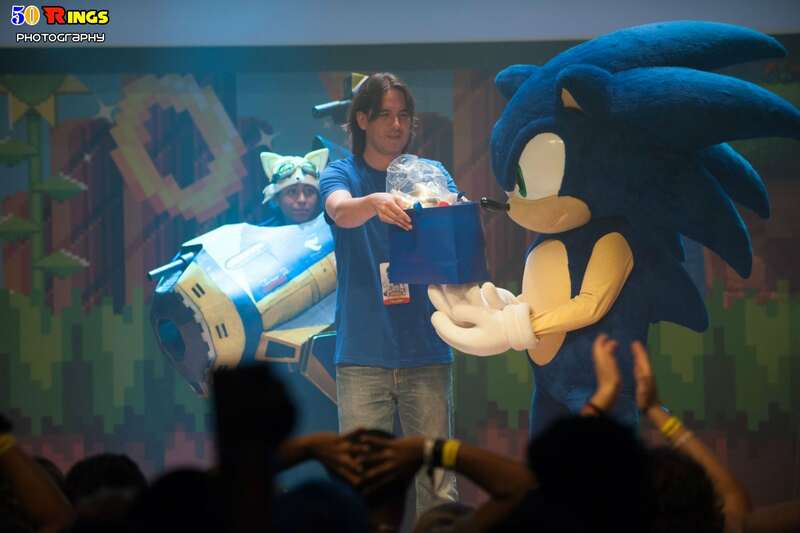 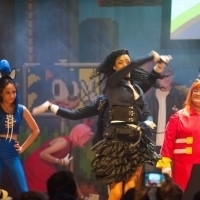 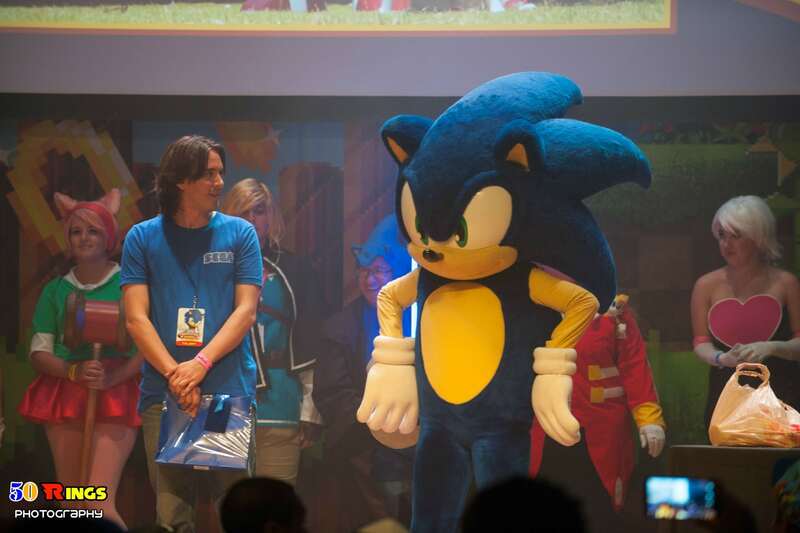 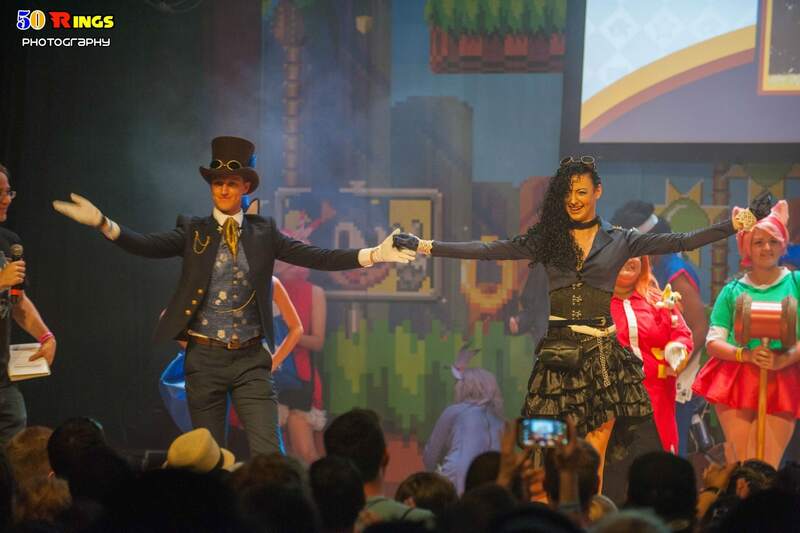 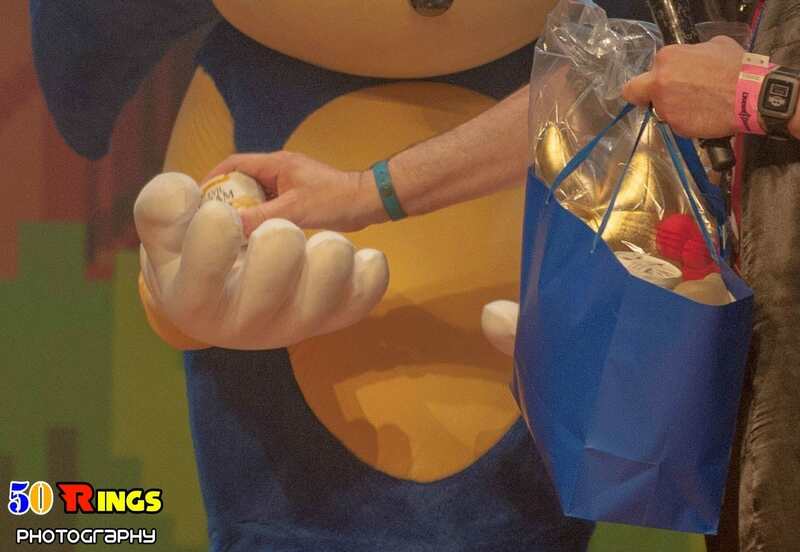 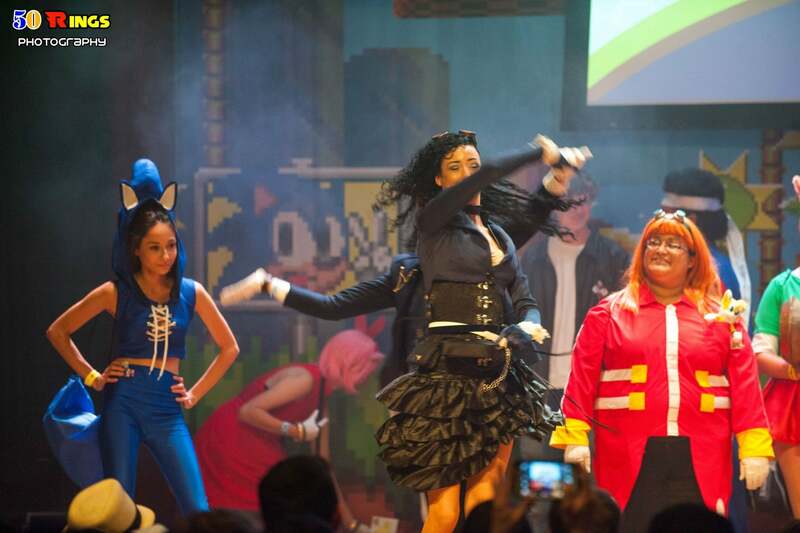 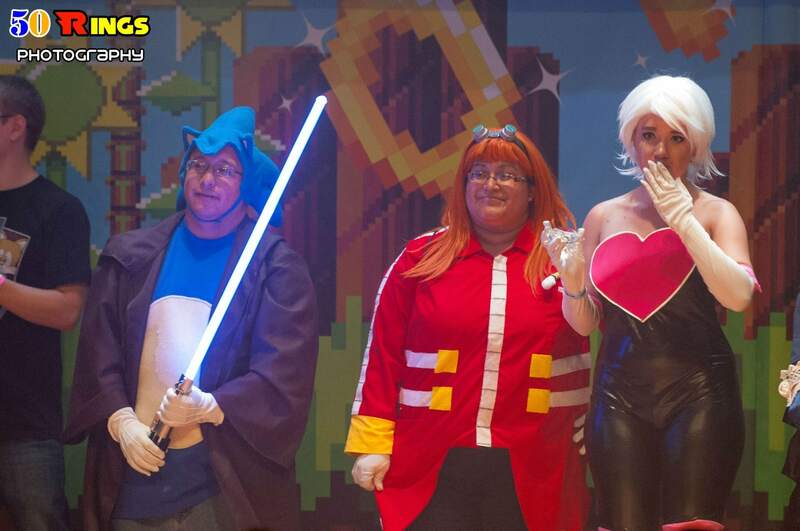 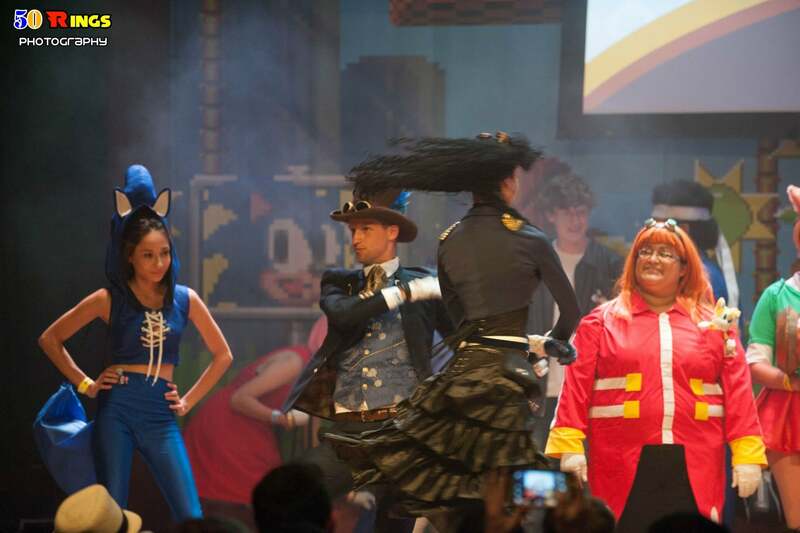 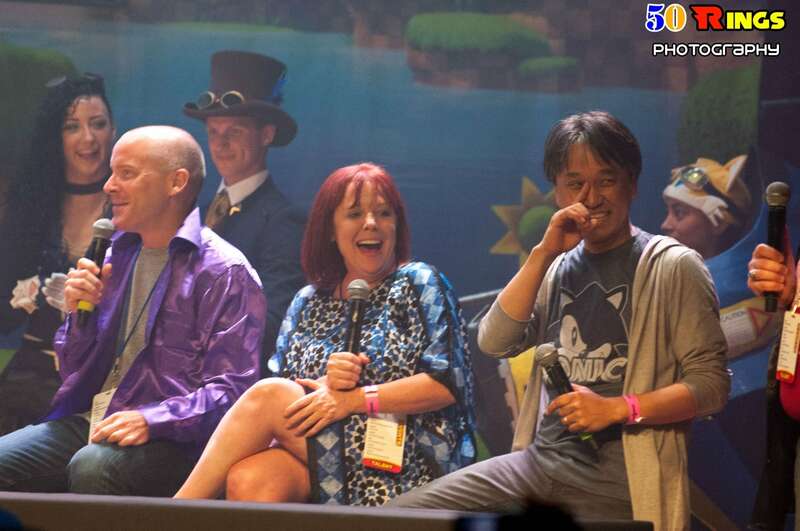 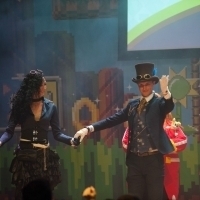 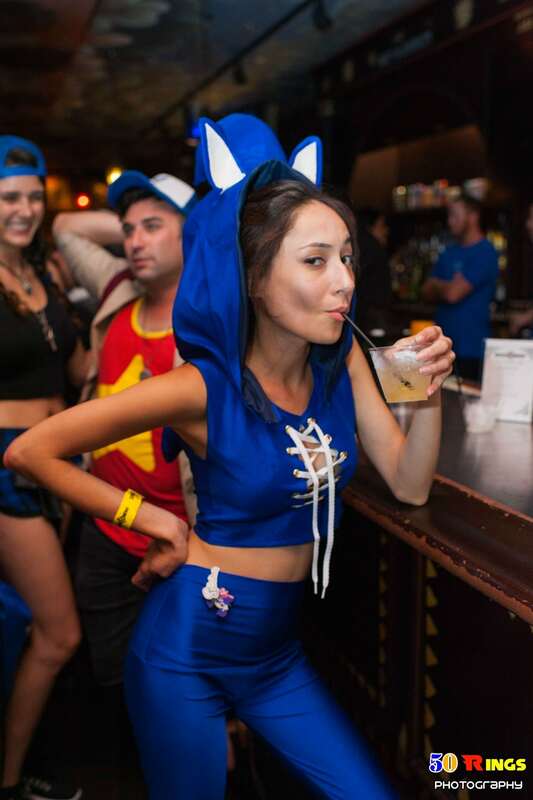 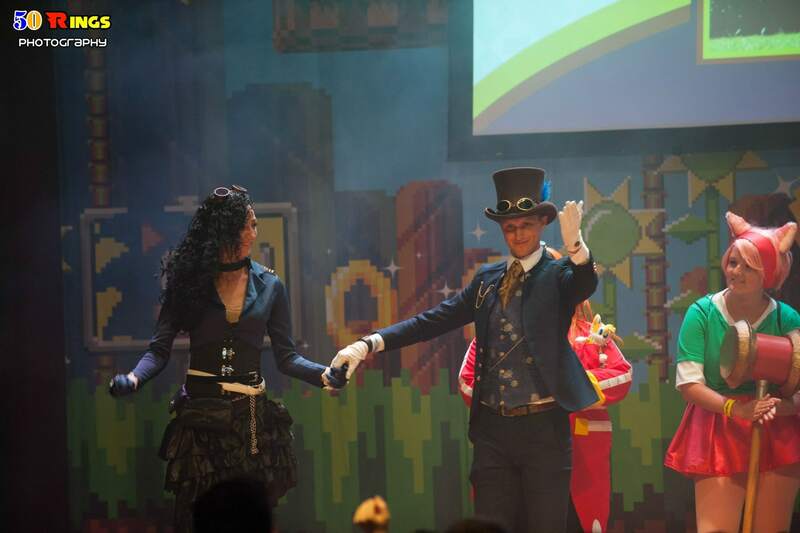 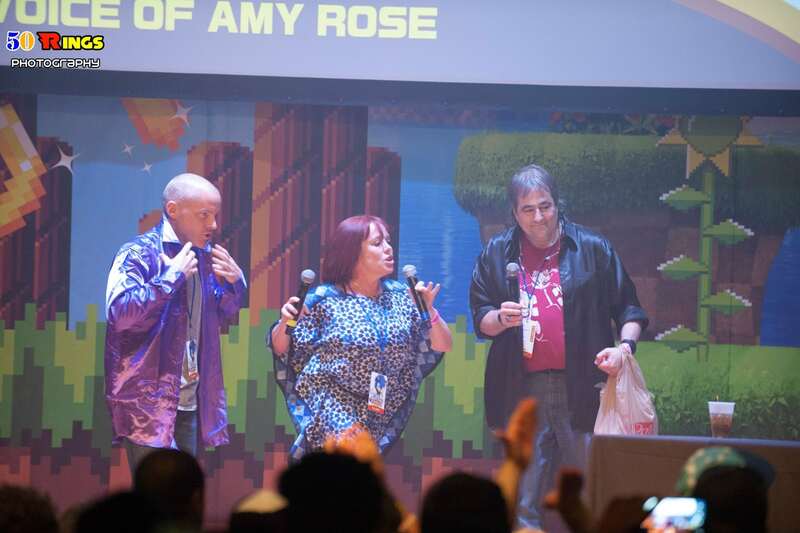 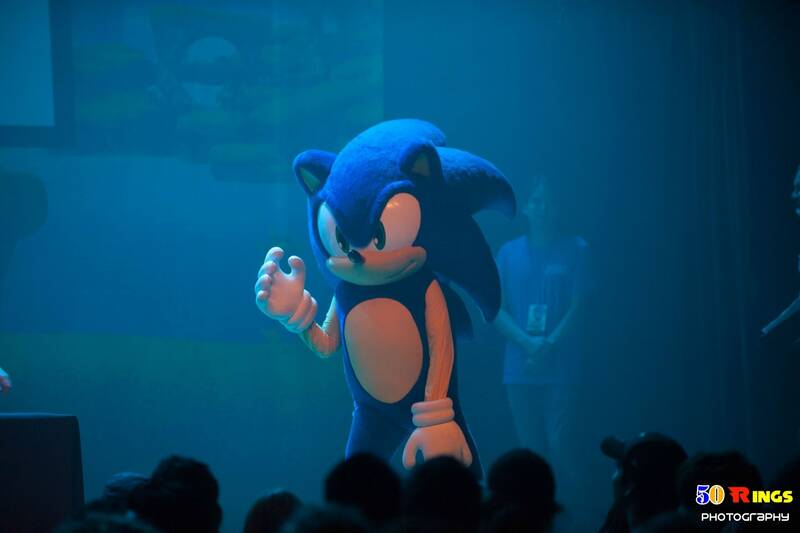 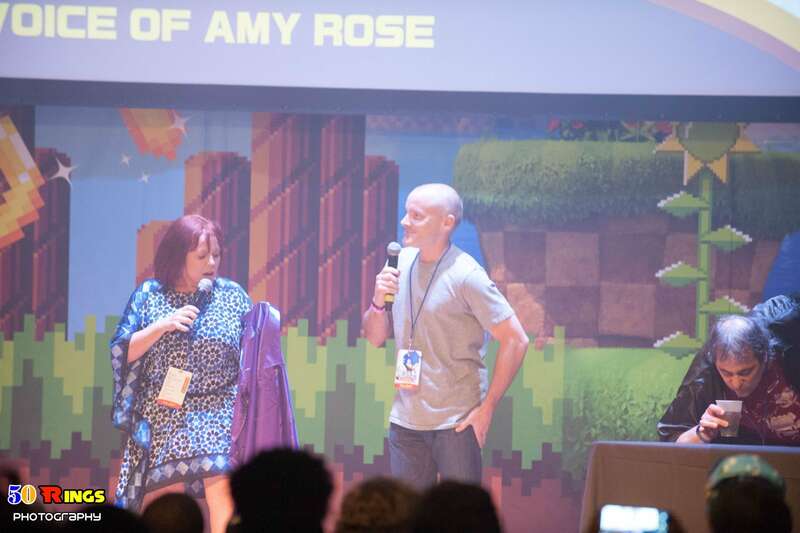 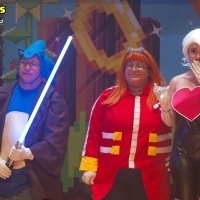 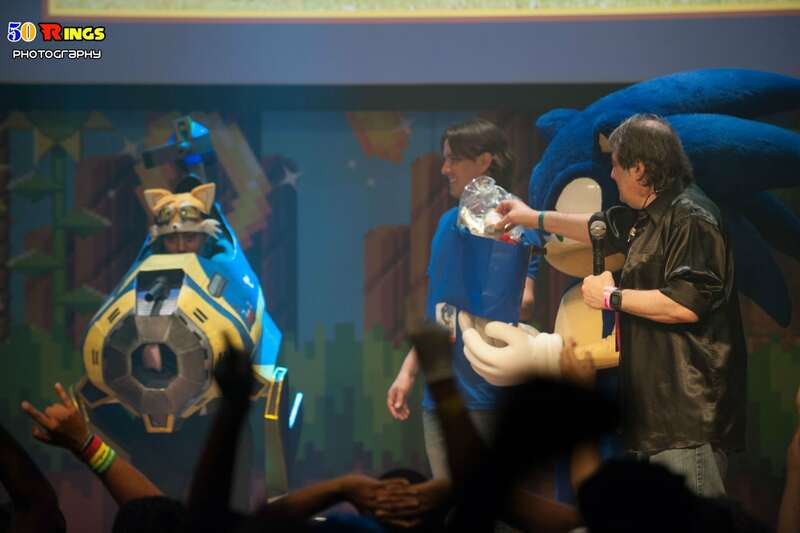 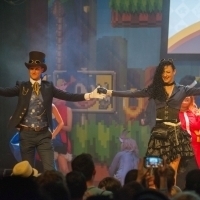 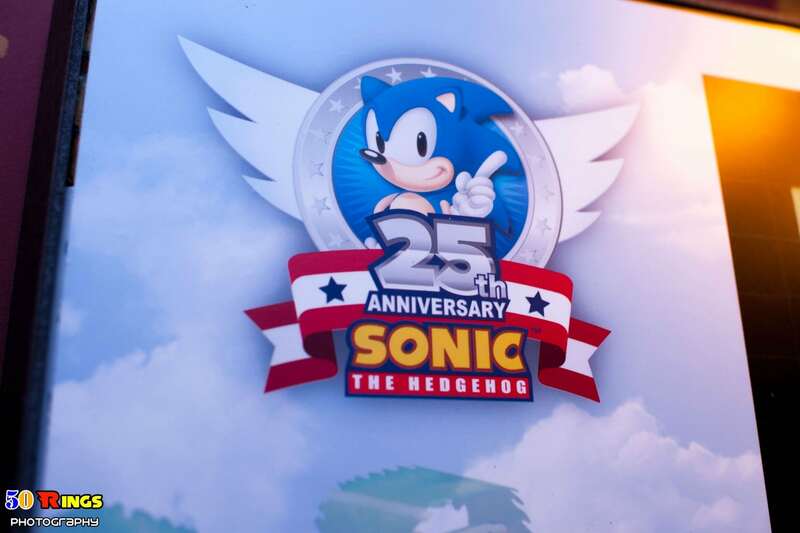 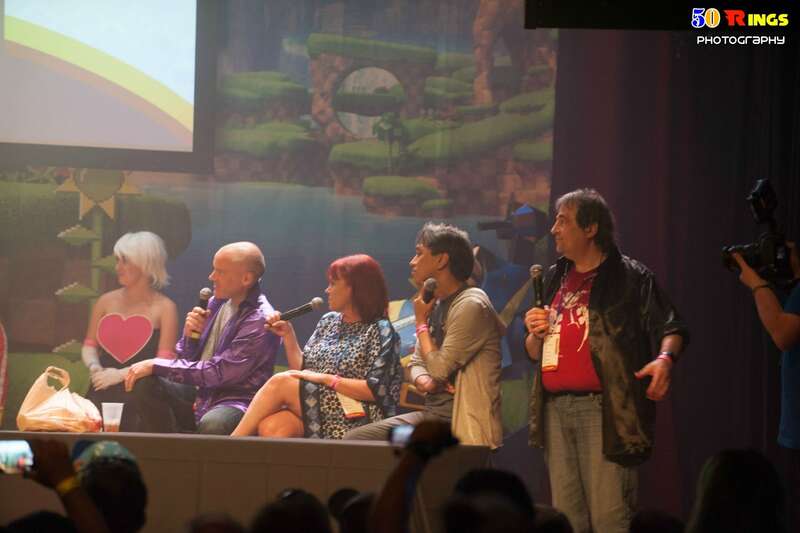 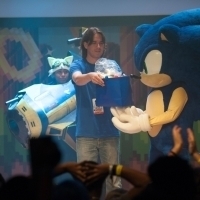 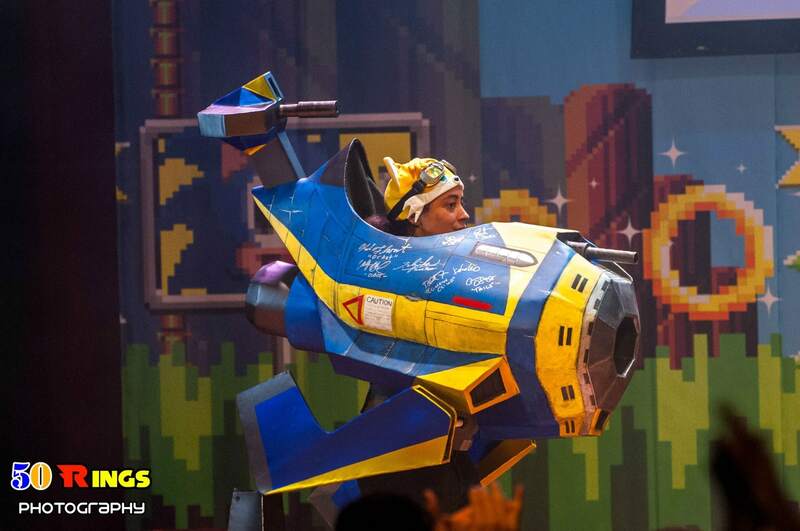 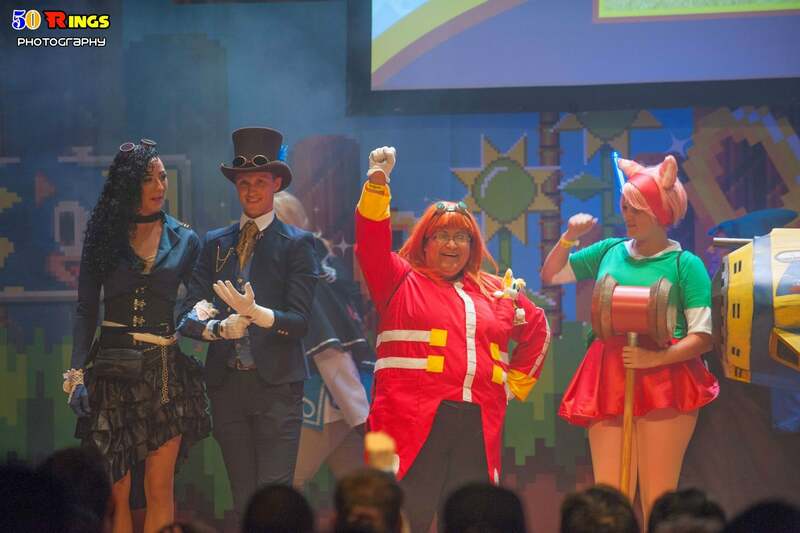 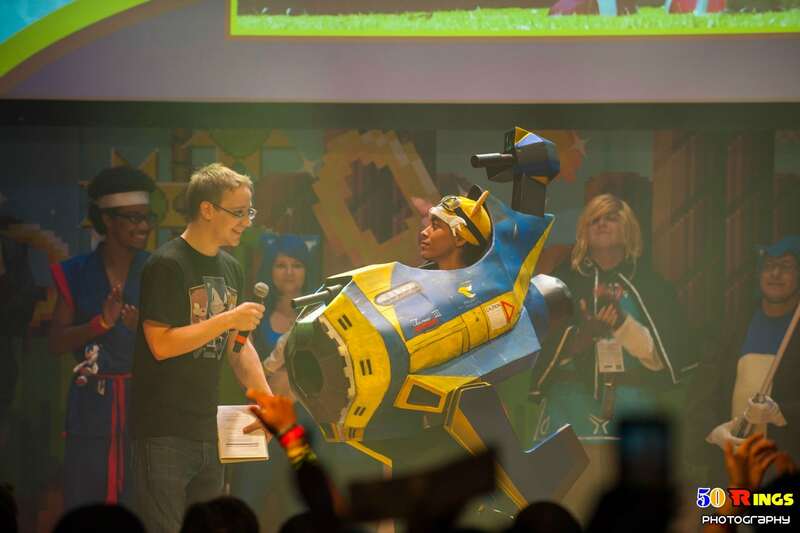 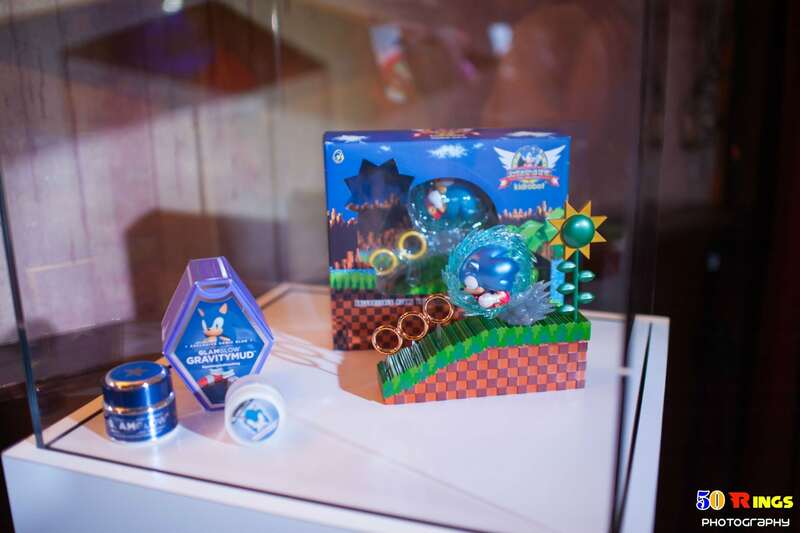 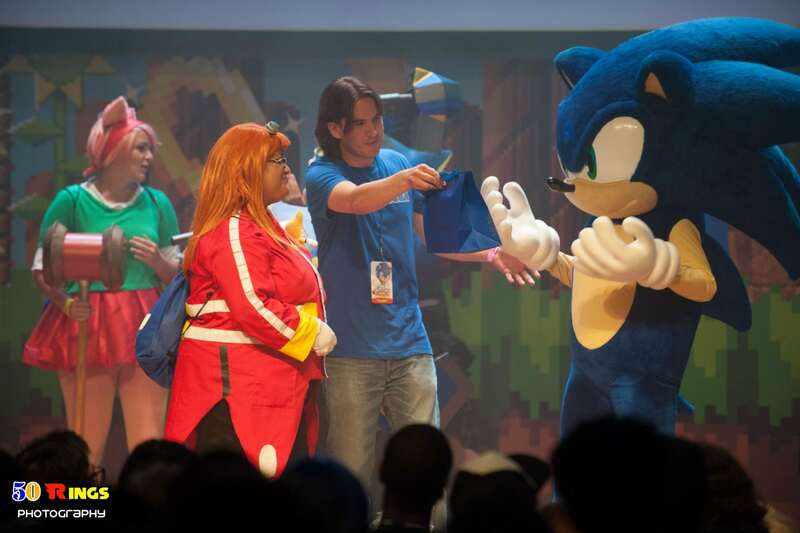 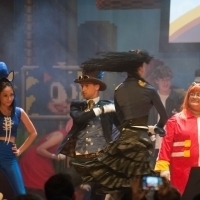 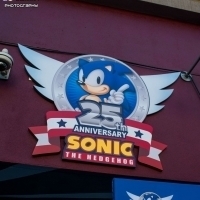 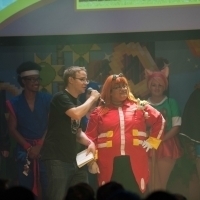 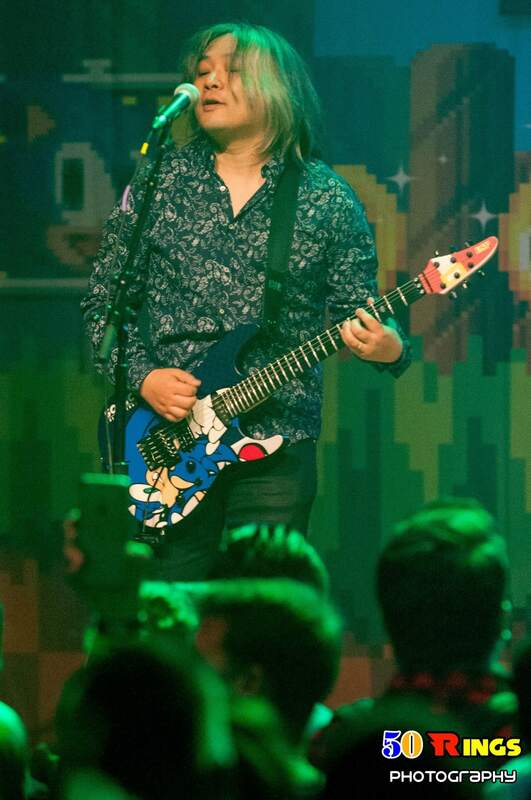 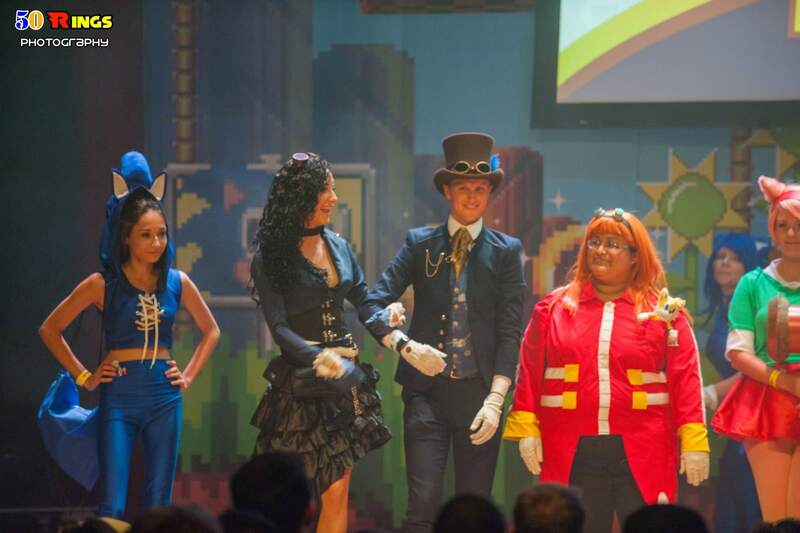 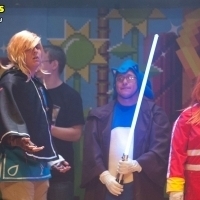 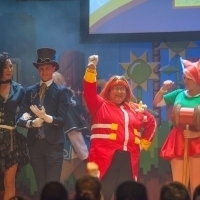 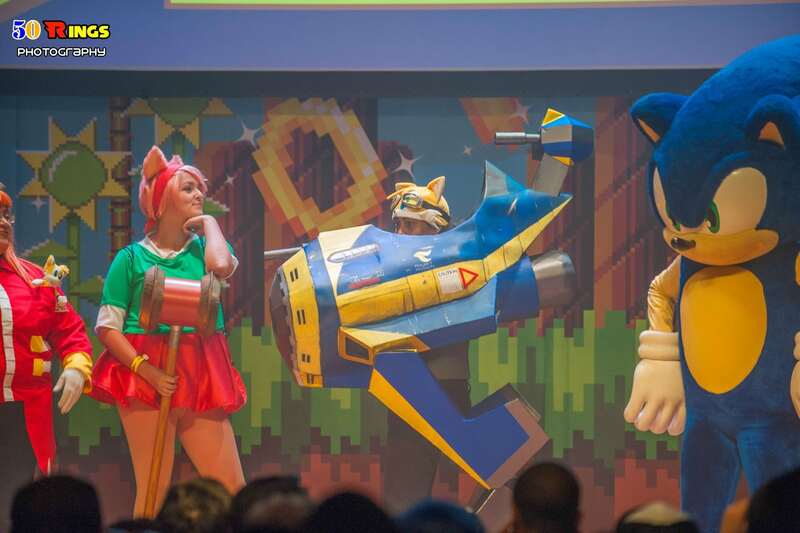 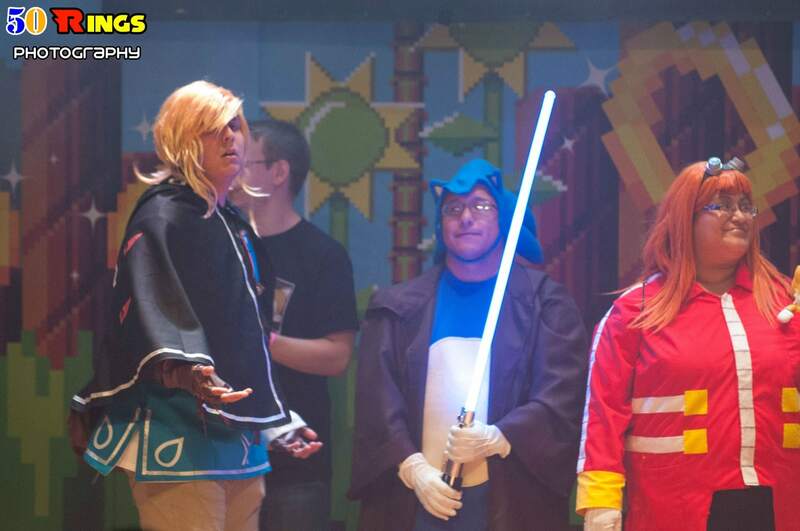 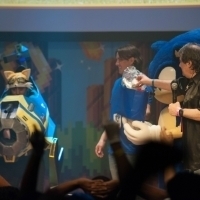 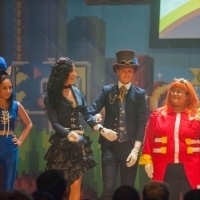 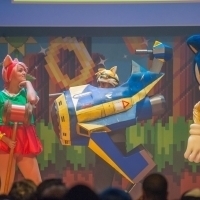 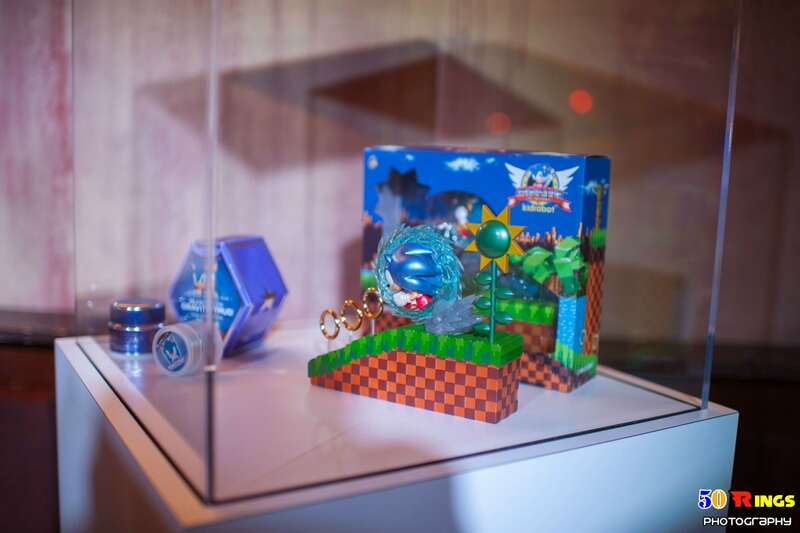 Let’s go through what Sonic’s 25th Anniversary Birthday Bash looked like. 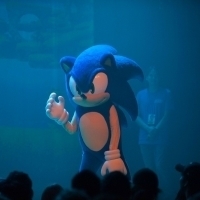 I expected to hear of at least one new Sonic game, and Crush 40 play, and get something to eat. 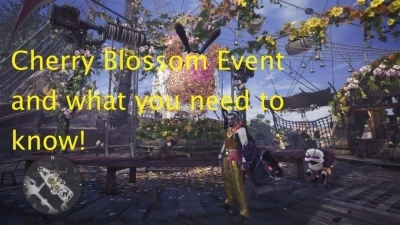 First of all, food. 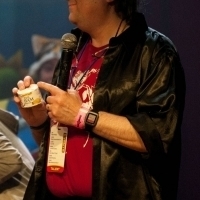 How can you possibly have a party, yet alone a birthday part, without food? 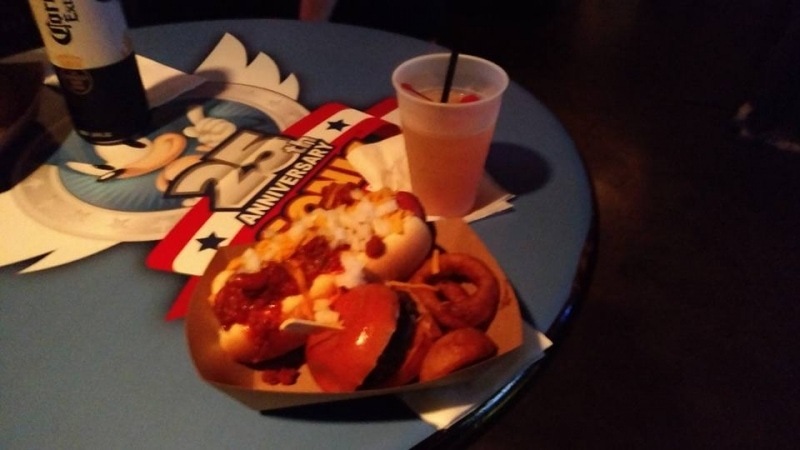 For feed, we had Onion Rings, Sliders, and Chilli Dogs – you can be assured that it was delicious, and that I had multiple servings because they had food to spare. 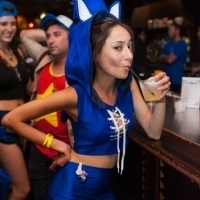 Along with that, everyone over the age of 21 got two free drinks – either alcoholic, or non-alcoholic; the drinks where expensive, like at any other venue, so it was nice to have. 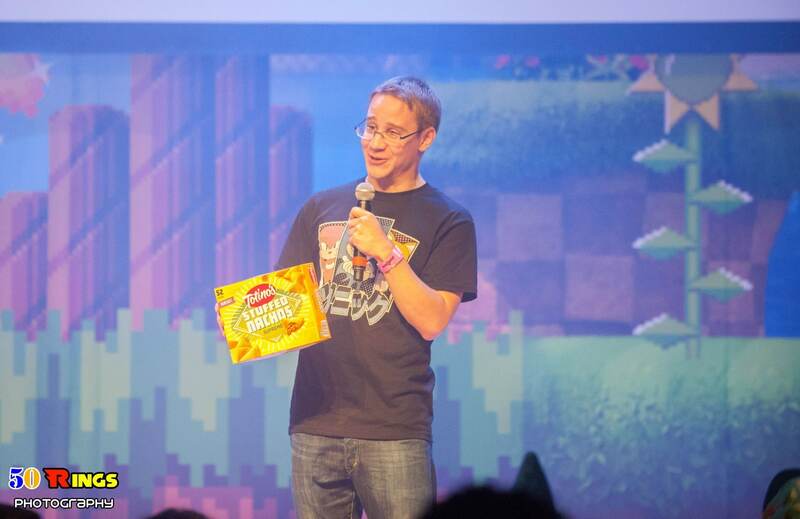 We also got to try Totino’s brand new Stuffed Nachos. 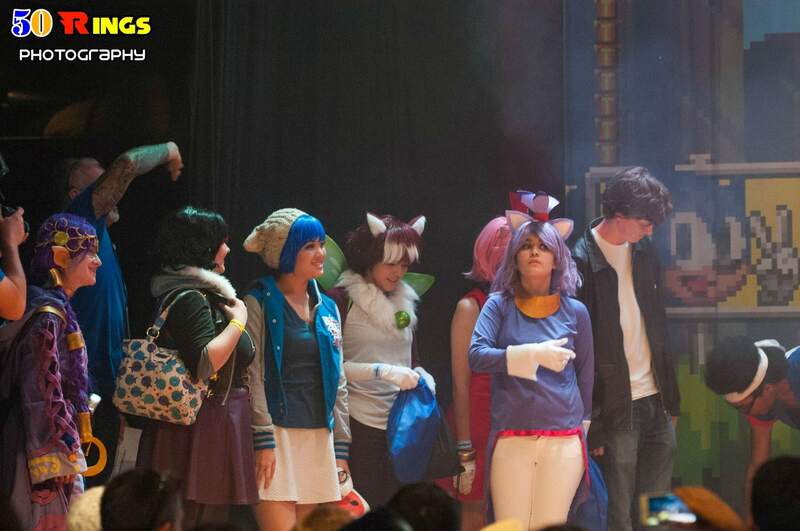 To greet us, Hyper Potions was playing. 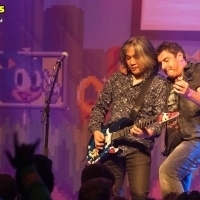 A great start to the event by hearing upbeat renditions of classic Sonic songs. 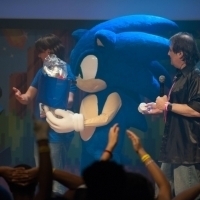 Everyone loved it. 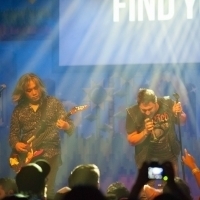 Go to their website and check out their music! 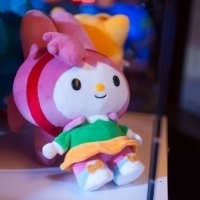 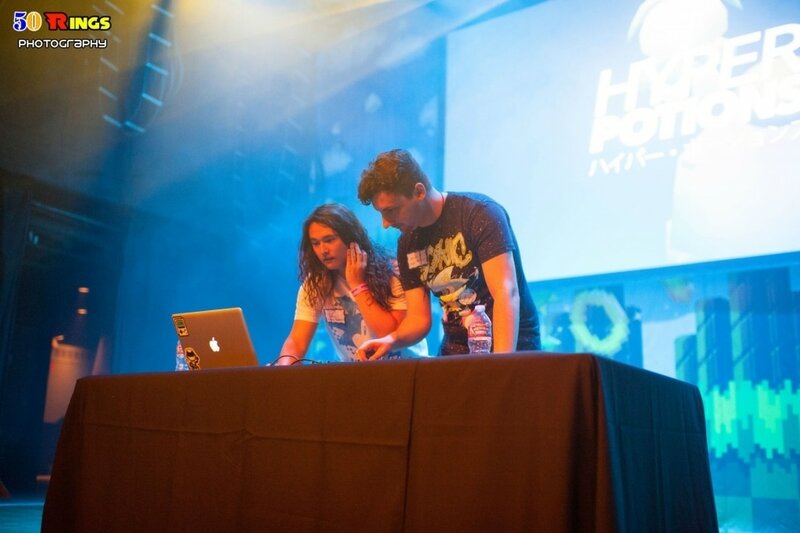 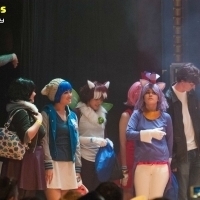 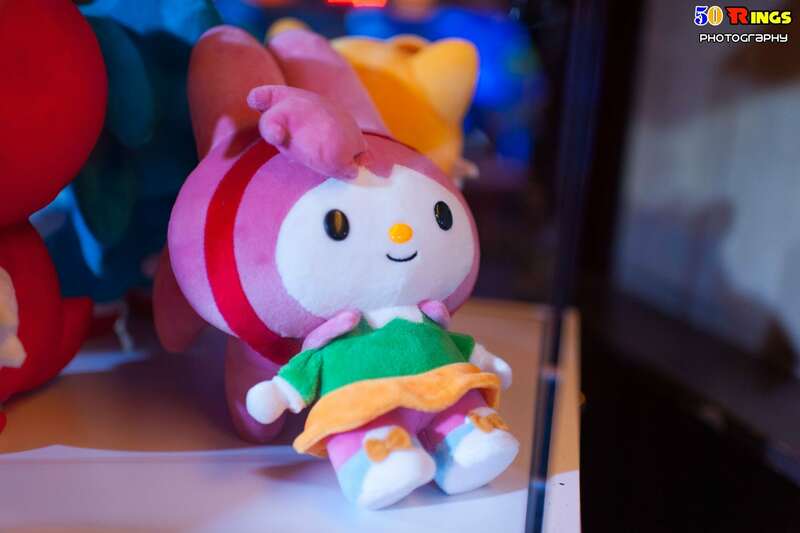 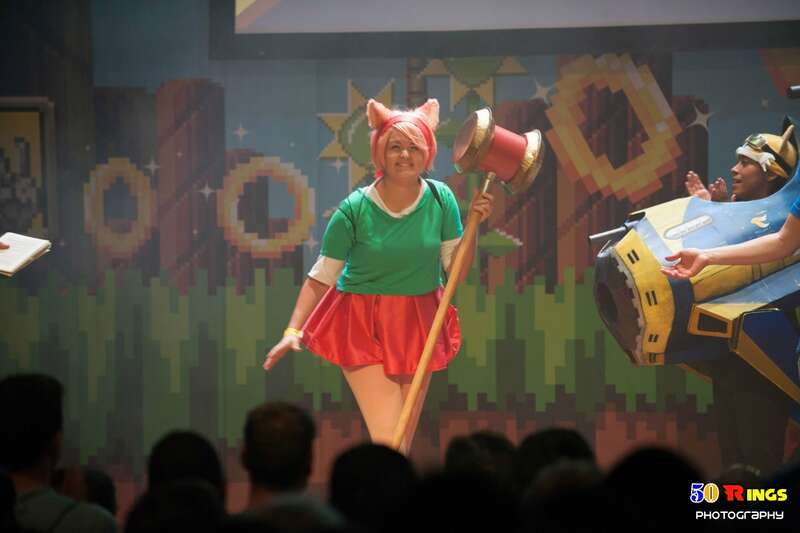 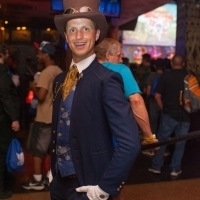 Hyper Potions did a great job in inviting us to the event. 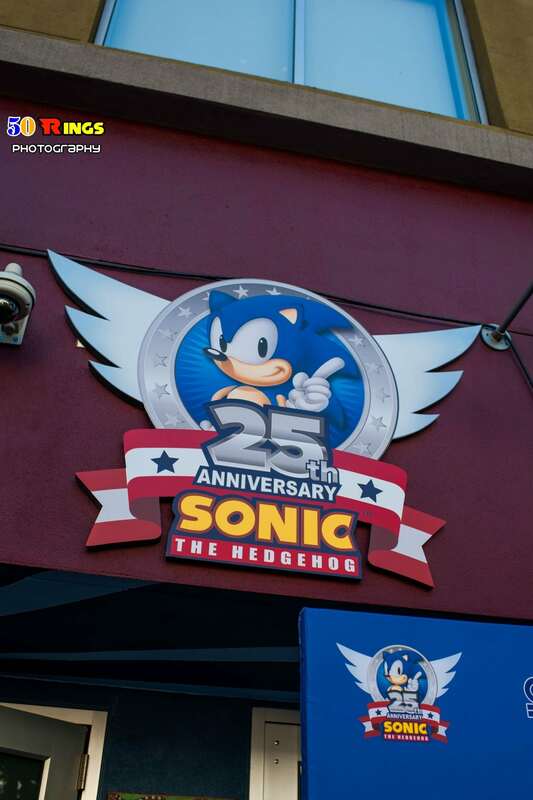 During this time, we had voice actors singing, as well as a store were you could buy gifts, music, and apparel, etc. 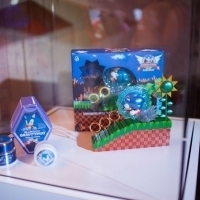 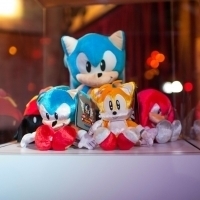 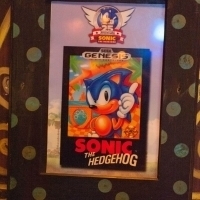 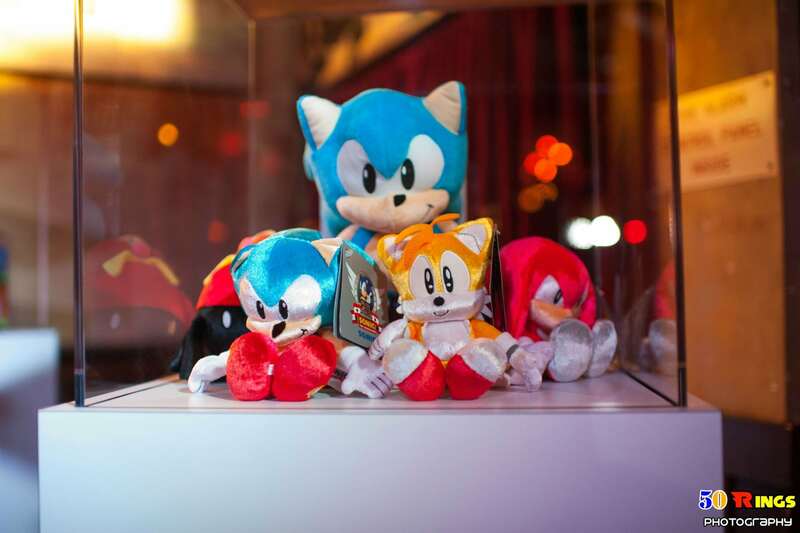 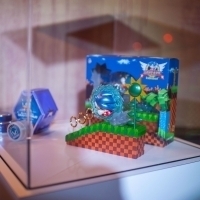 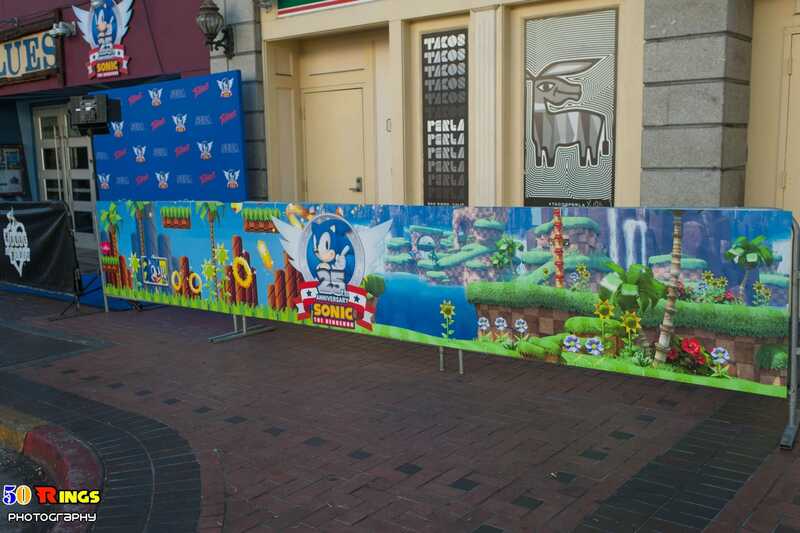 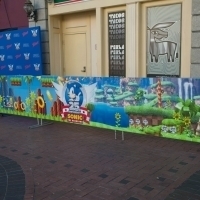 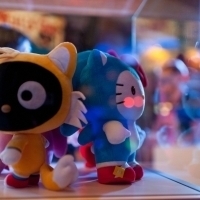 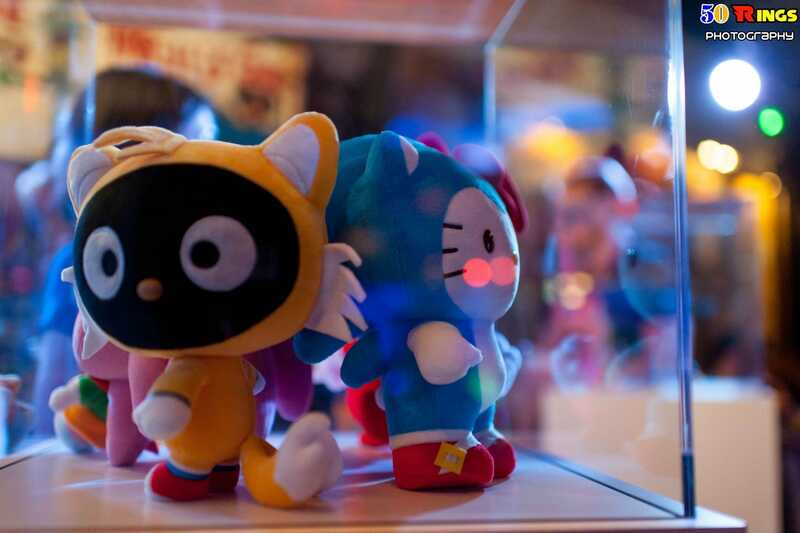 They had demos of Sonic games set up, as well as many of Sega’s historical consoles with showcased Sonic games. 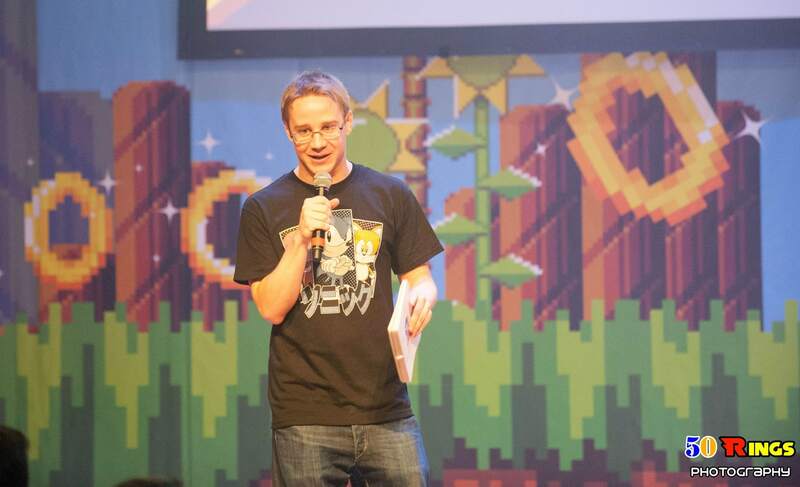 Afterwards, Aaron Webber had some exciting news besides Dank Memes; this is not to say we don’t like Dank Memes. 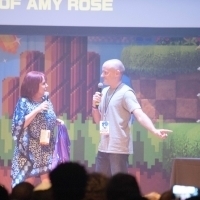 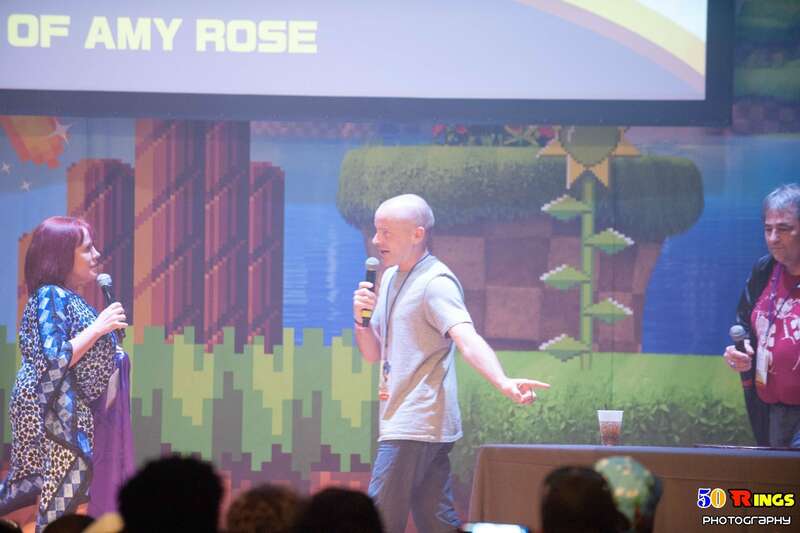 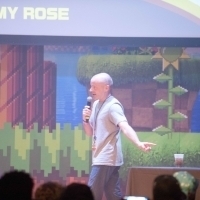 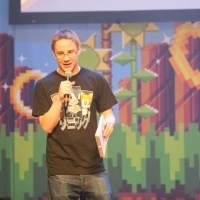 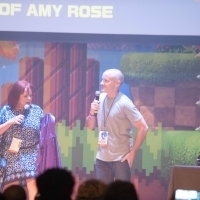 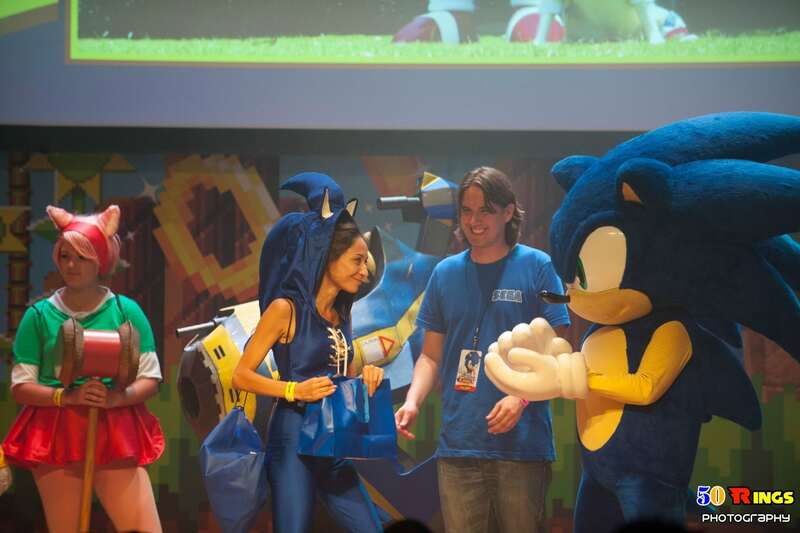 Aaron Webber introduced us the new Sonic Game coming up – Sonic Mania. 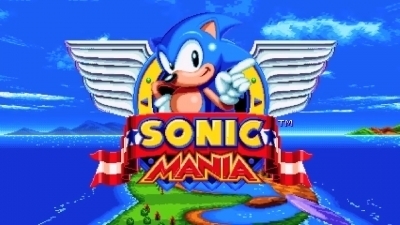 Sonic Mania is set to release in the Spring of 2017 for Xbox One, PS4 and PC. 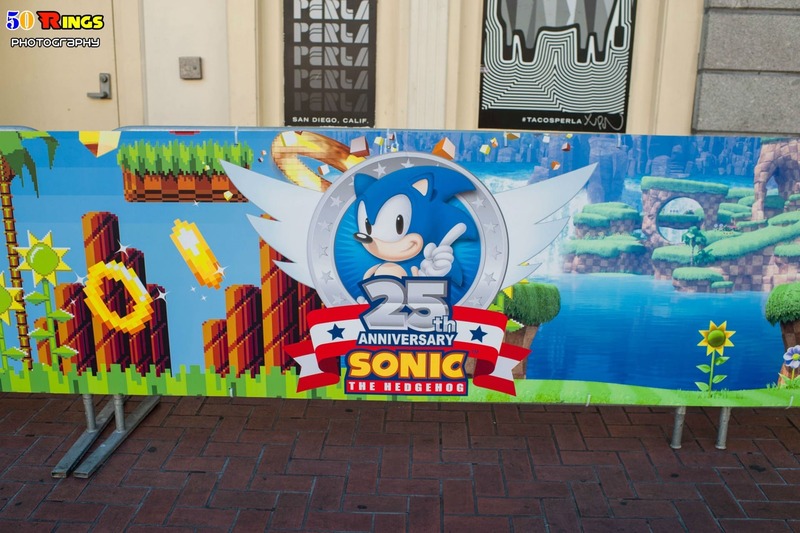 Takashi Iizuka and Christian Whitehead, Lead Programmer and Developer of Sonic Mania, had words after the reveal of Sonic Mania. 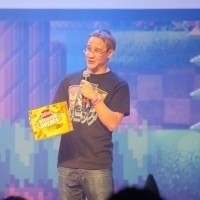 Chief of Brand Officer, Ivo Gerscovich was there to thank us and welcome us to the event. 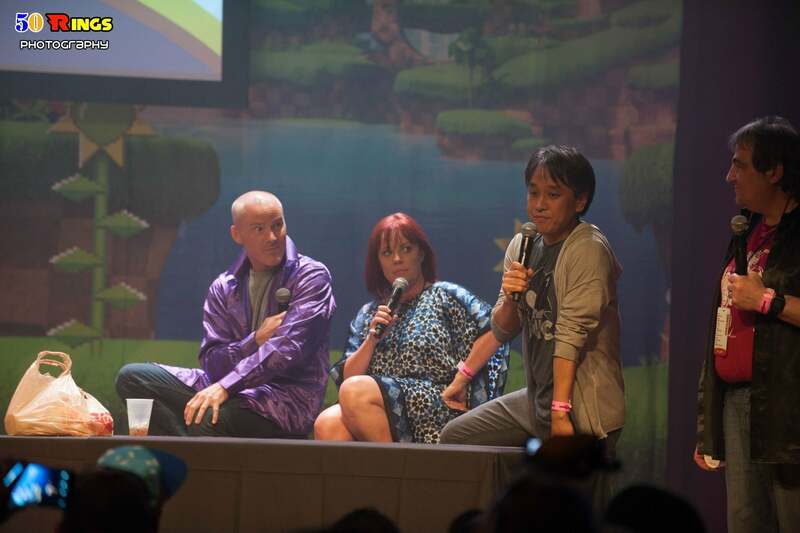 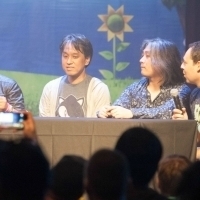 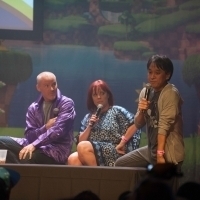 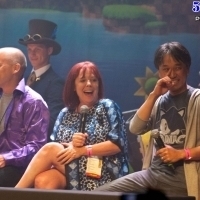 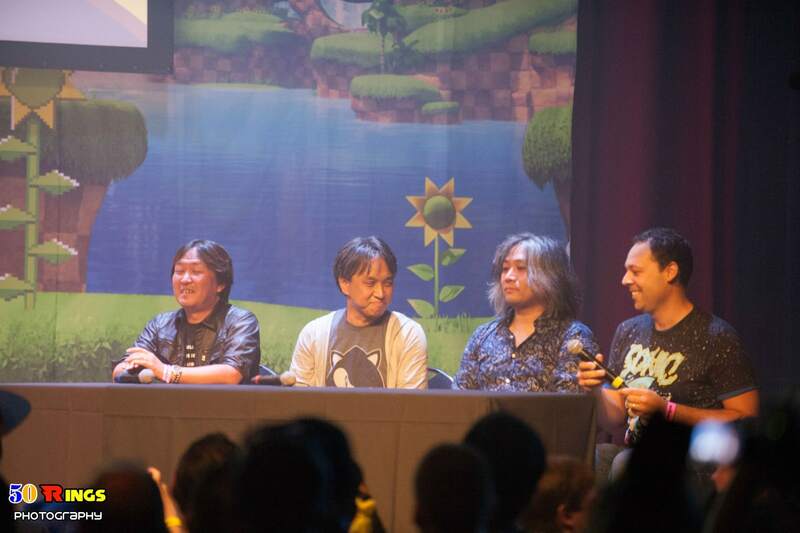 Takashi Iizuka, Jun Senoue, and Kazuyuki Hoshino did an interview near the end. 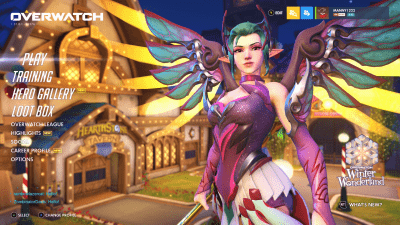 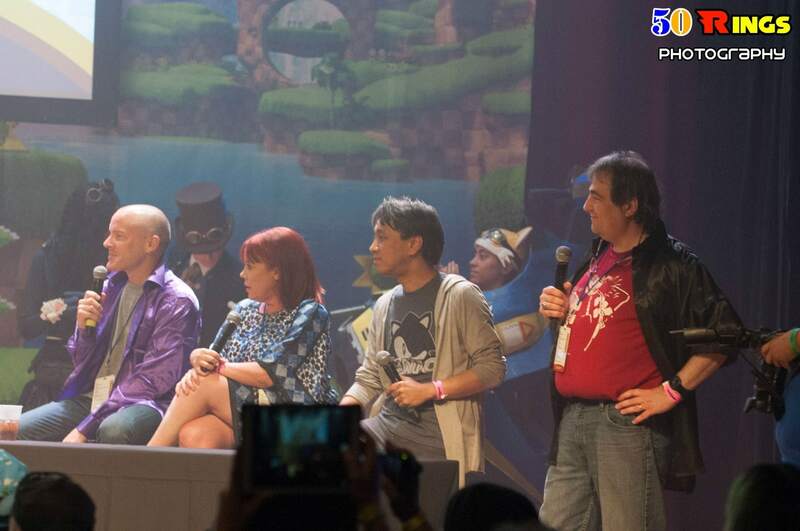 I will be posting a video of the entire stream up. 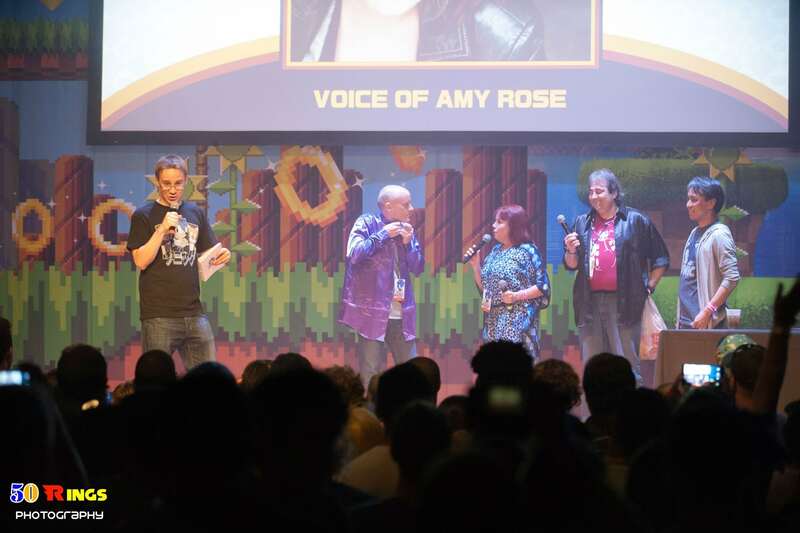 I have to warn, the stream had technical issues – mostly audio – but it’s still great and it was mostly towards the beginning. 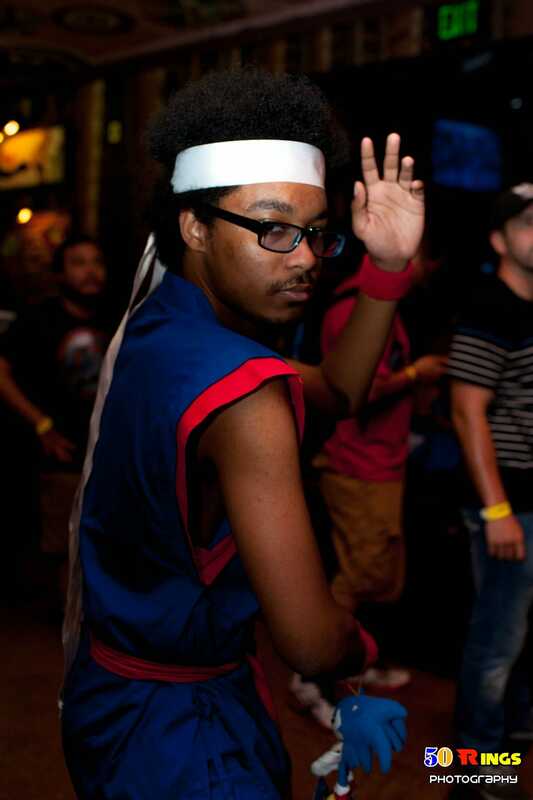 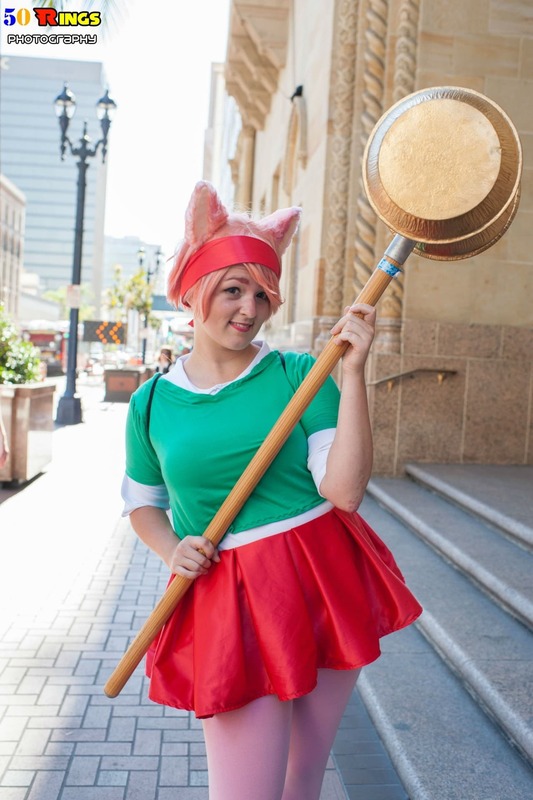 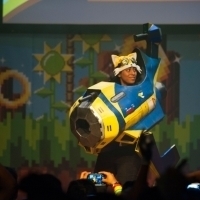 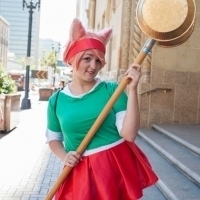 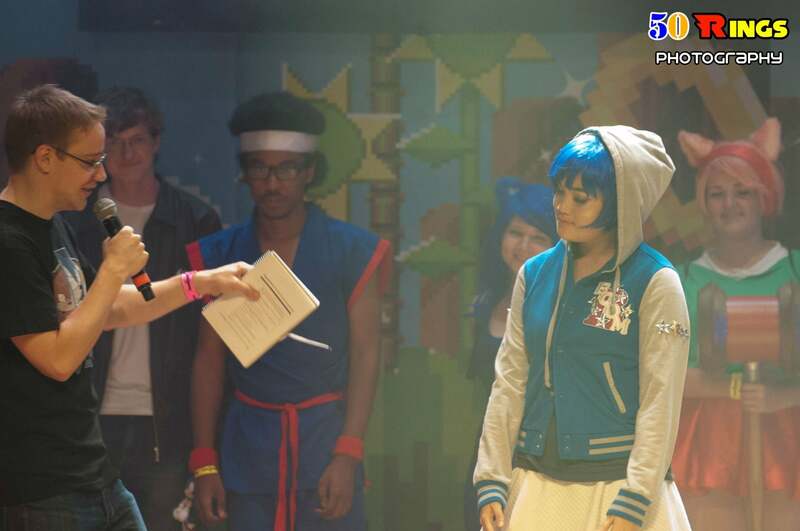 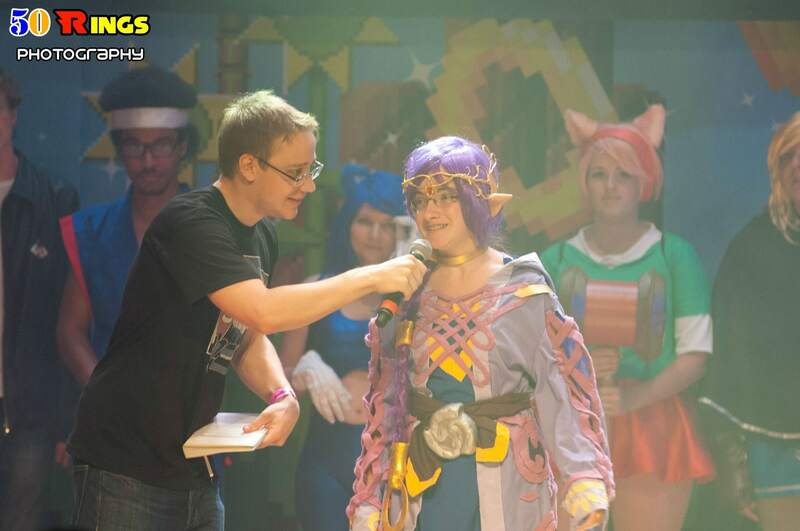 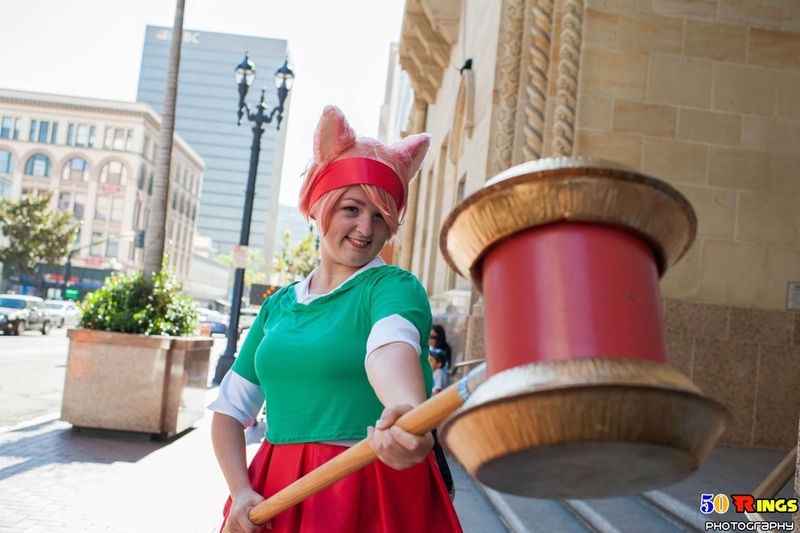 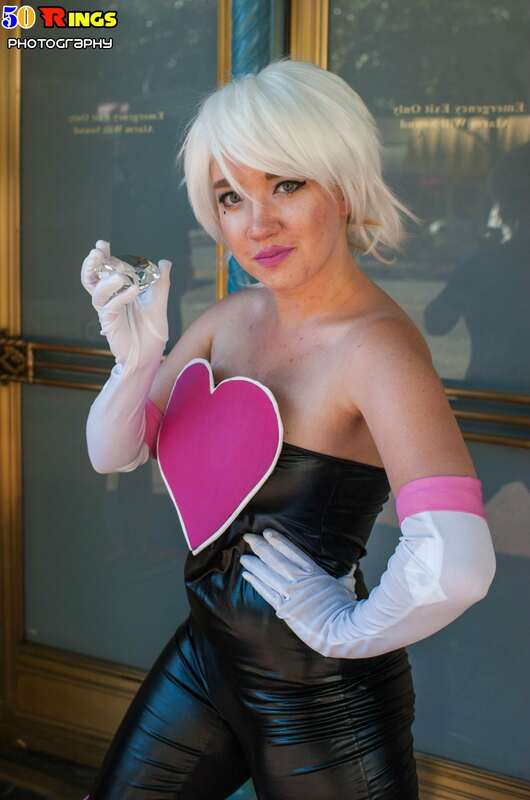 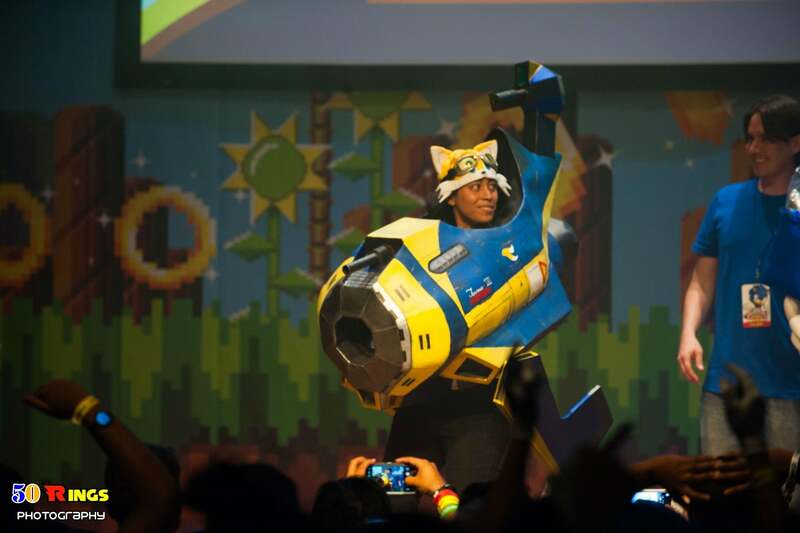 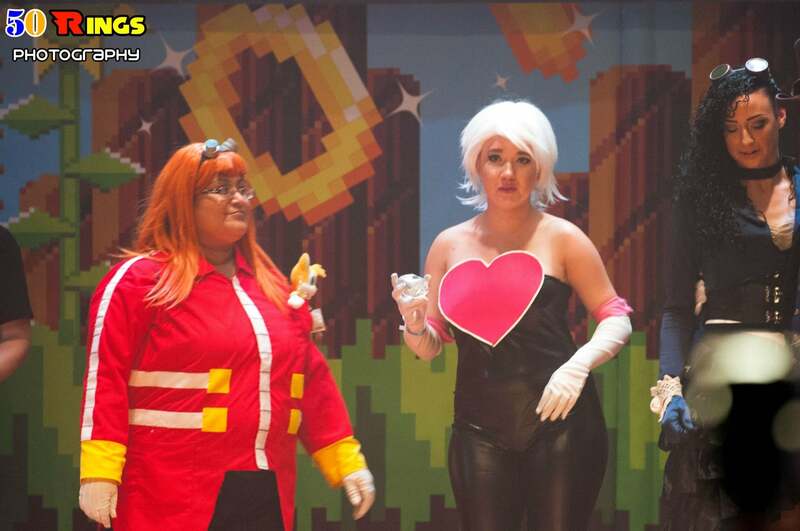 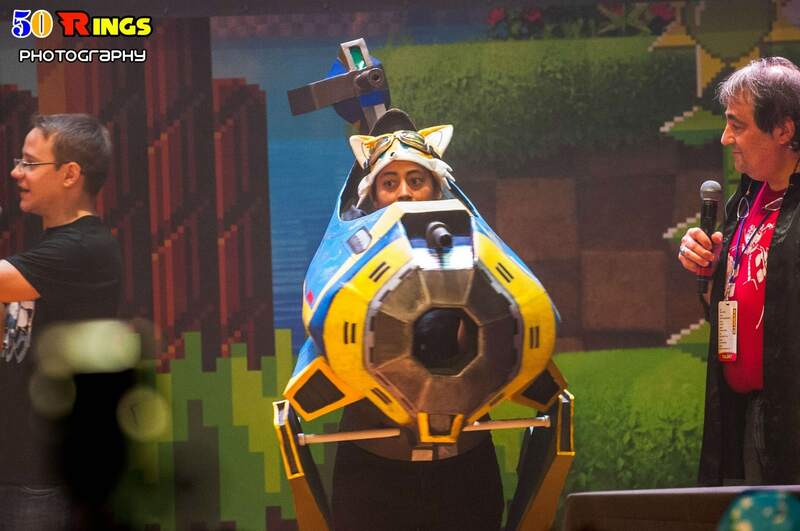 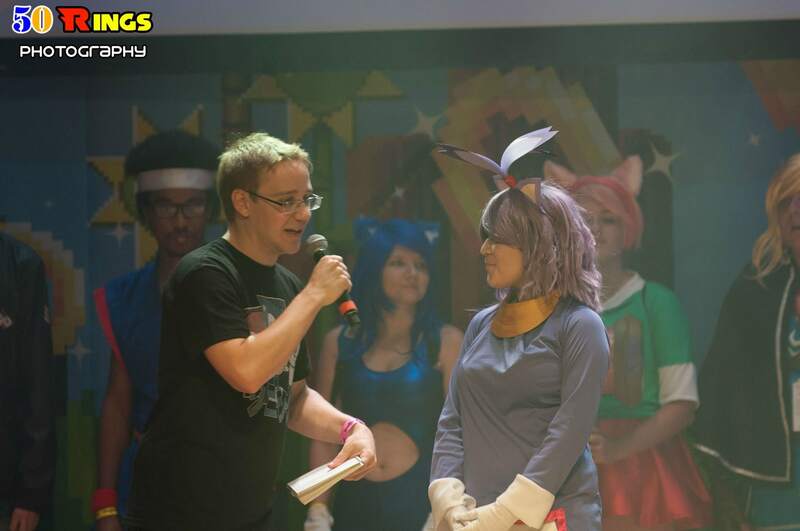 A cosplay contest was also held with very creative and hardworking people showing off their costumes. 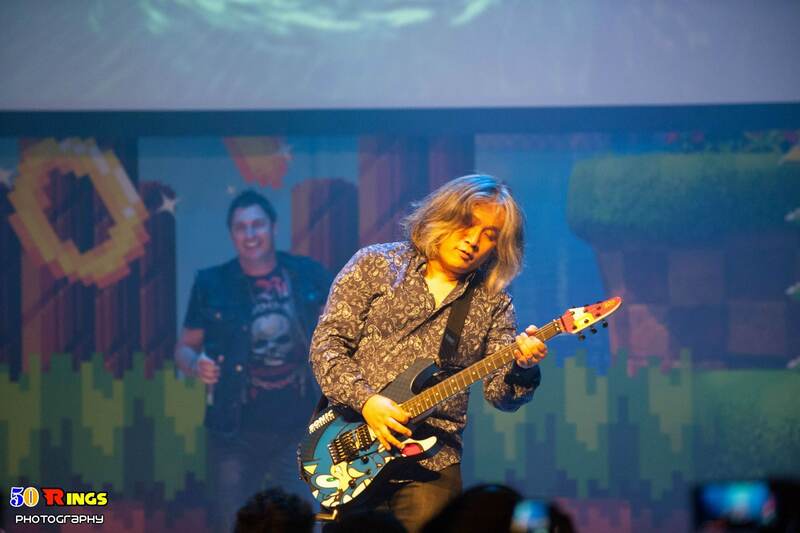 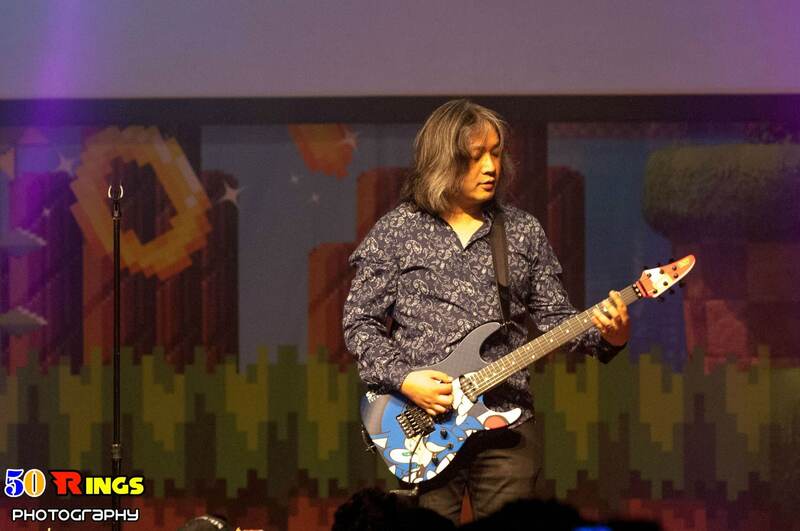 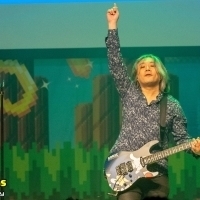 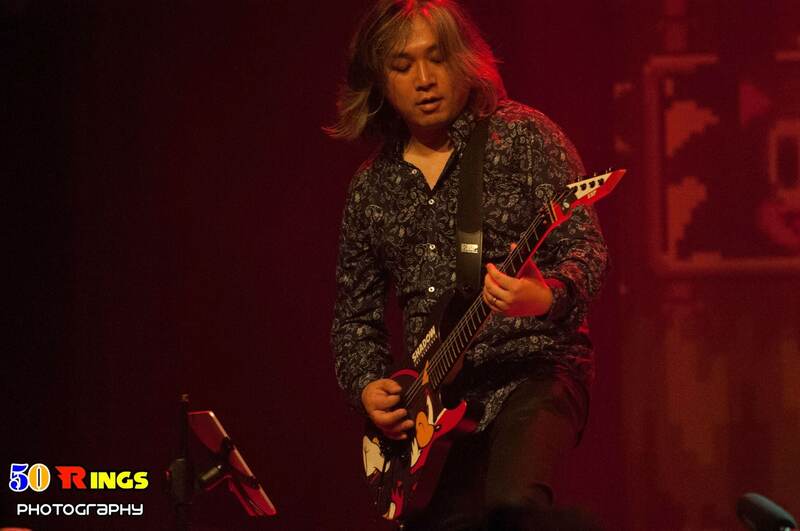 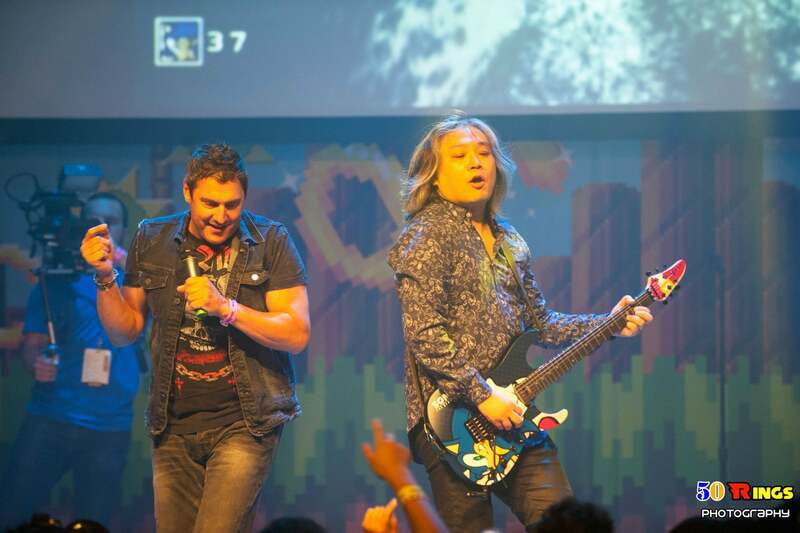 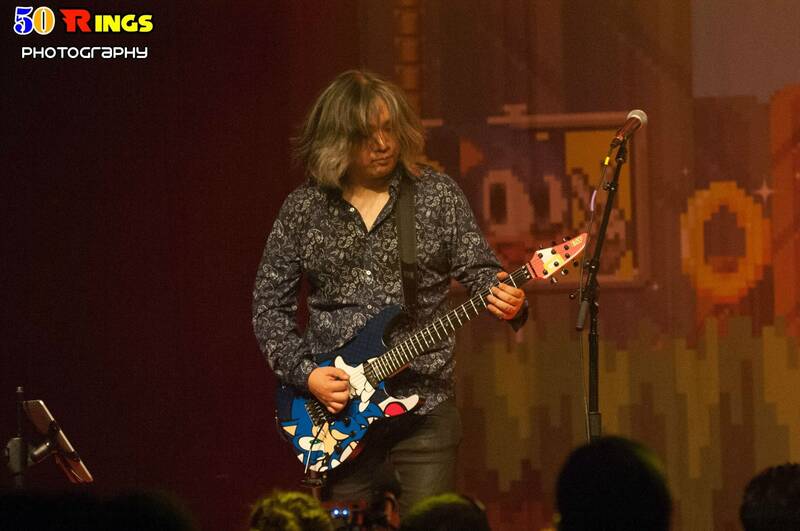 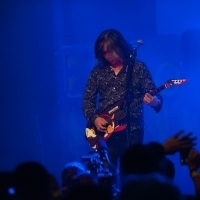 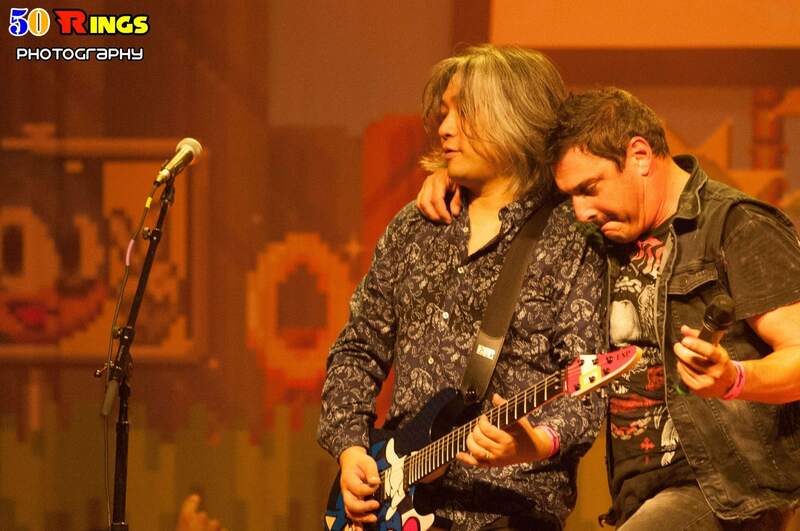 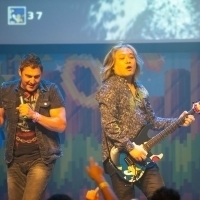 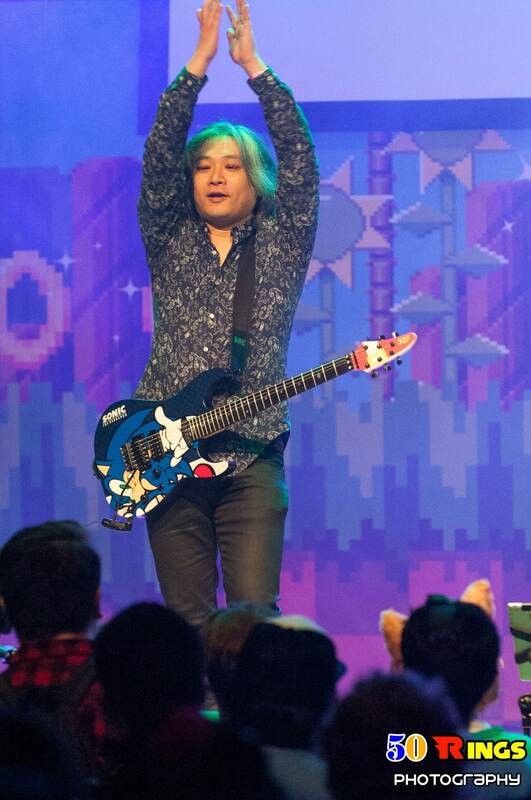 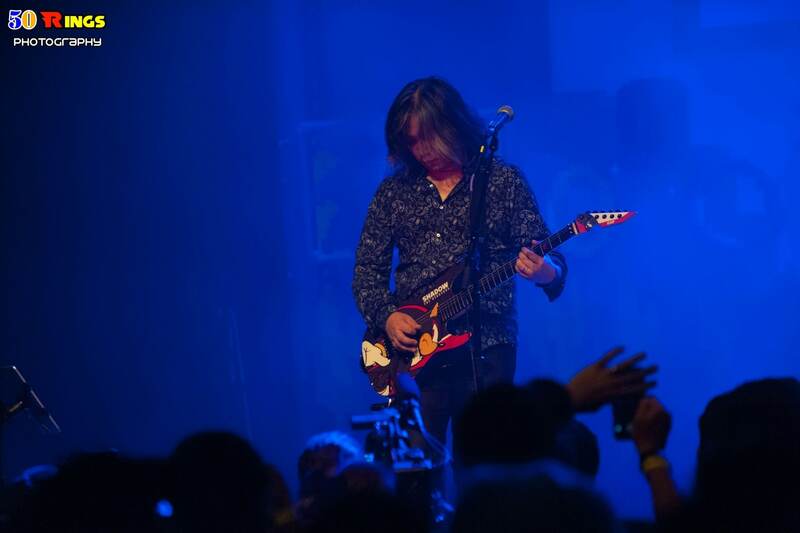 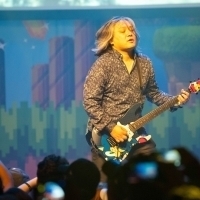 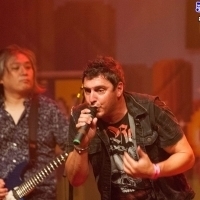 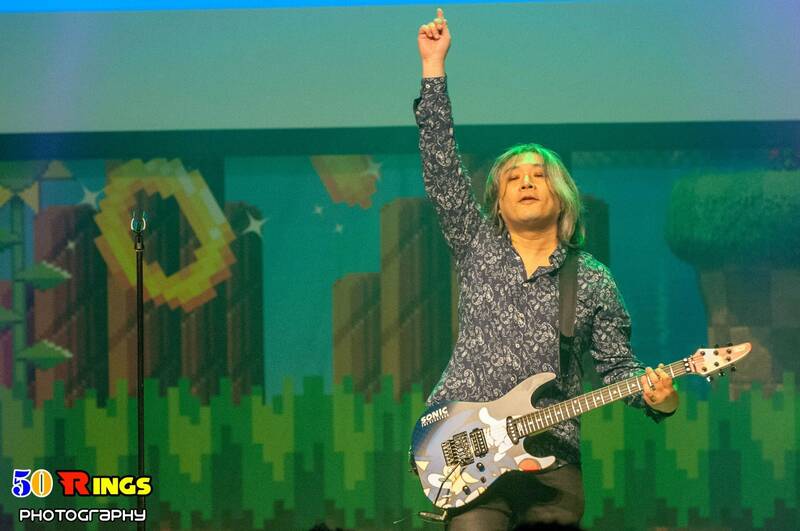 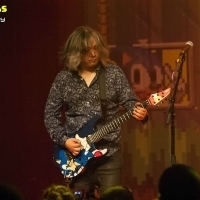 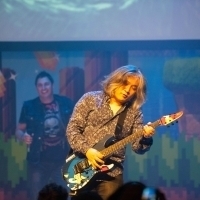 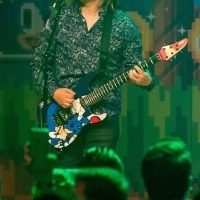 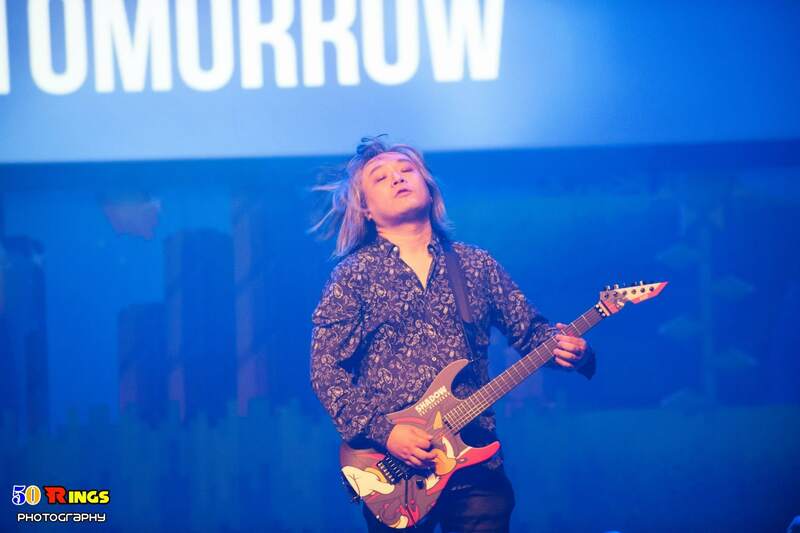 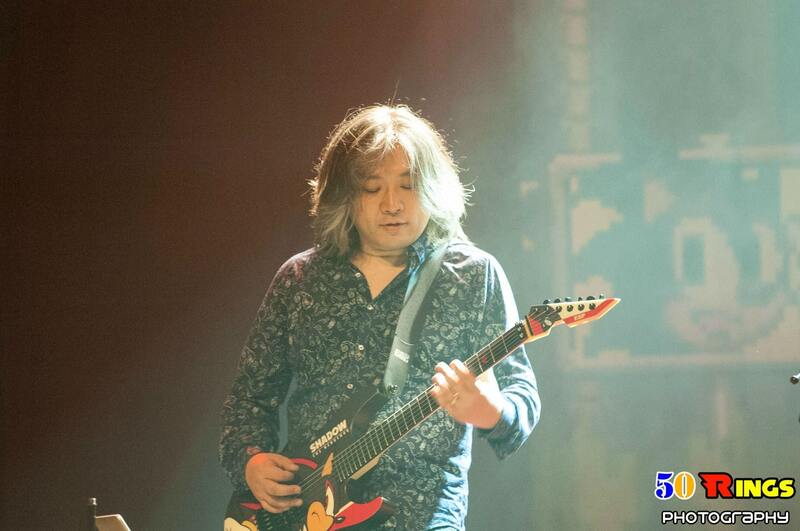 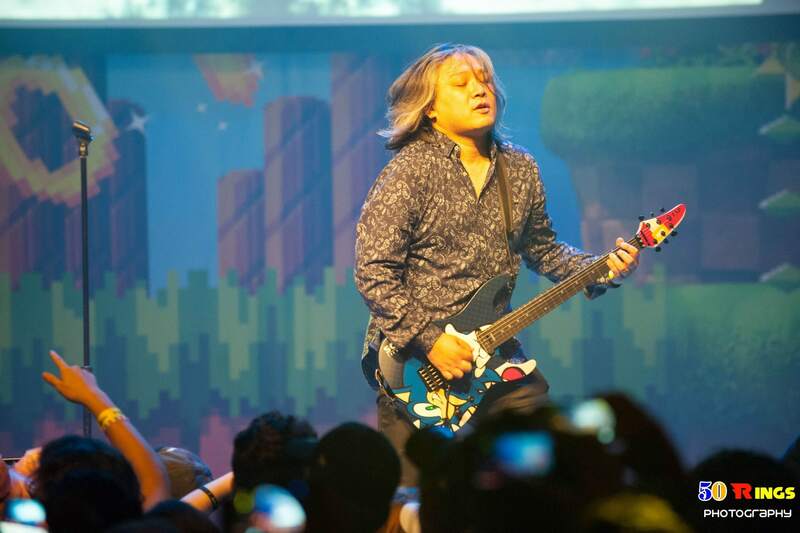 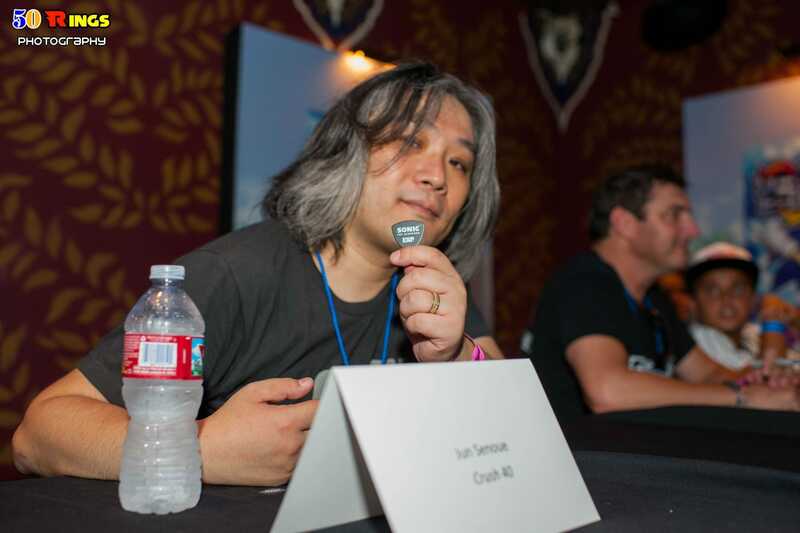 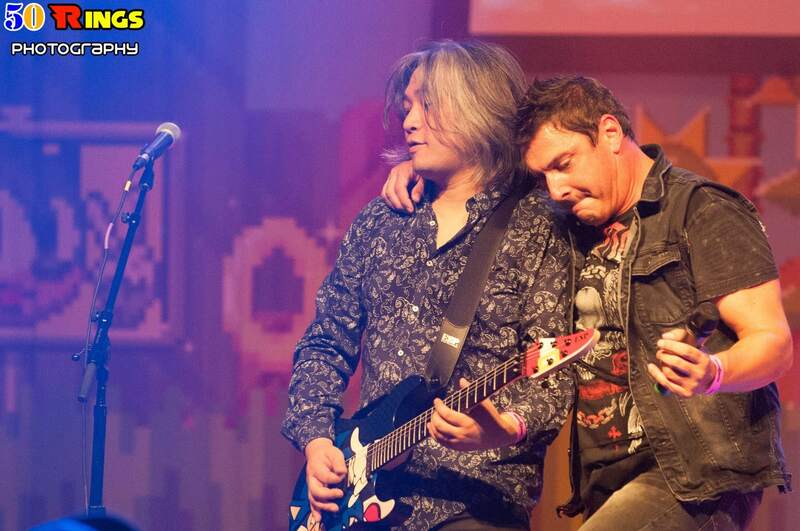 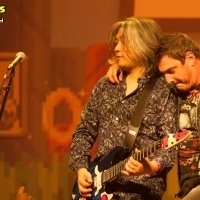 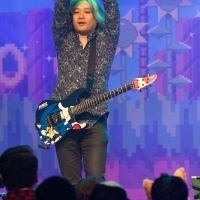 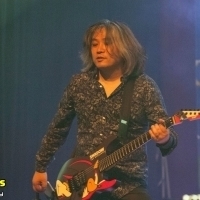 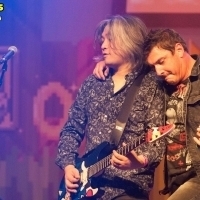 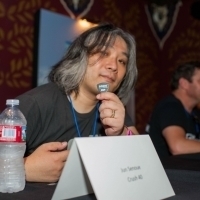 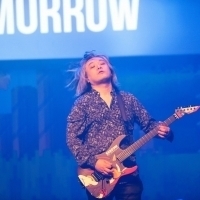 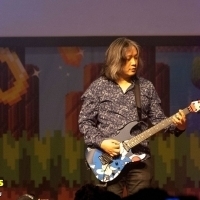 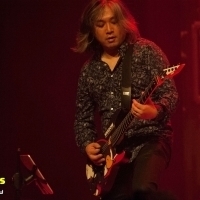 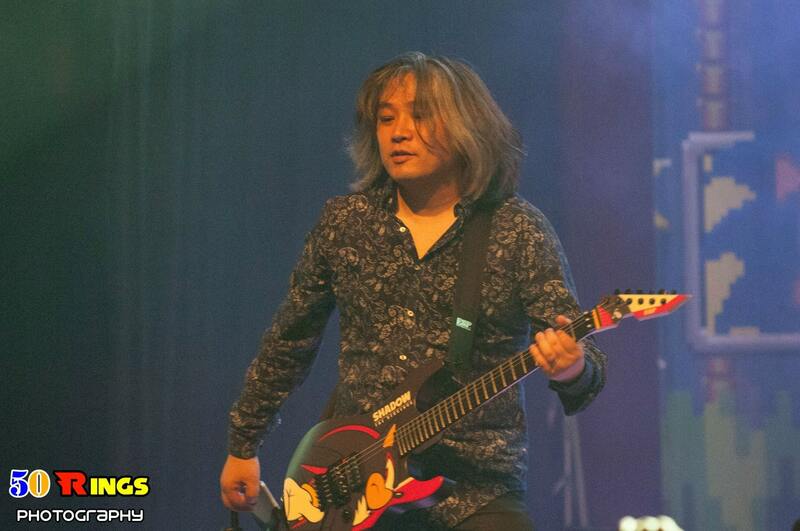 Jun Senoue was playing alone for a short time, so I was wondering if Johnny Gioelli was going to be there, since they said Crush 40 would be there. 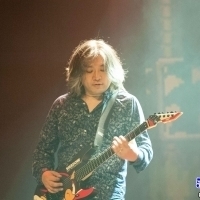 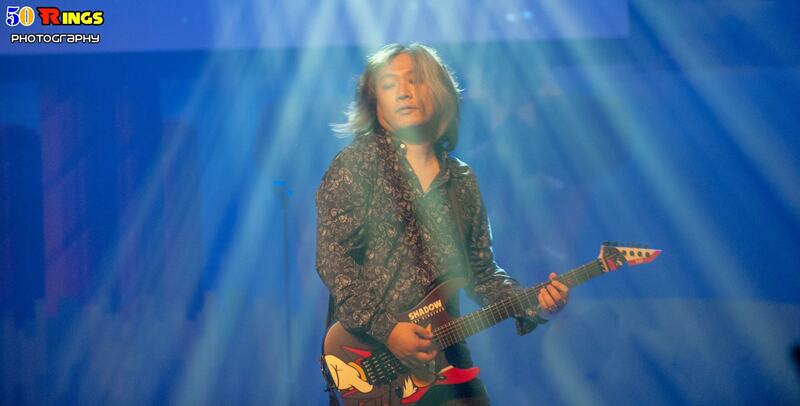 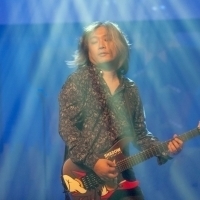 They played a large set of songs, and Johnny’s stage presence was energetic and powerful, as always. 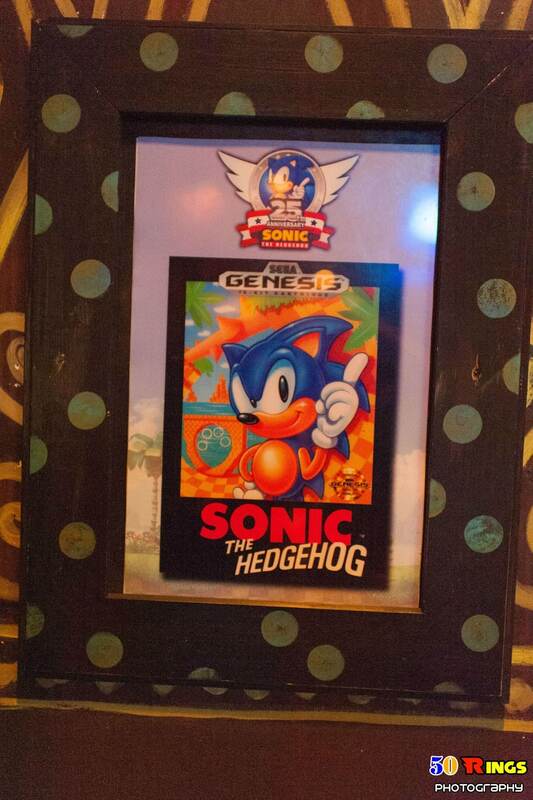 After the show, they did signings and pictures. 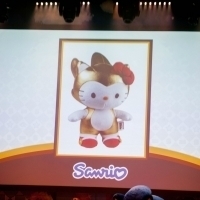 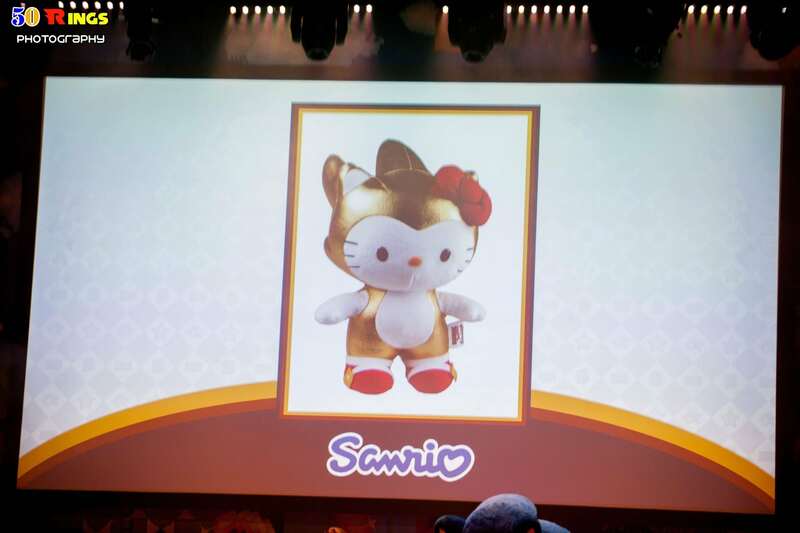 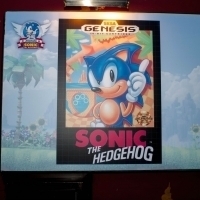 As a special surprise, at the end, they showcased another brand new game coming out! 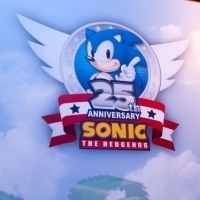 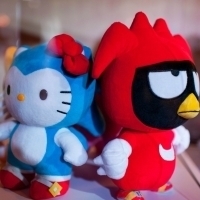 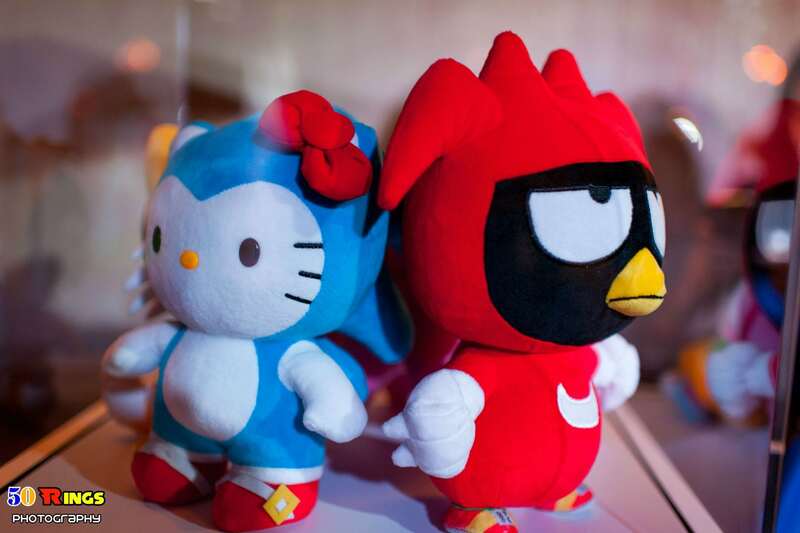 It looks like Sonic Generations 2. 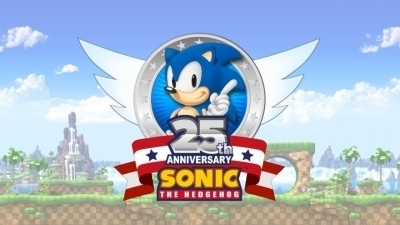 And I won’t be surprised if it is because Sonic Generations was a huge hit. 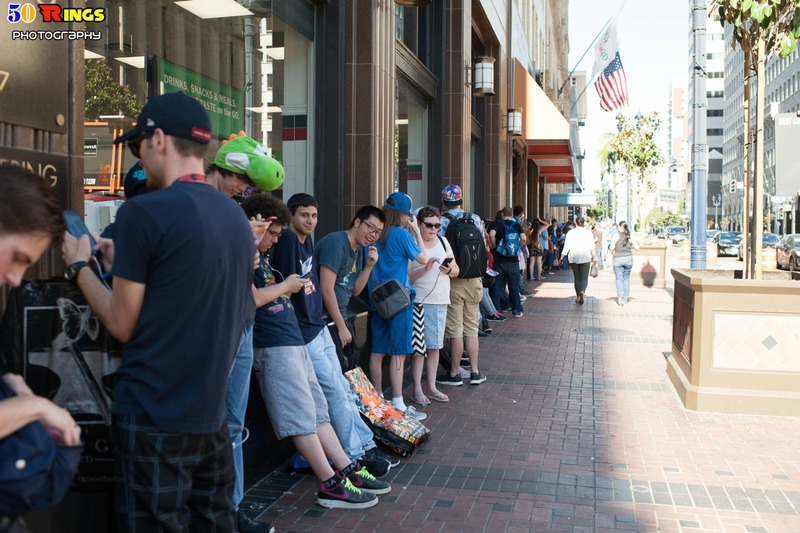 Expect it to release Holiday 2017 for Xbox One, PS4, NX, and Console. 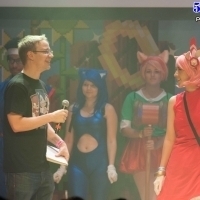 The Stream someone recorded and uploaded. 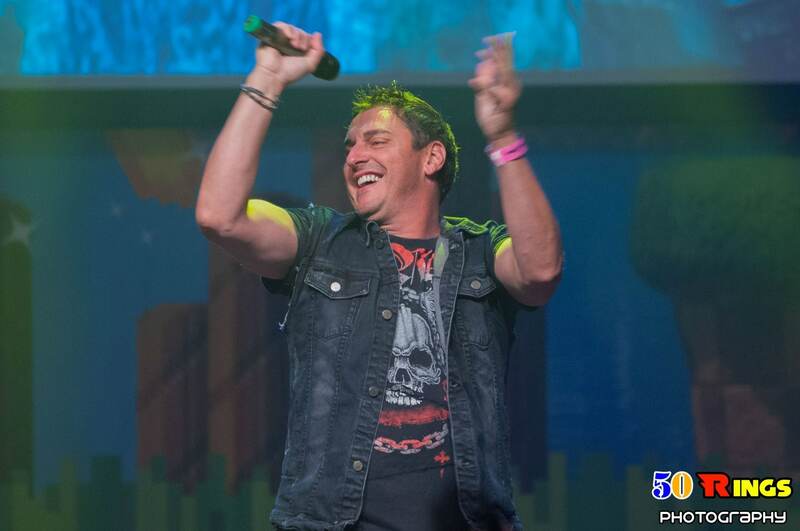 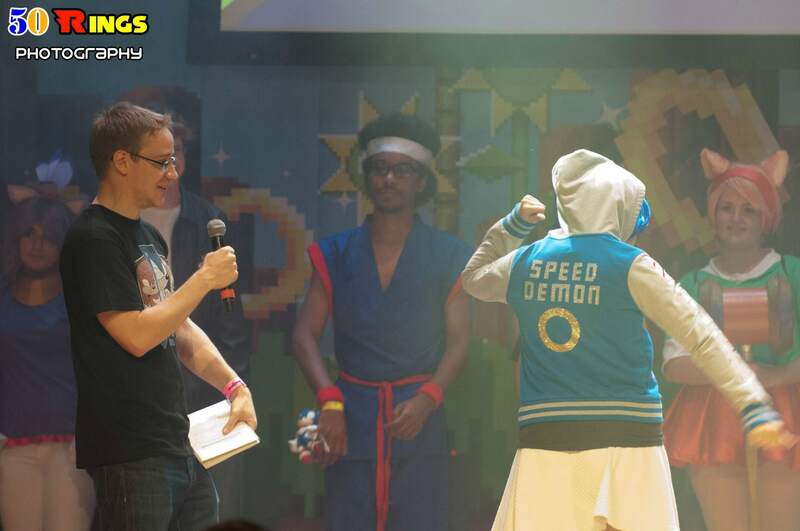 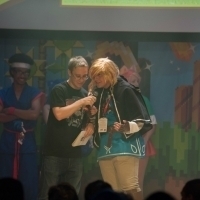 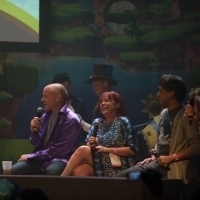 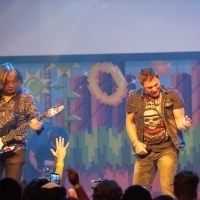 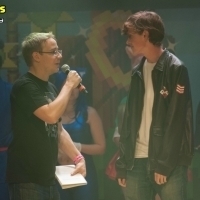 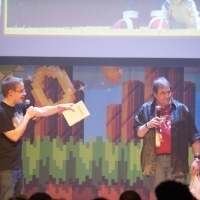 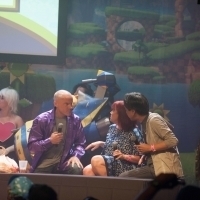 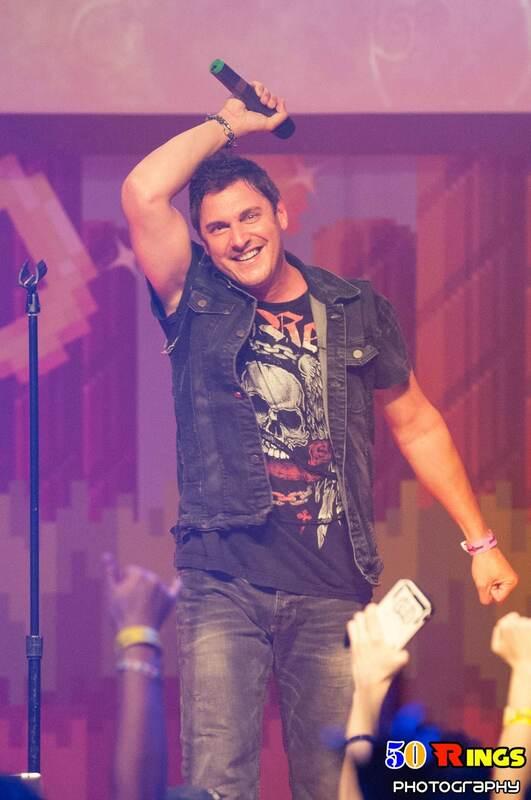 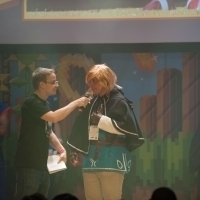 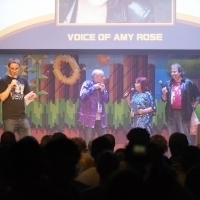 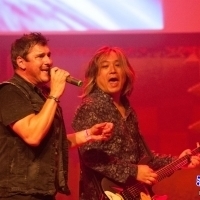 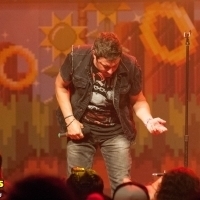 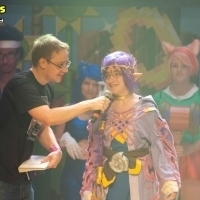 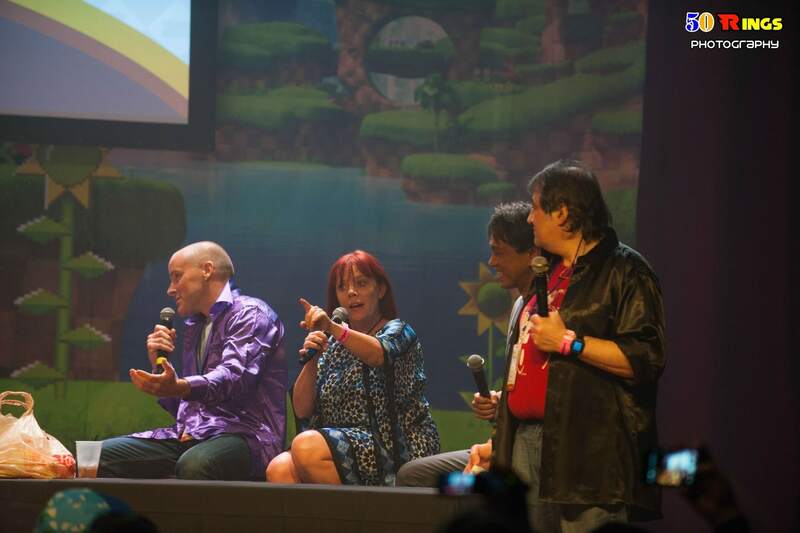 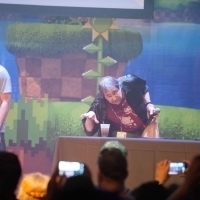 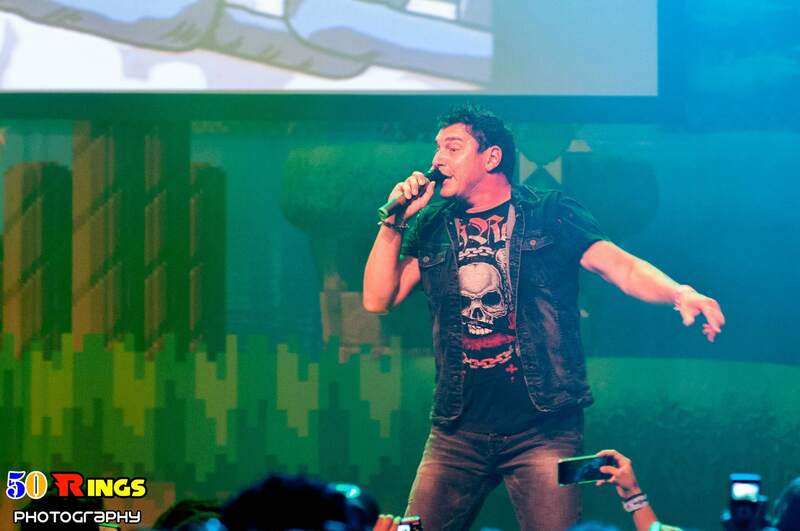 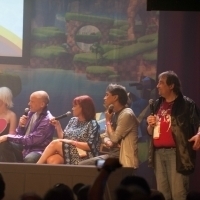 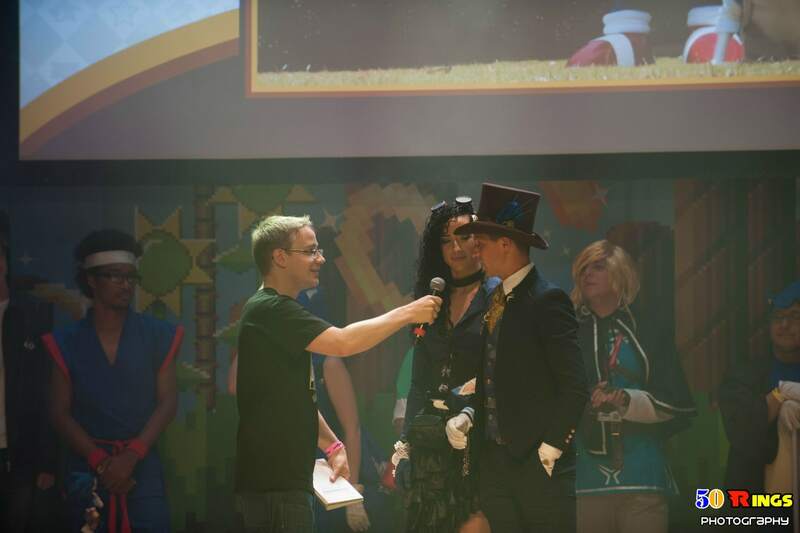 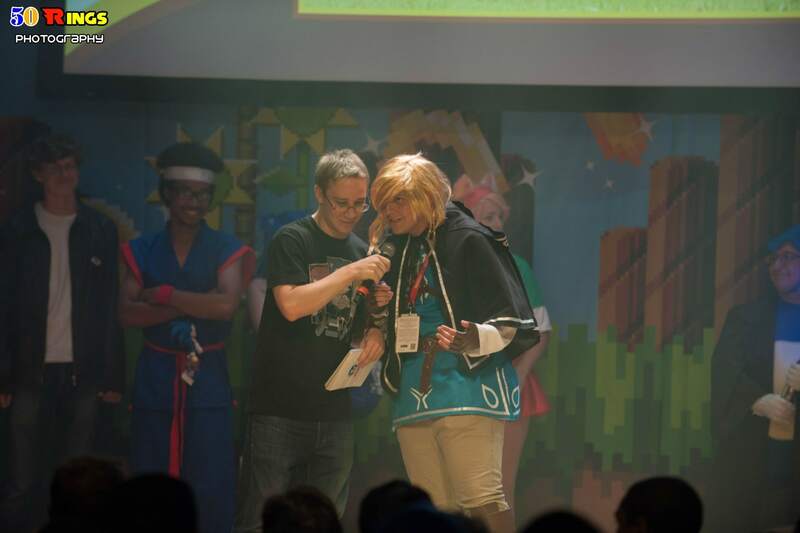 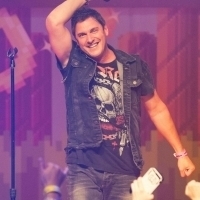 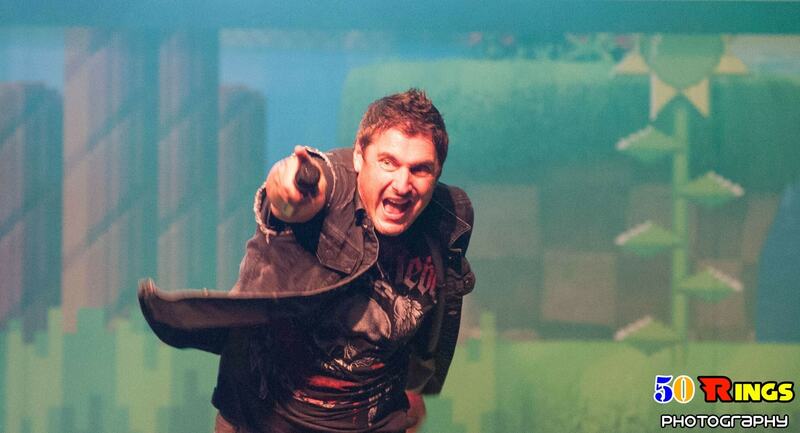 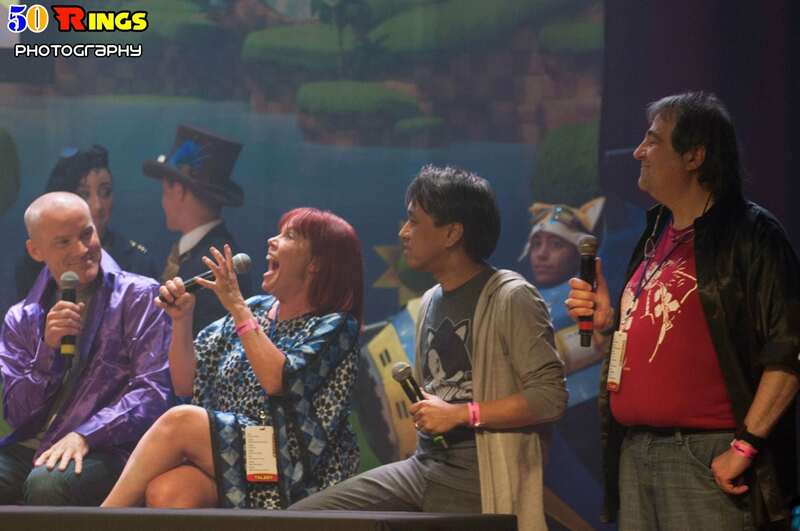 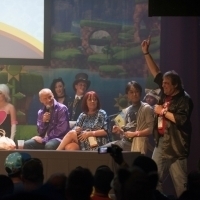 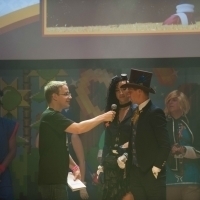 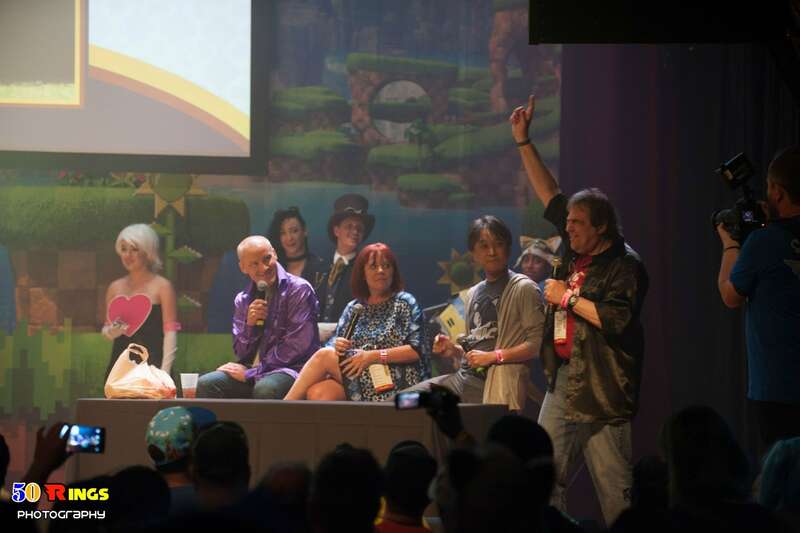 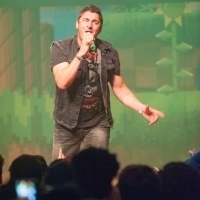 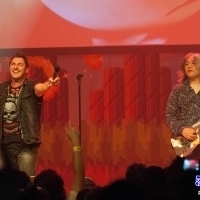 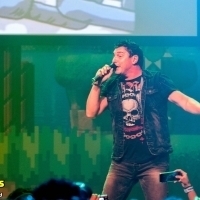 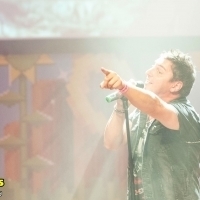 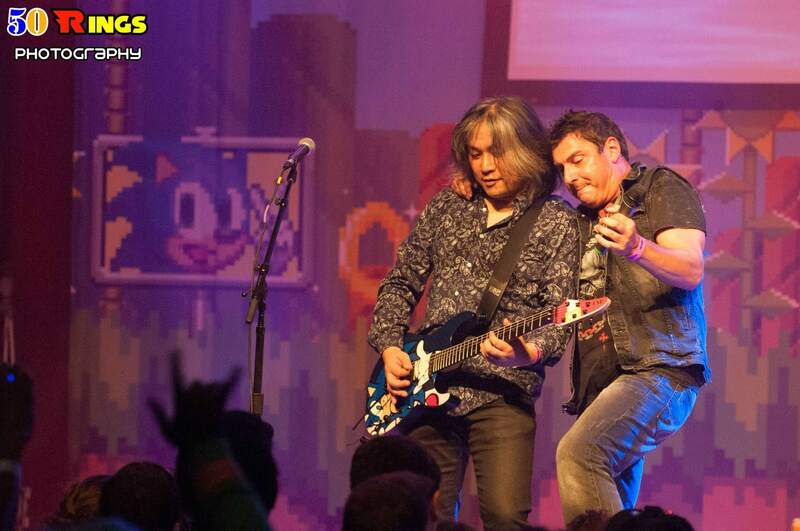 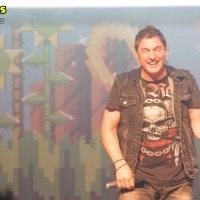 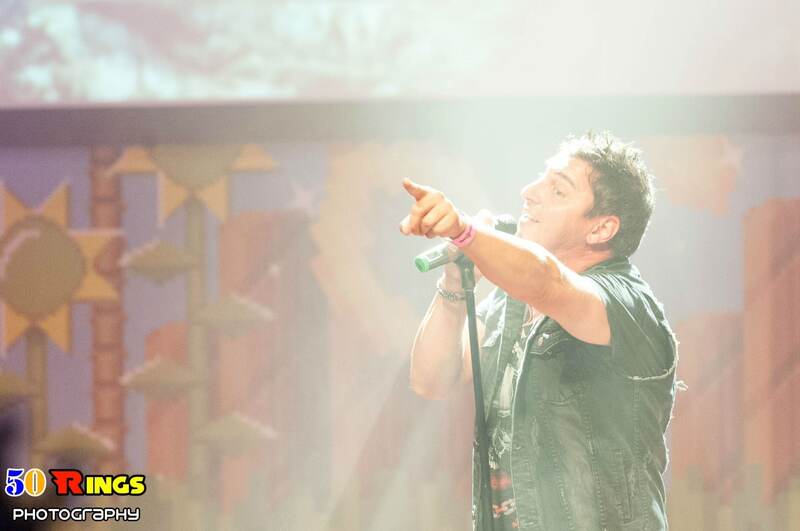 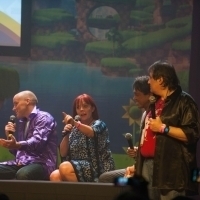 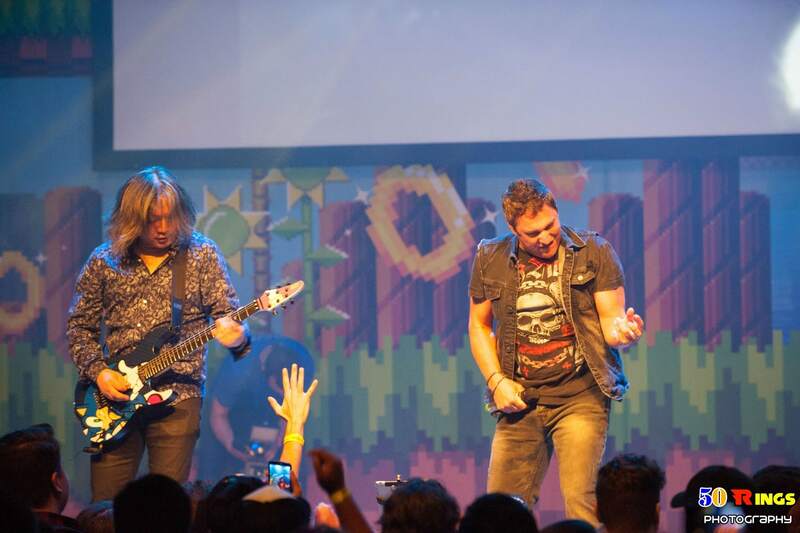 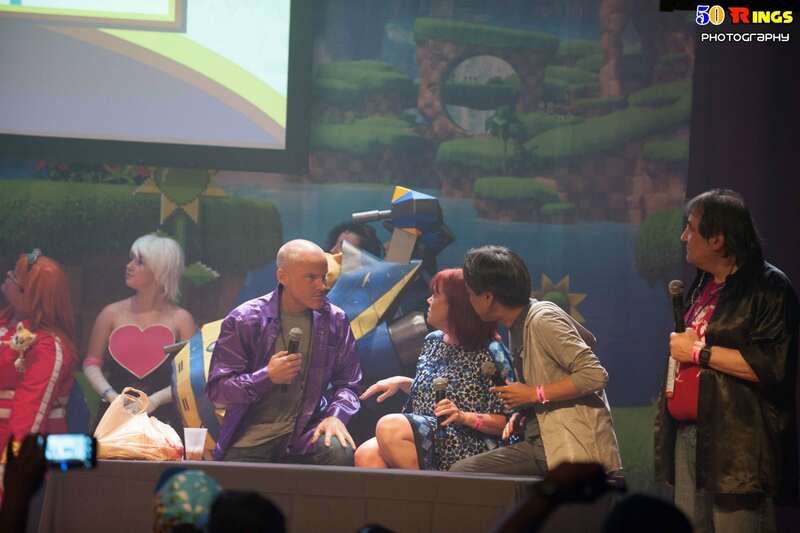 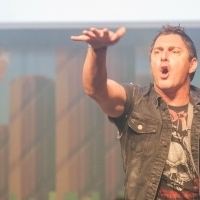 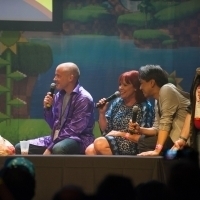 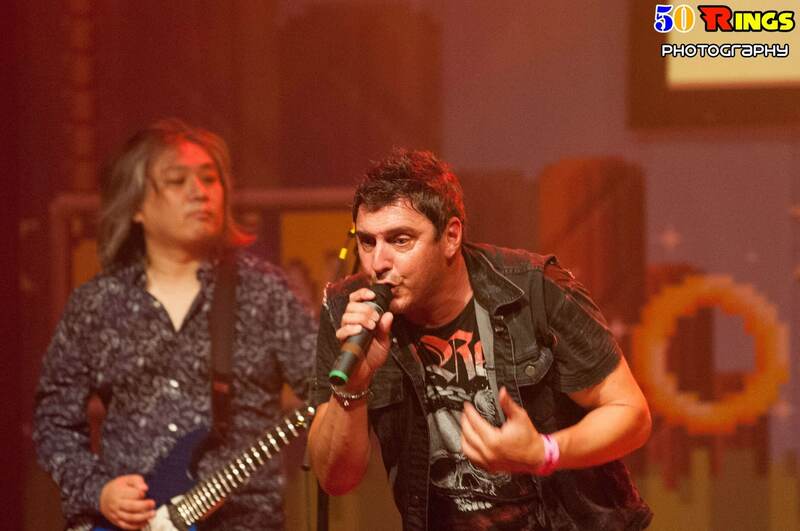 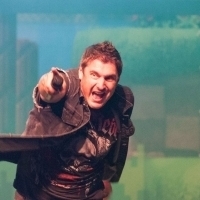 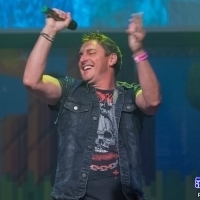 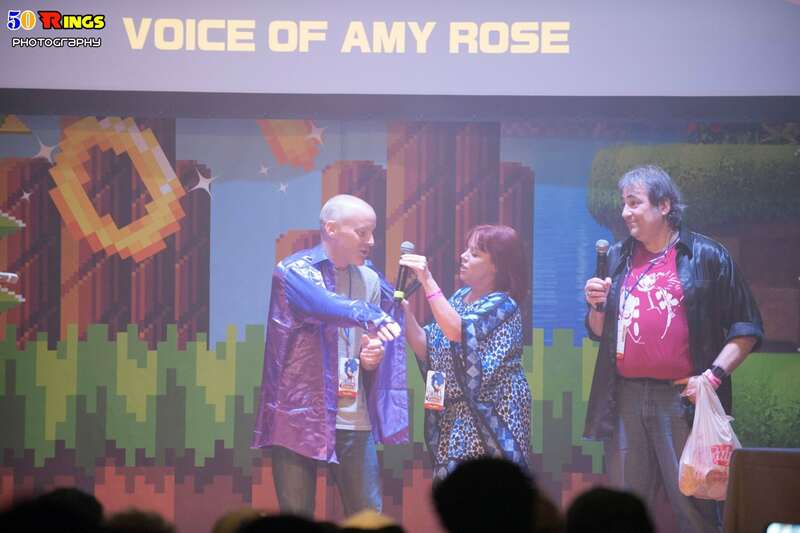 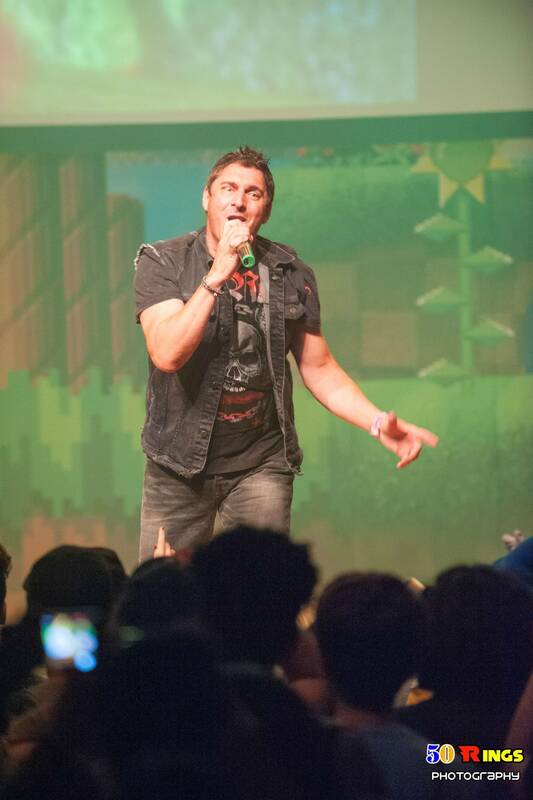 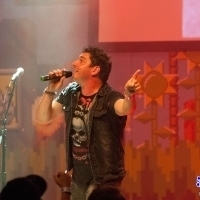 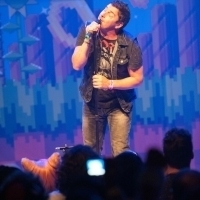 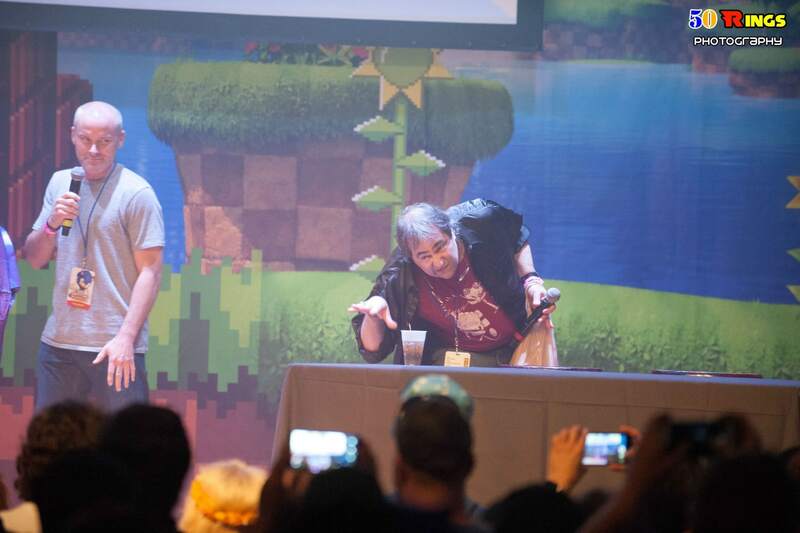 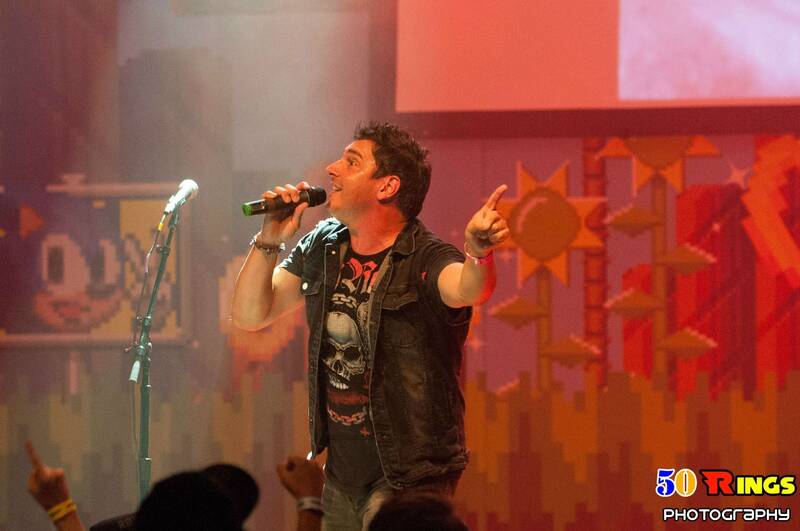 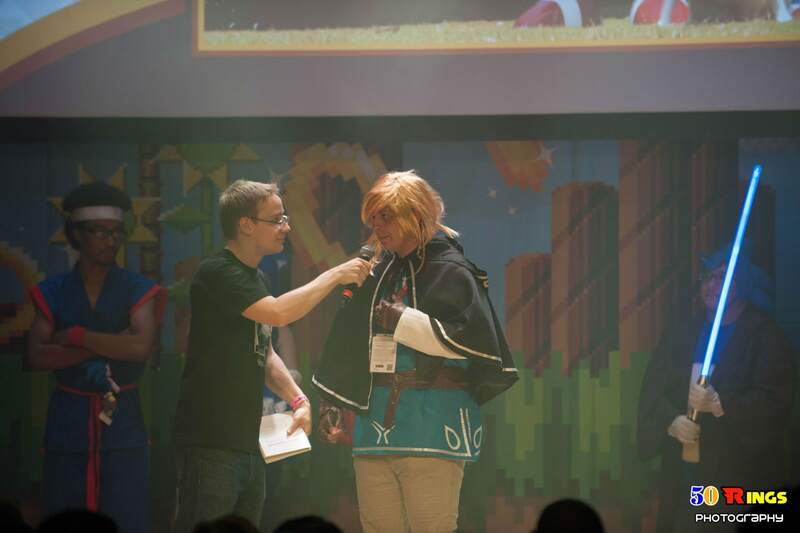 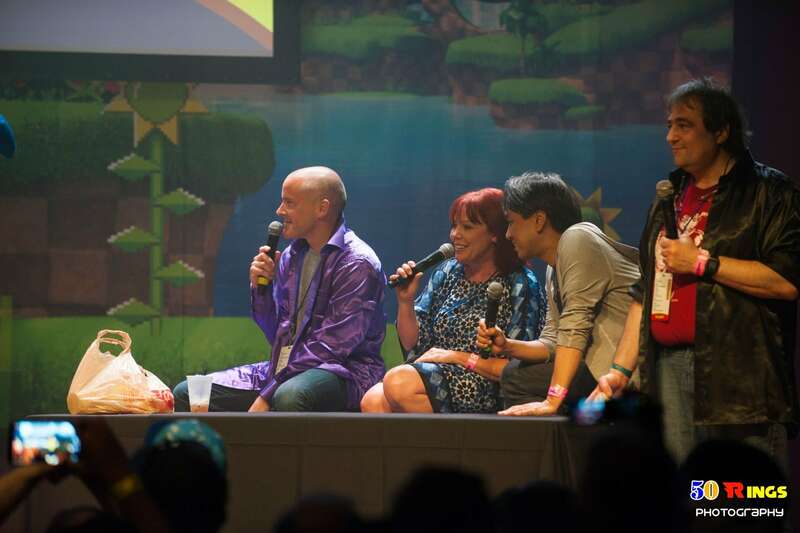 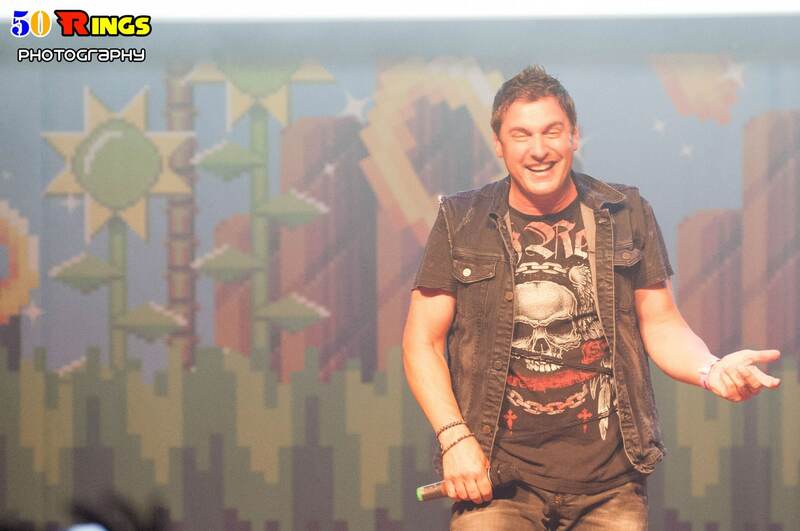 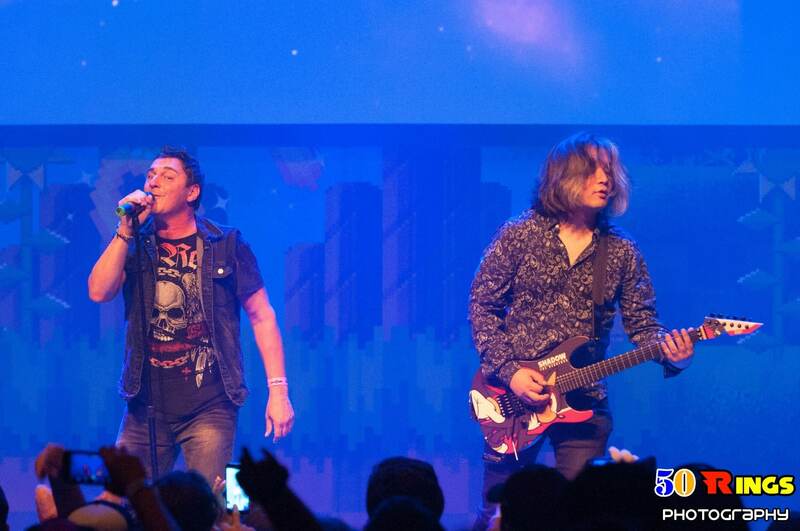 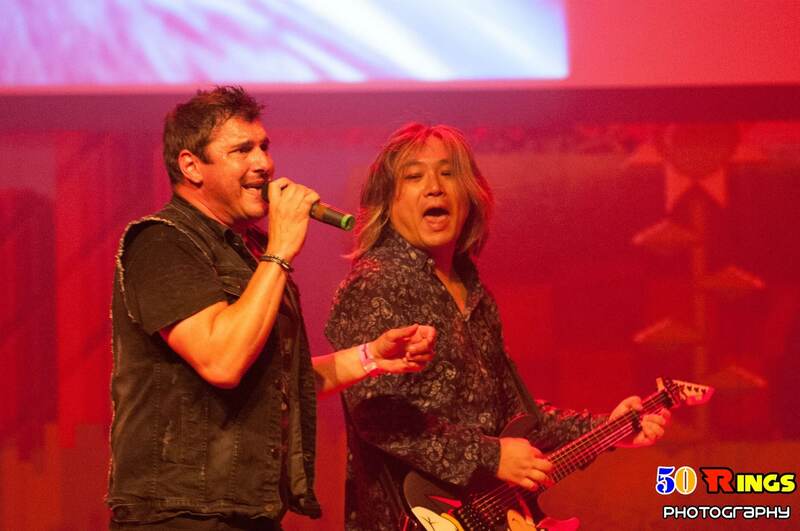 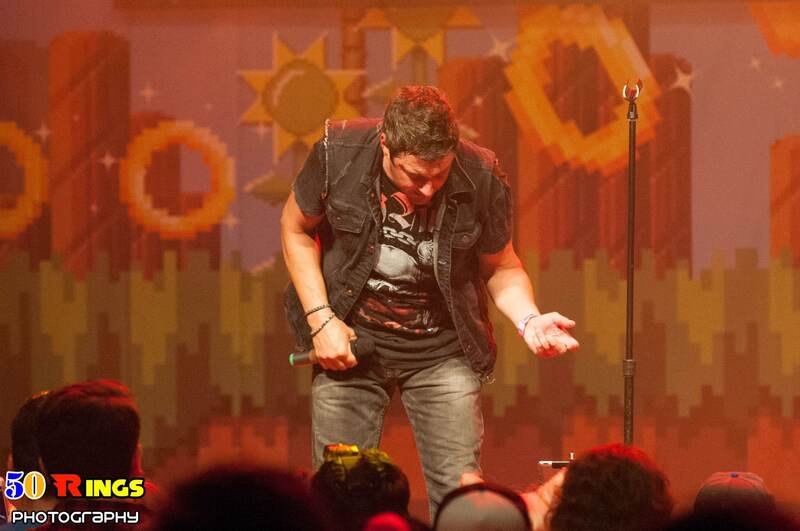 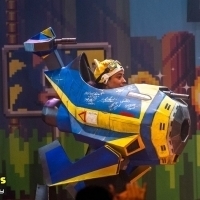 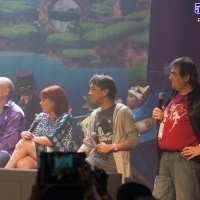 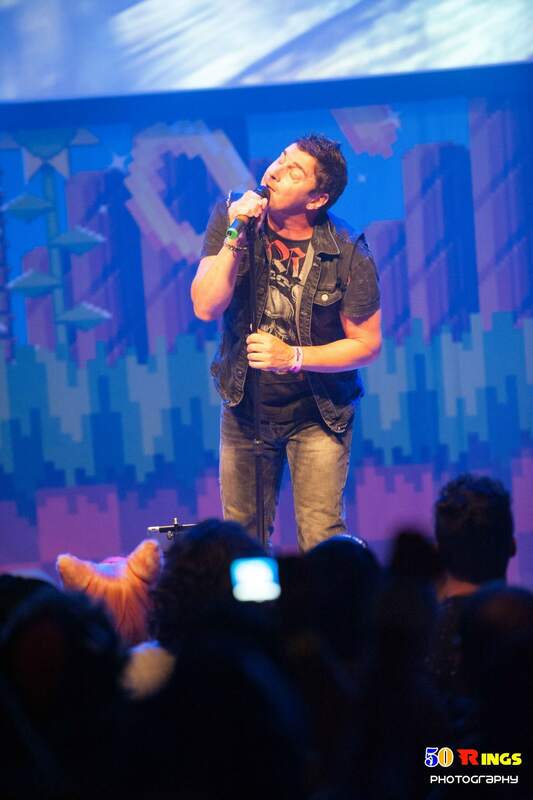 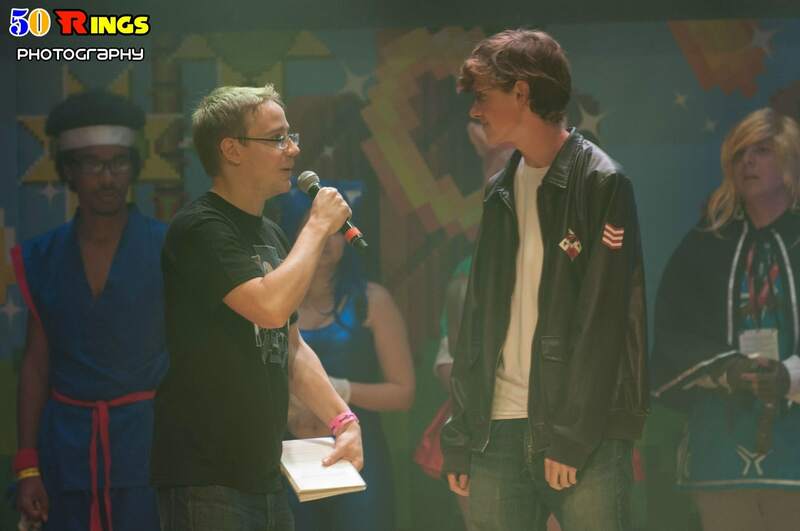 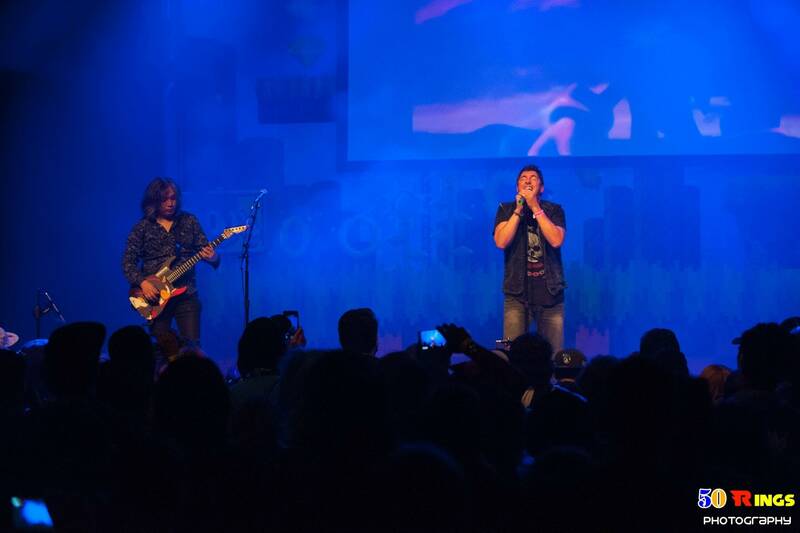 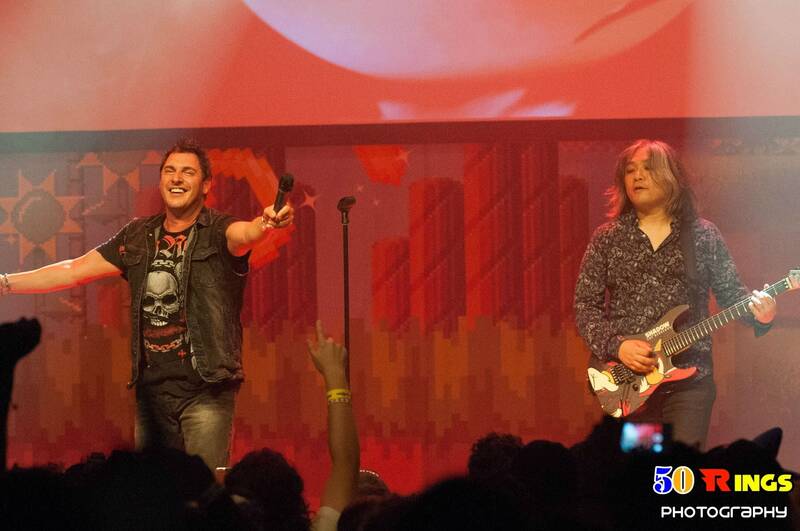 You can see the interviews and the Crush 40 live segment, which was freakin’ awesome! 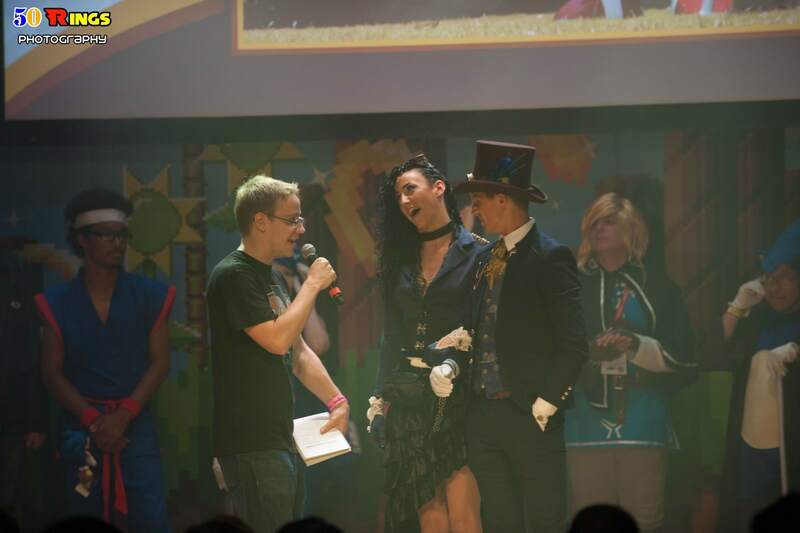 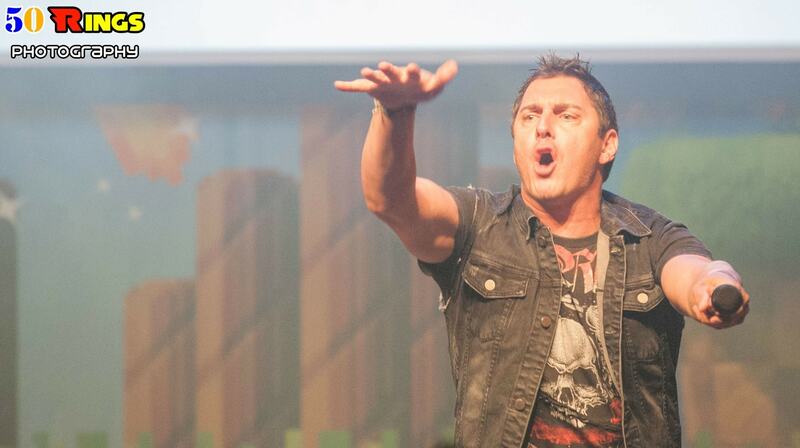 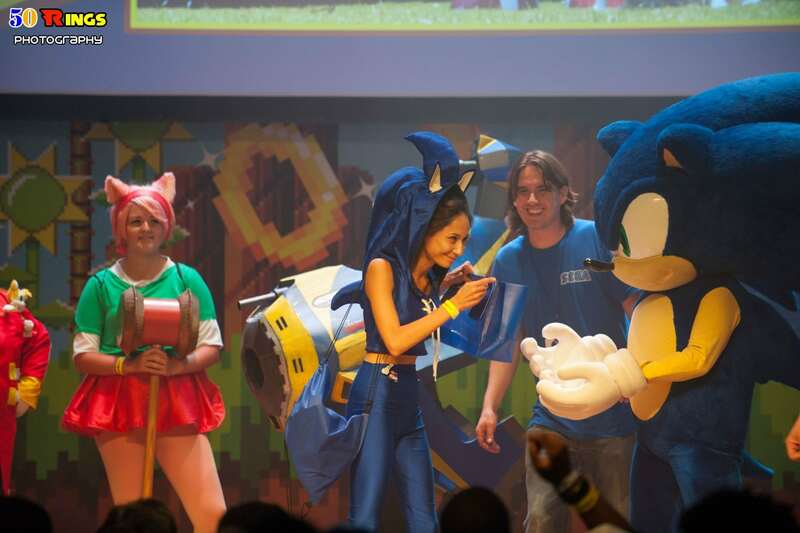 With that, we end on a gallery of pictures from the event – capturing the energy and excitement we all had. 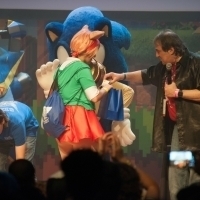 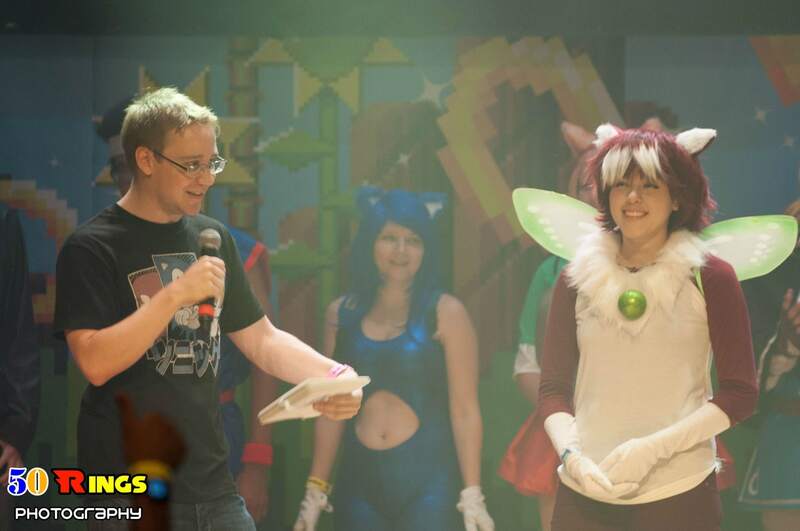 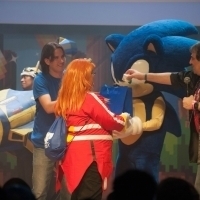 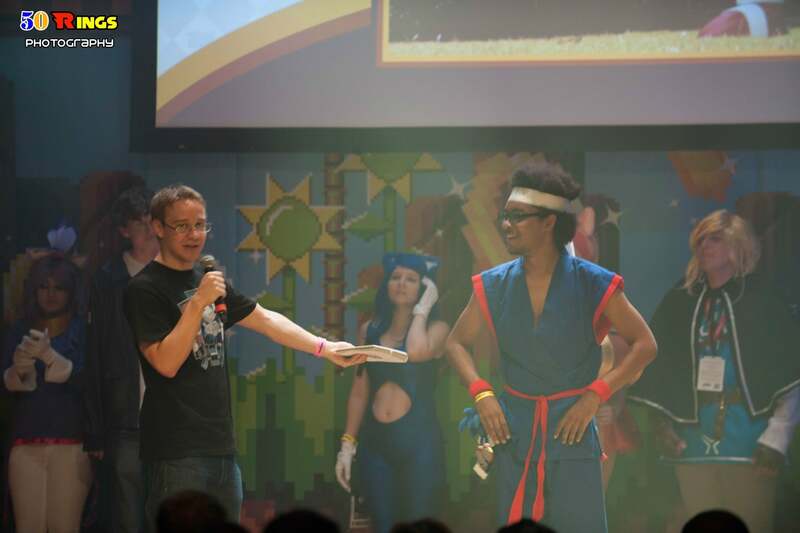 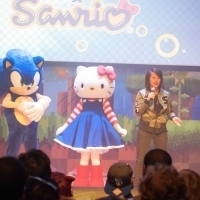 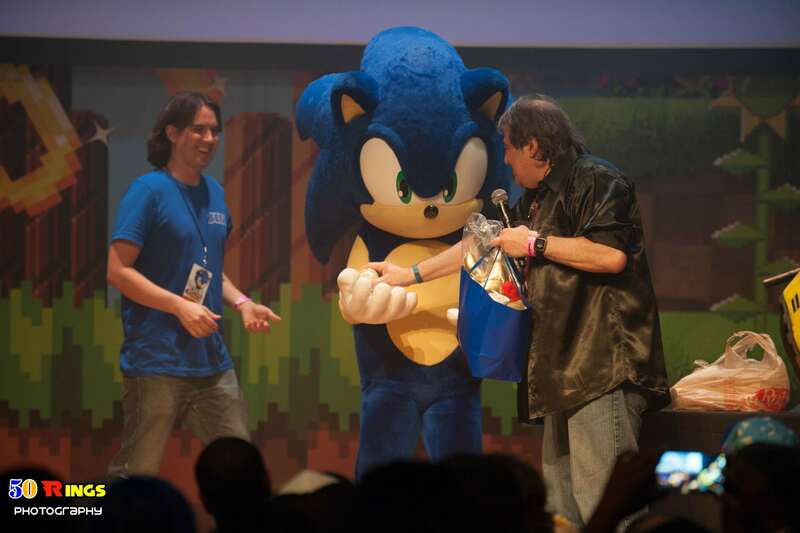 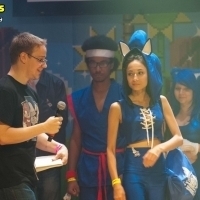 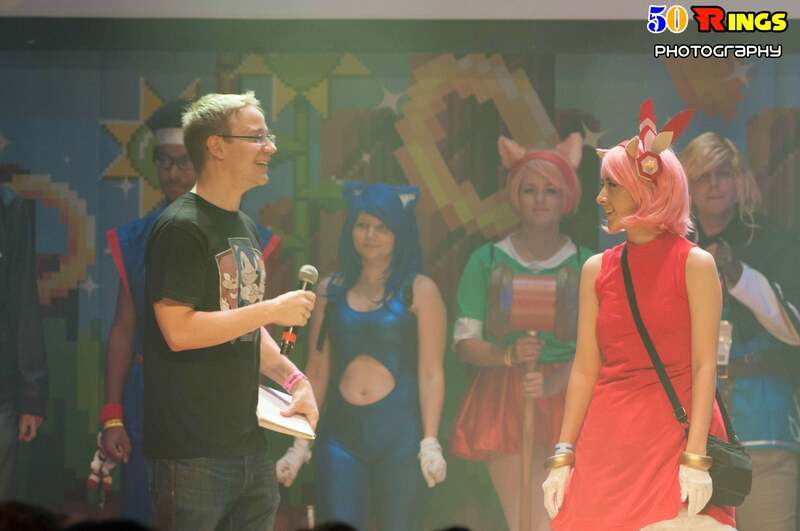 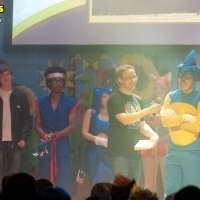 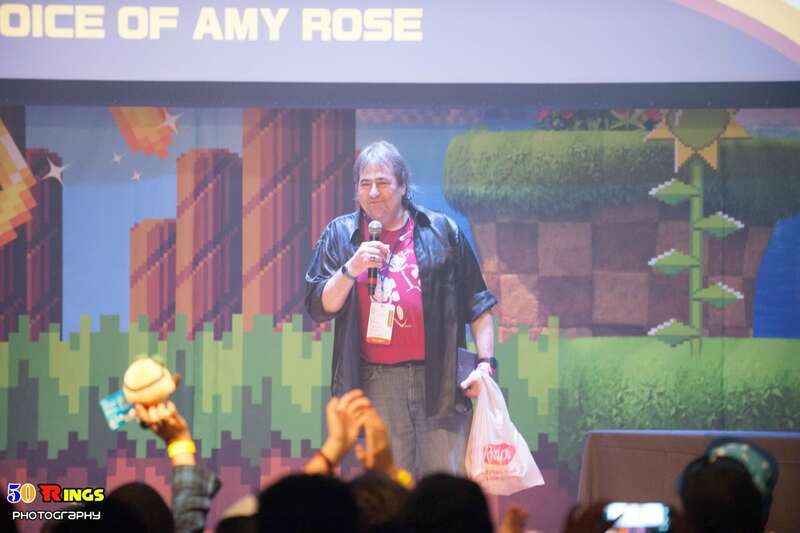 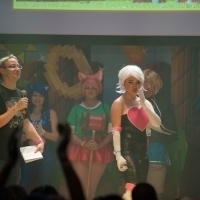 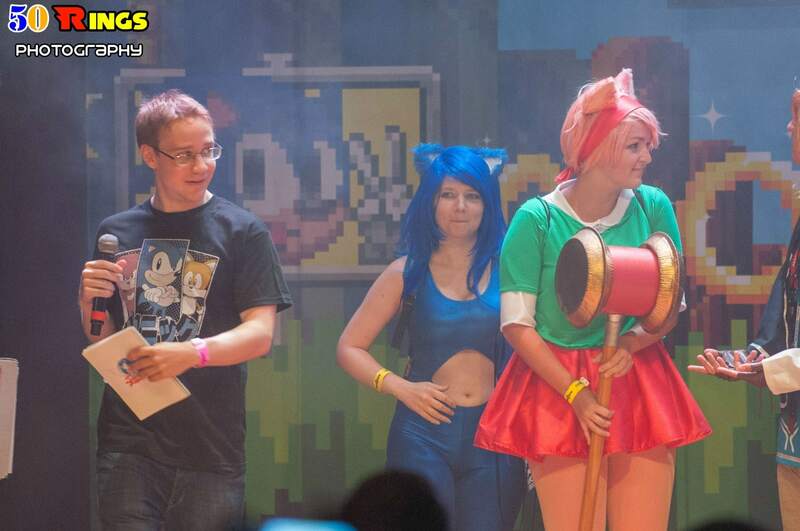 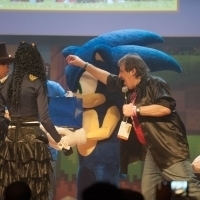 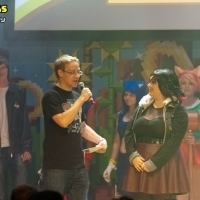 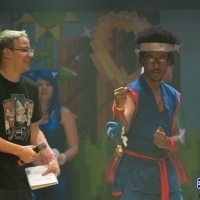 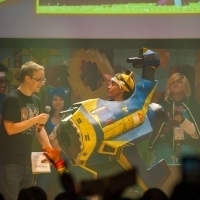 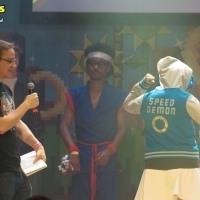 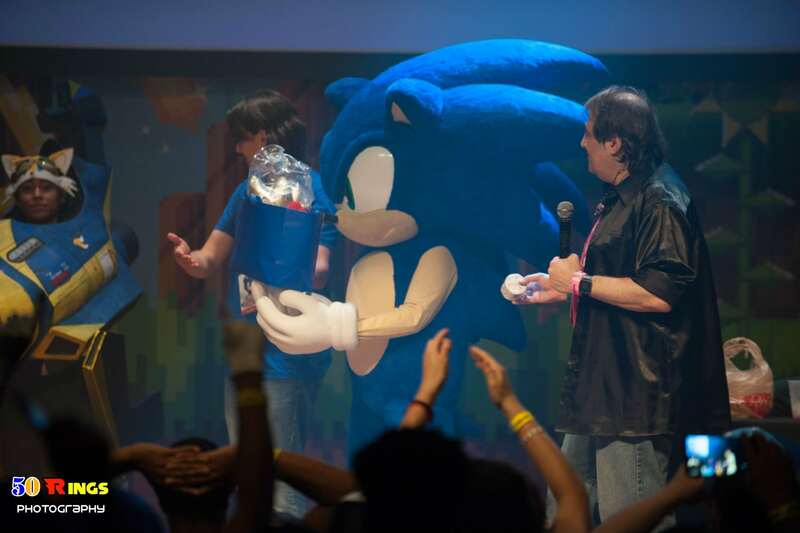 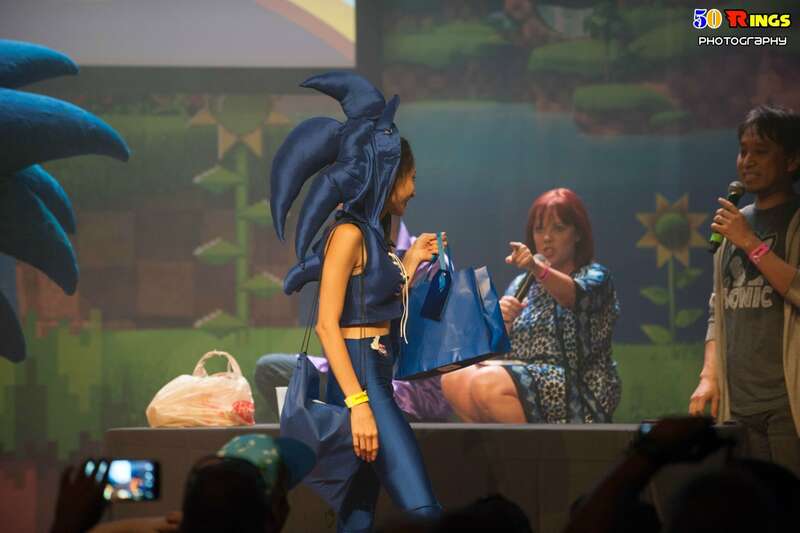 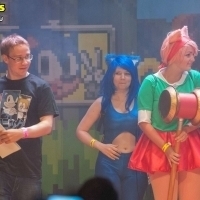 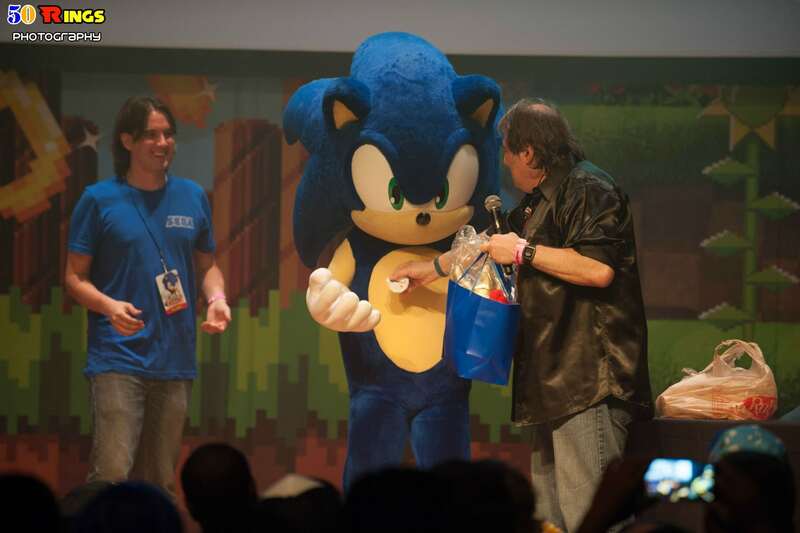 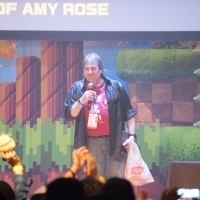 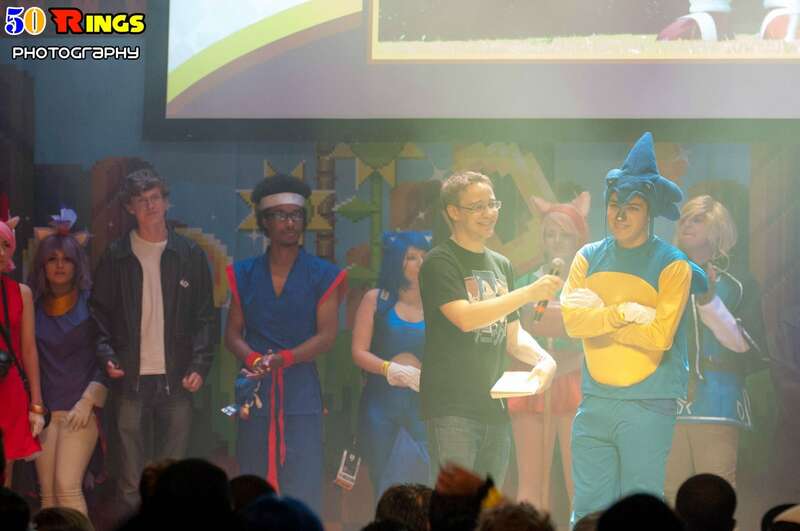 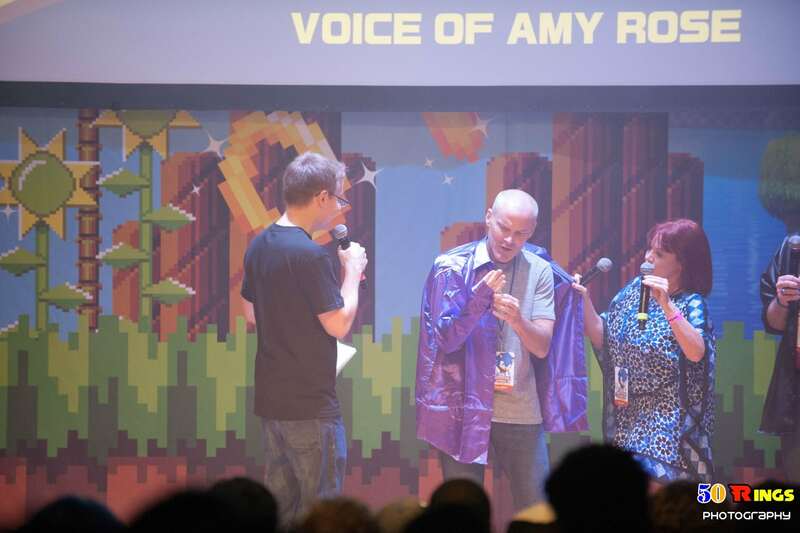 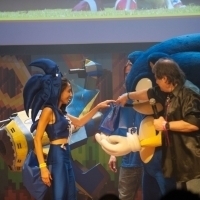 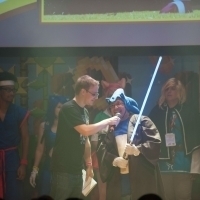 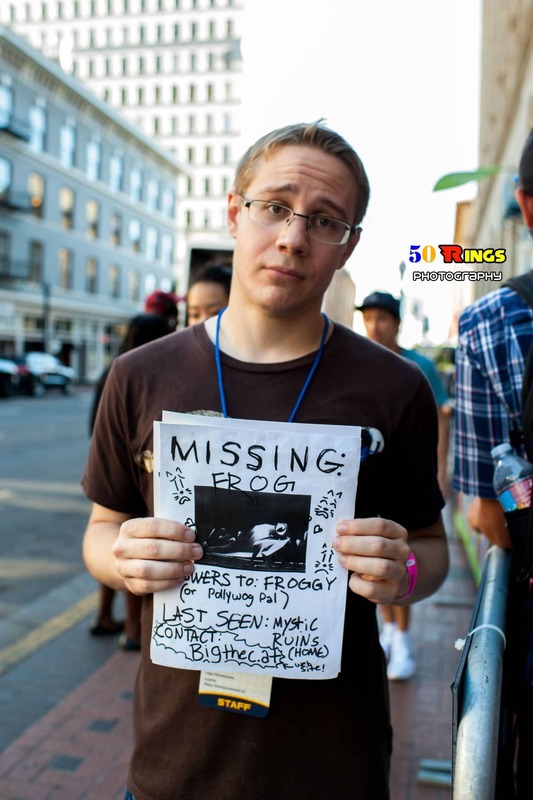 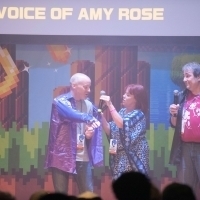 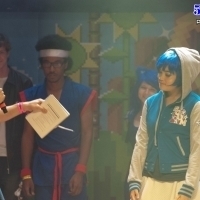 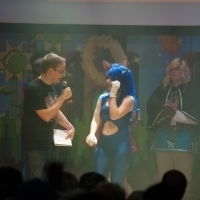 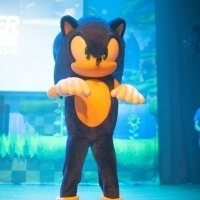 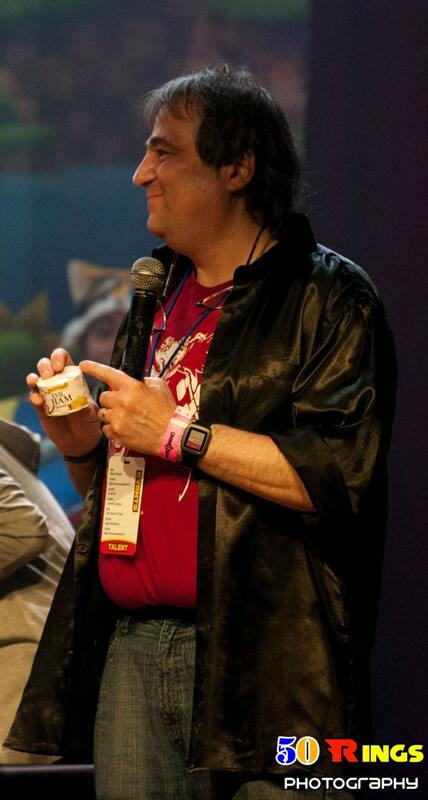 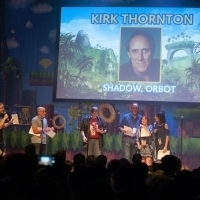 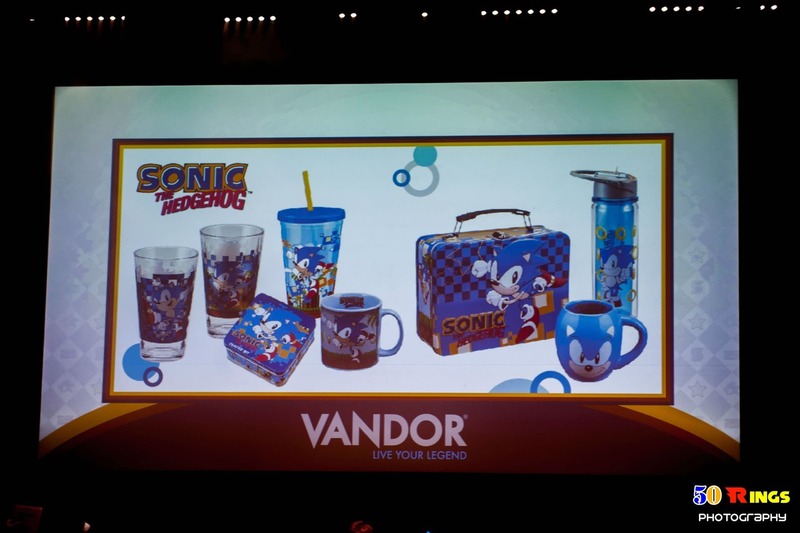 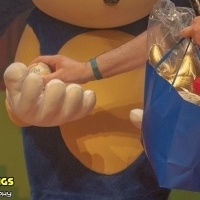 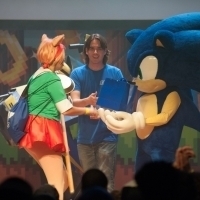 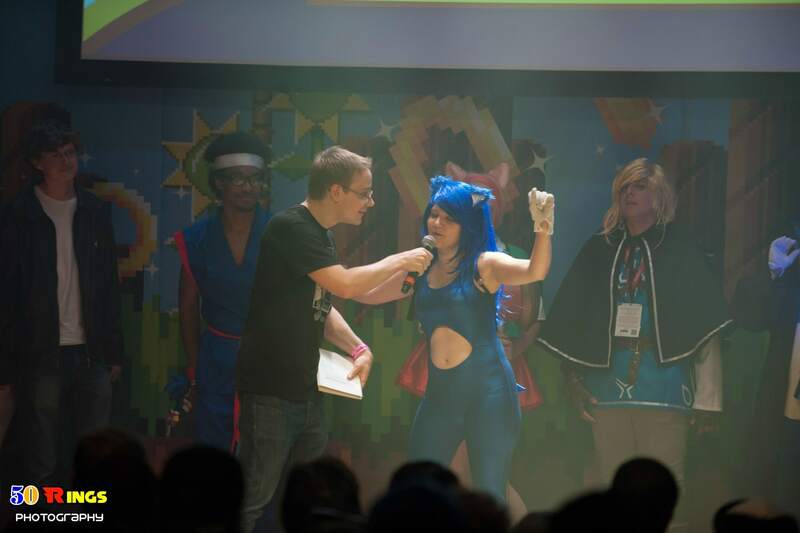 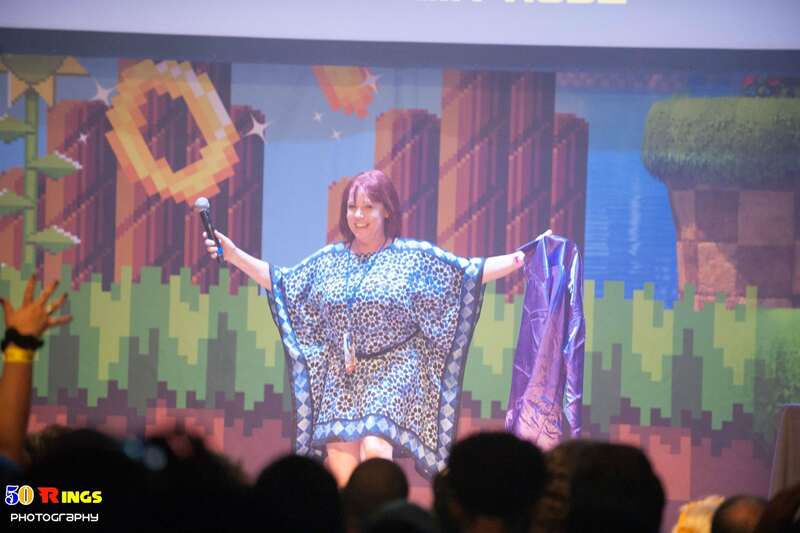 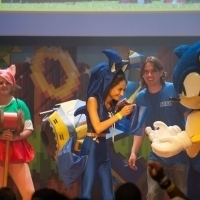 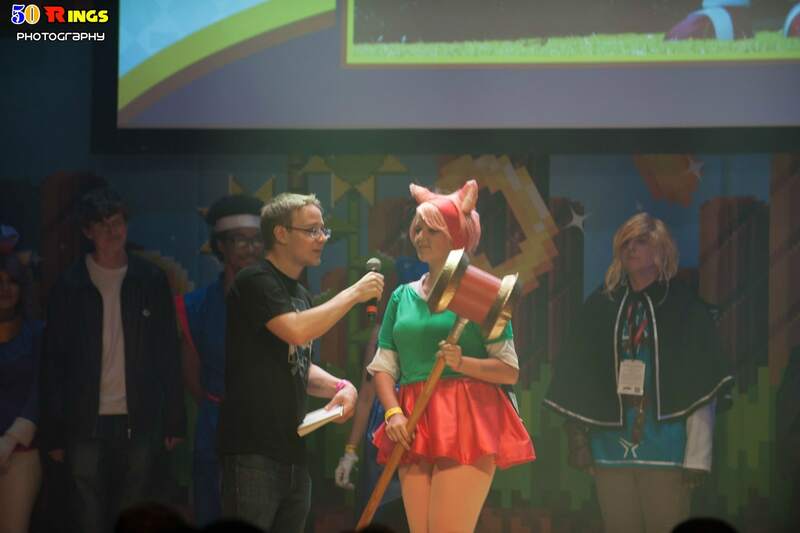 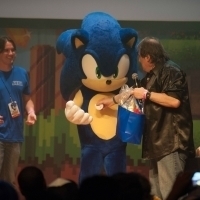 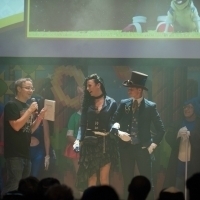 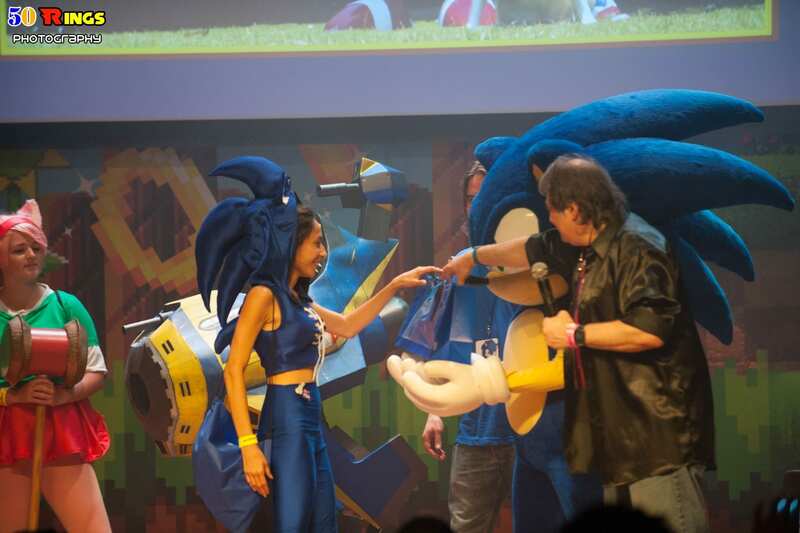 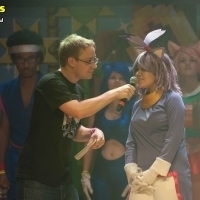 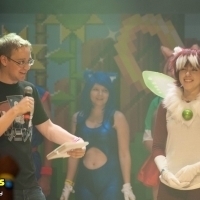 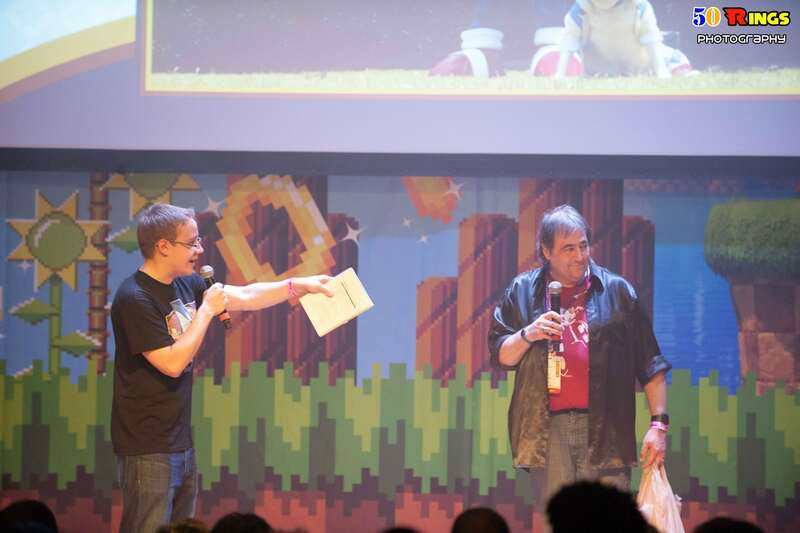 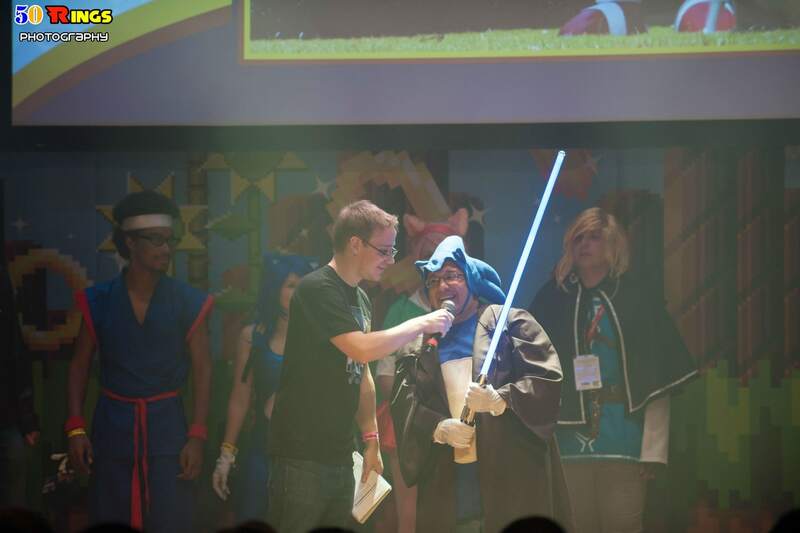 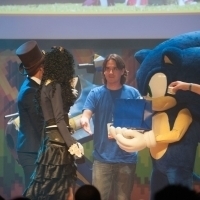 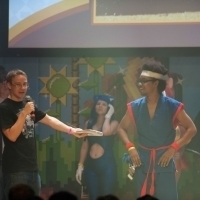 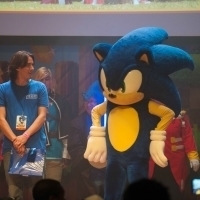 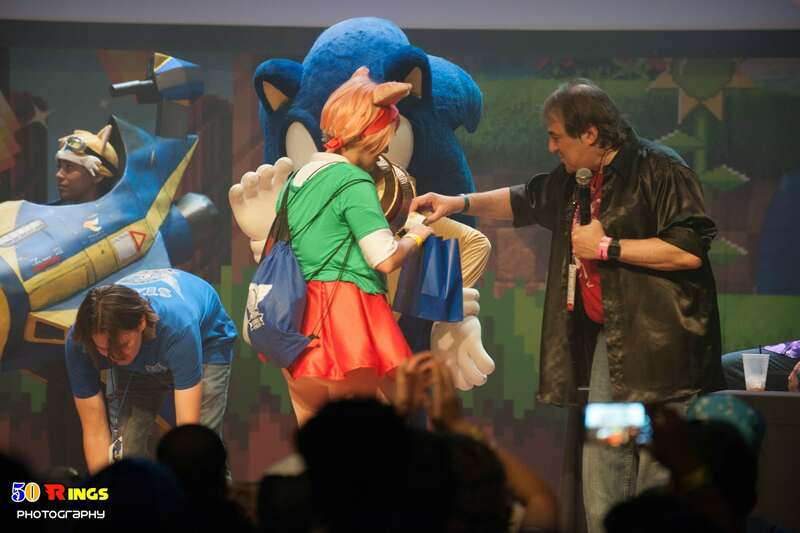 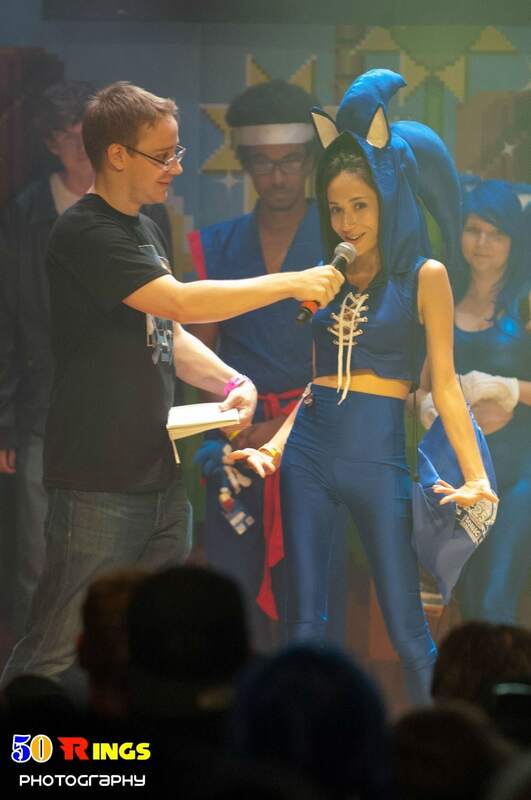 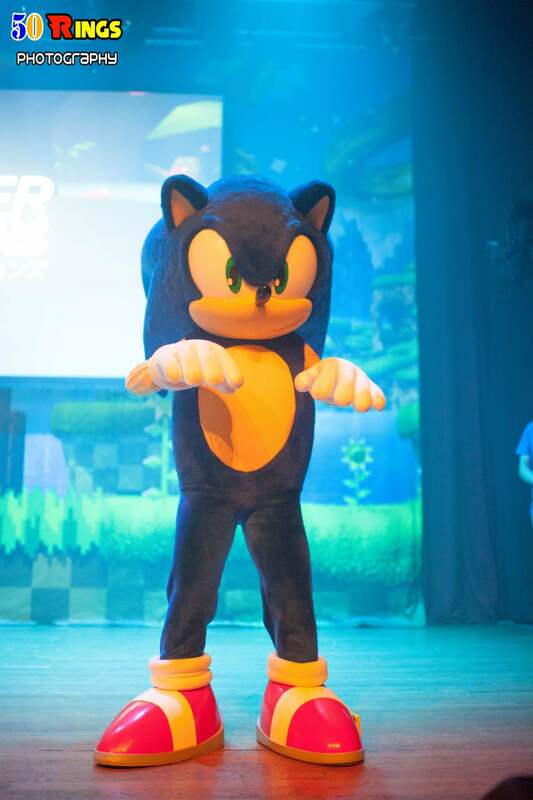 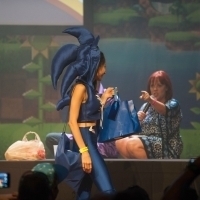 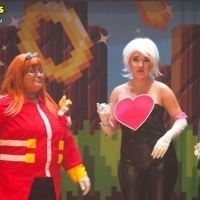 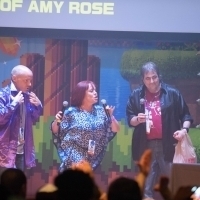 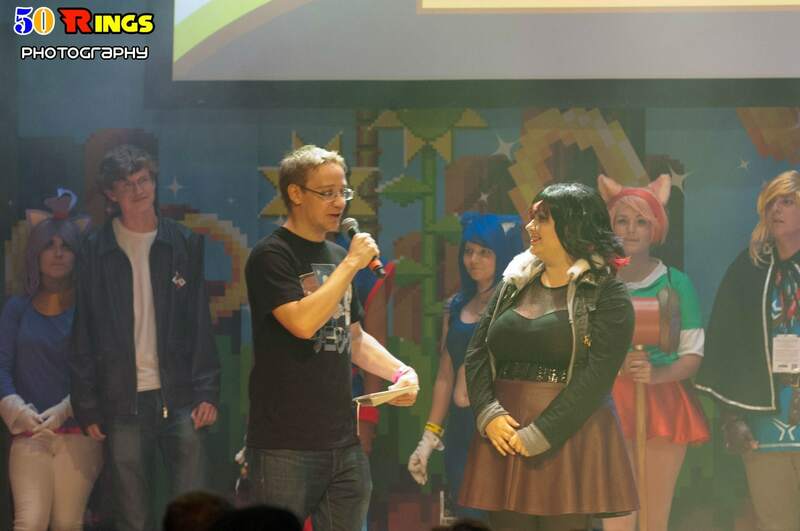 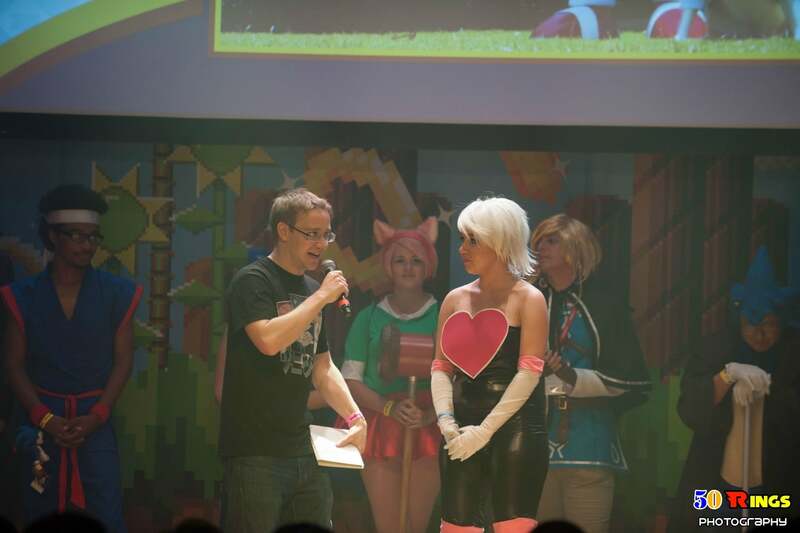 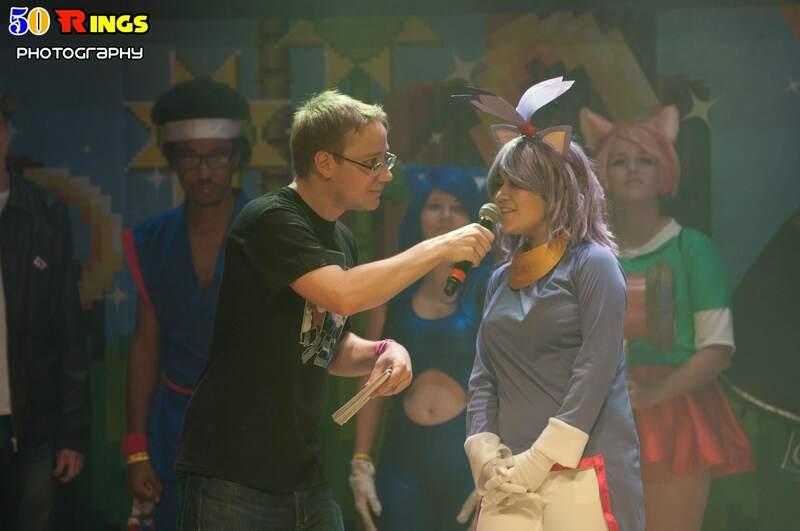 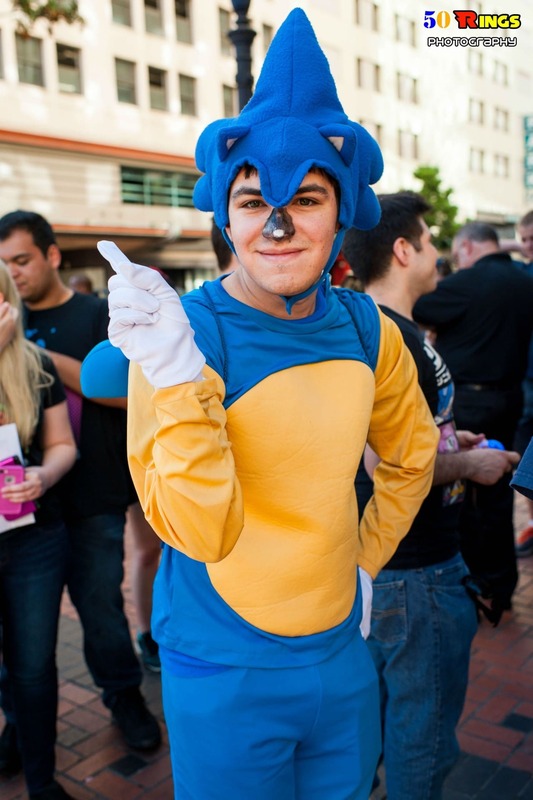 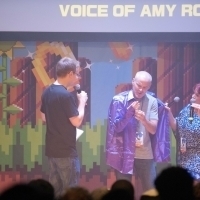 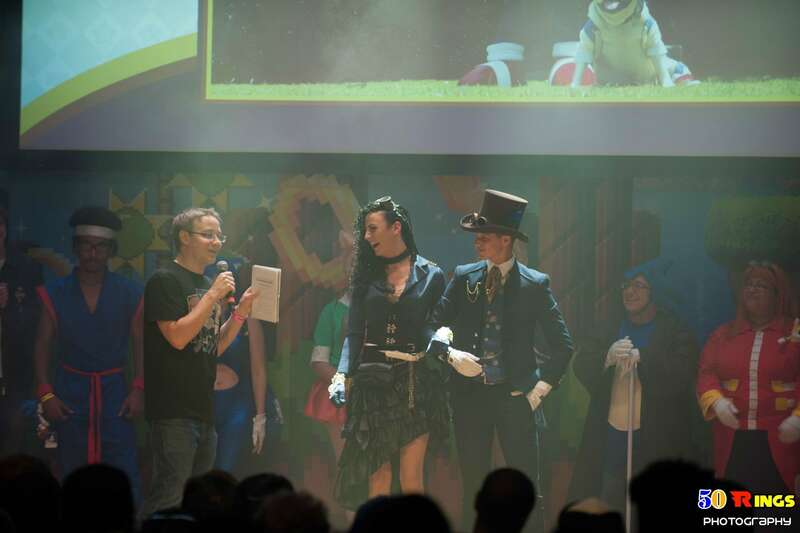 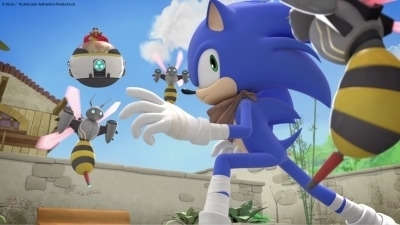 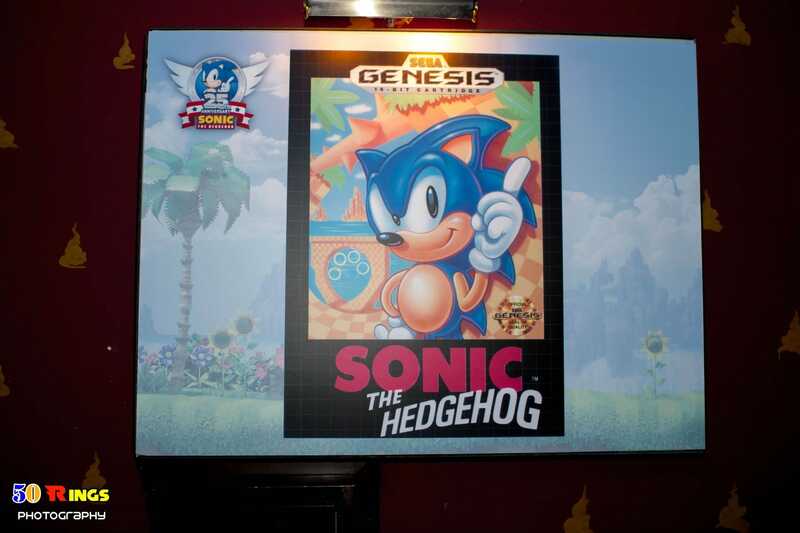 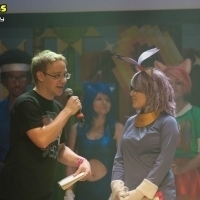 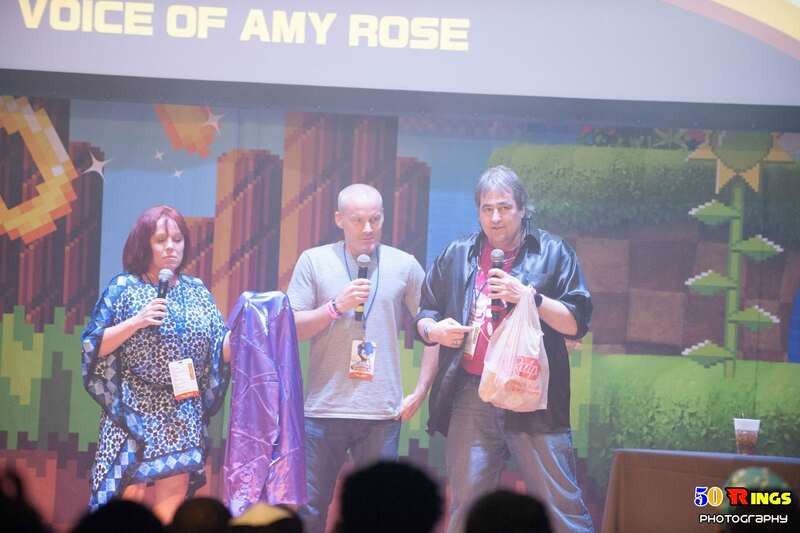 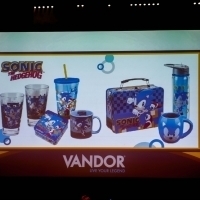 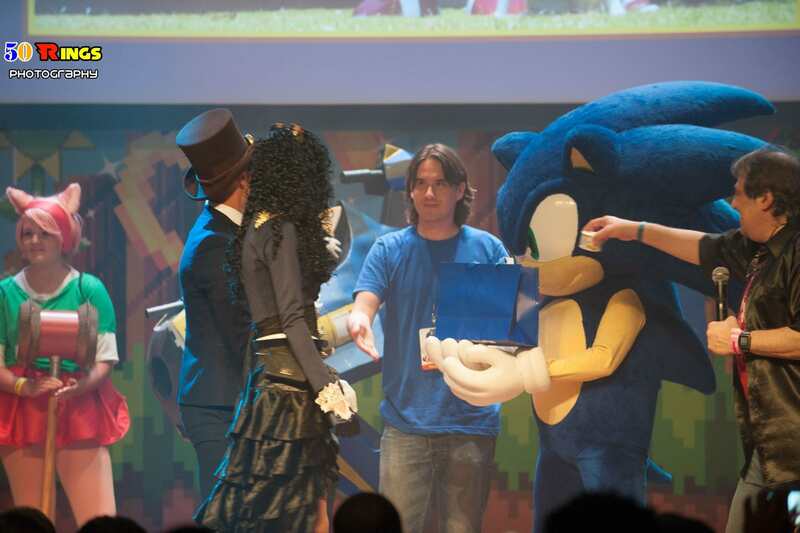 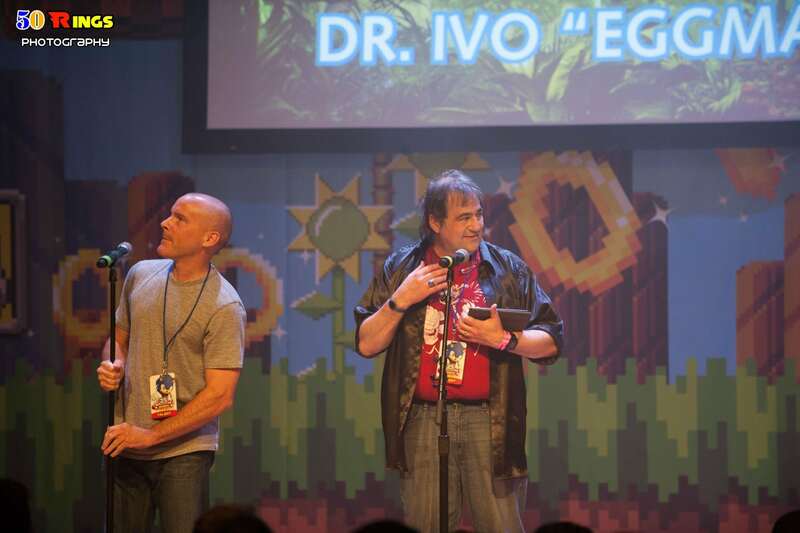 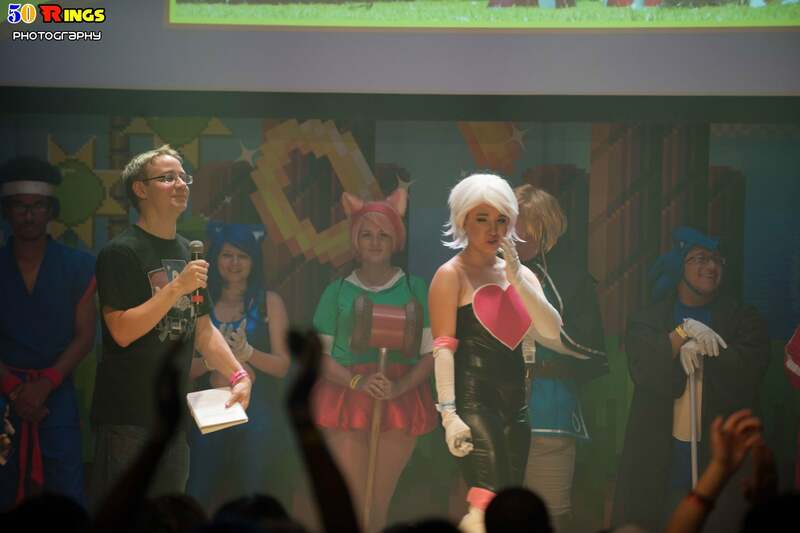 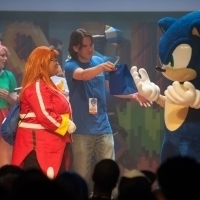 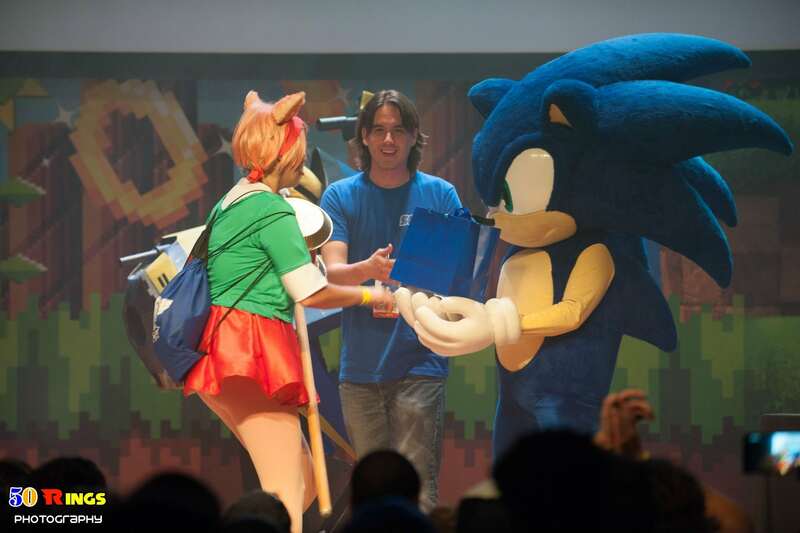 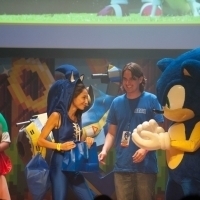 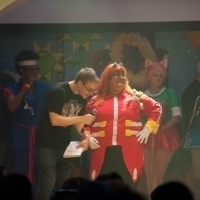 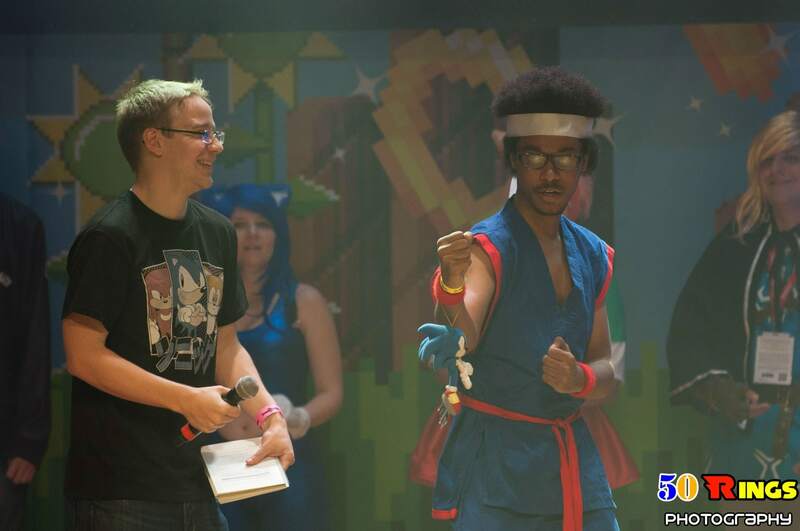 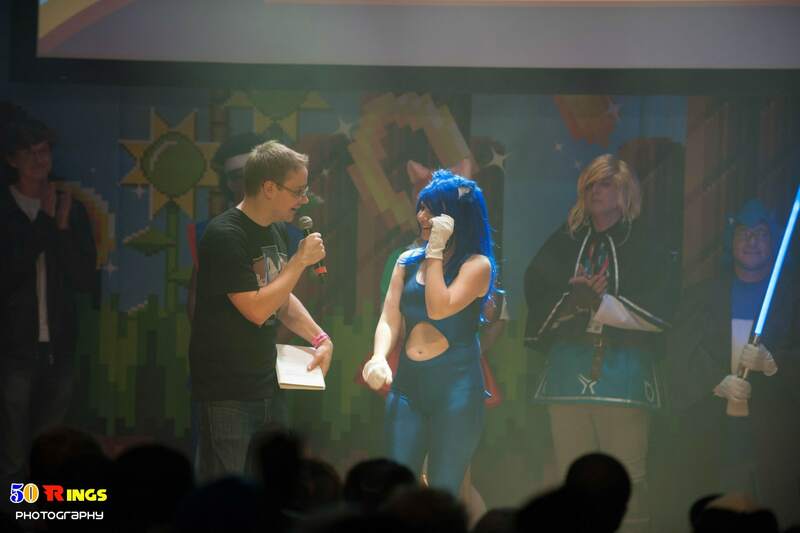 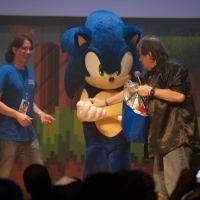 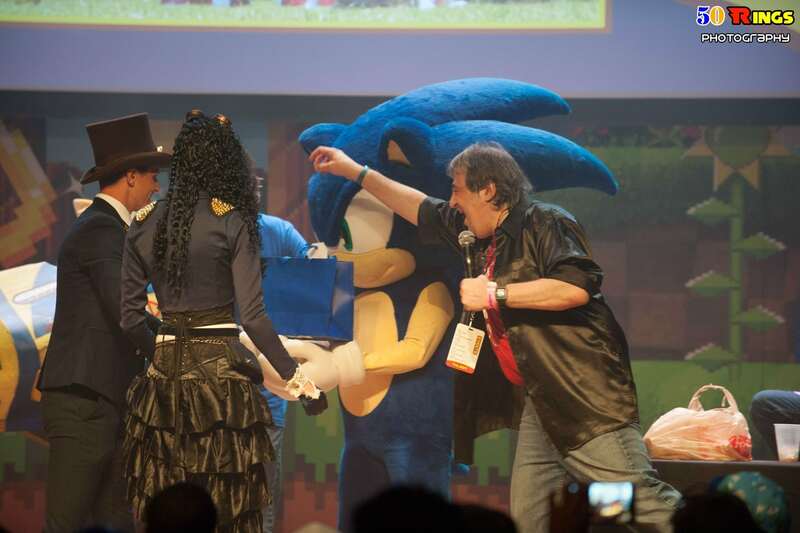 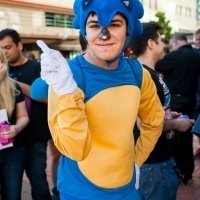 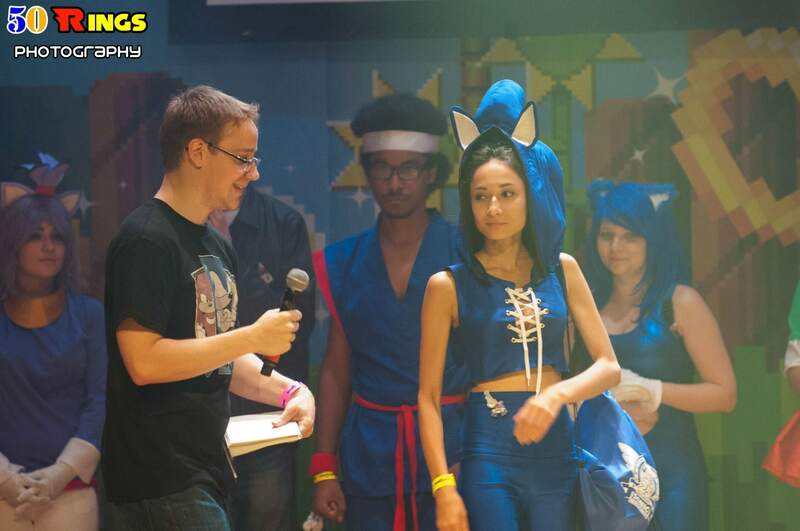 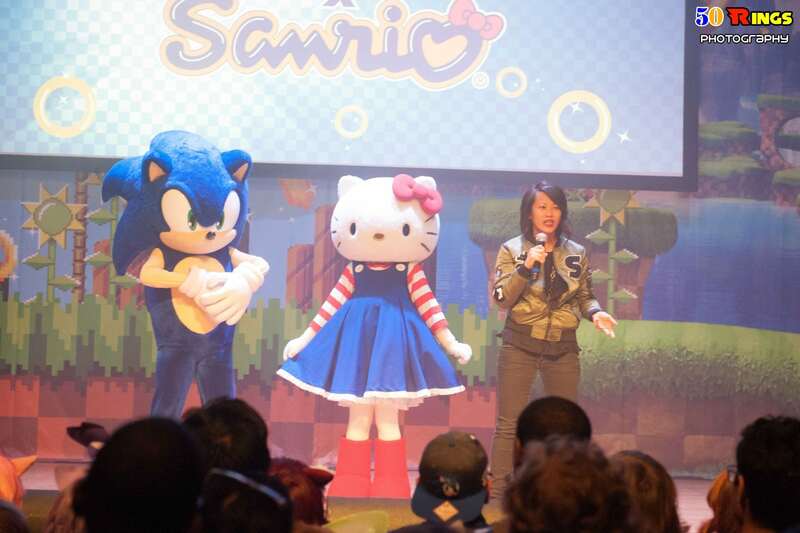 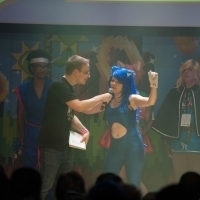 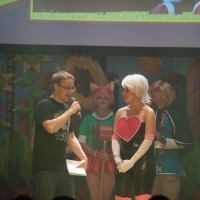 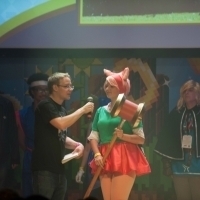 I look forward to more events such as this one for Sonic The Hedgehog! 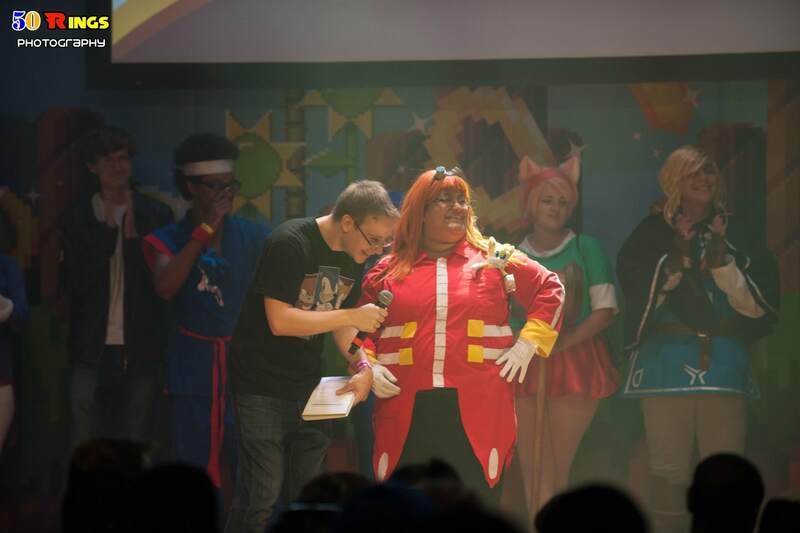 Pictures provided by Christian Gausin (50 Rings Photography). 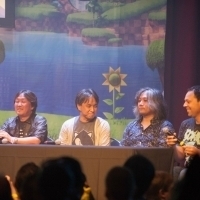 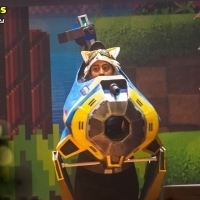 So… no mention of the announcement of Boom season 2?